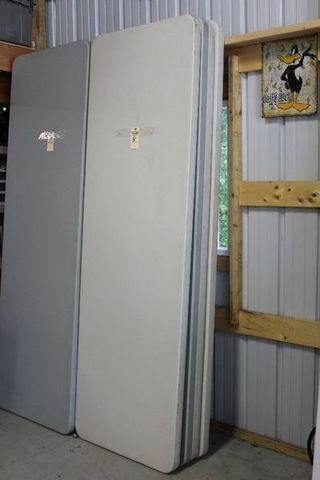 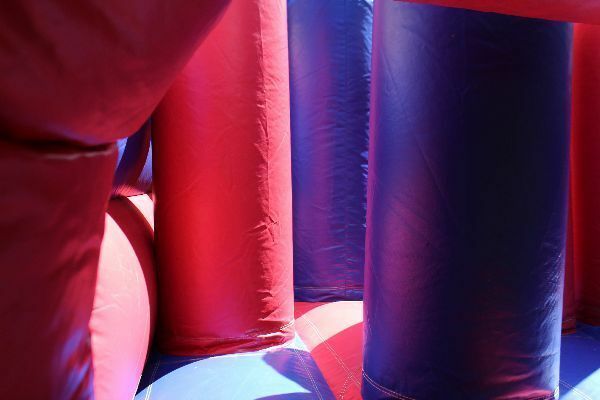 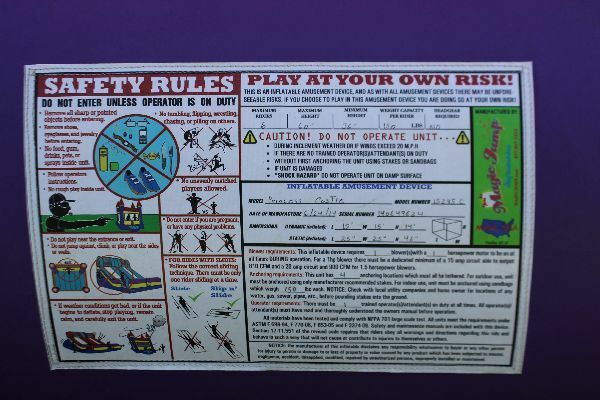 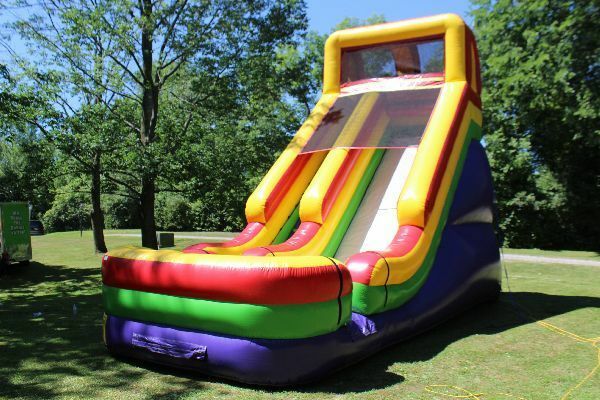 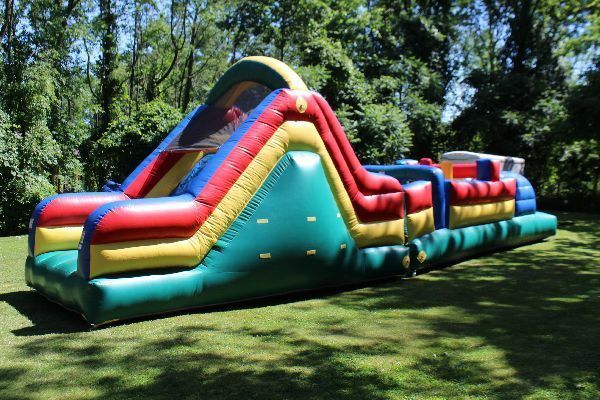 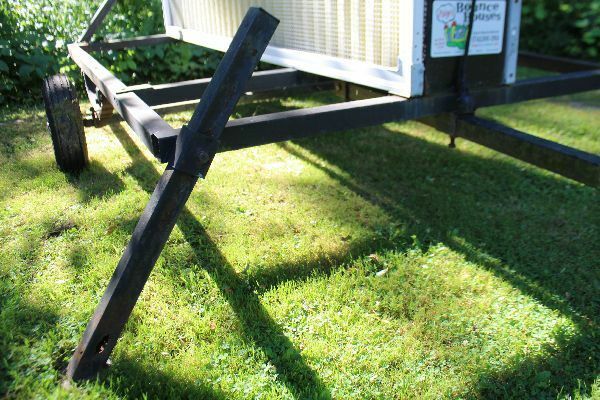 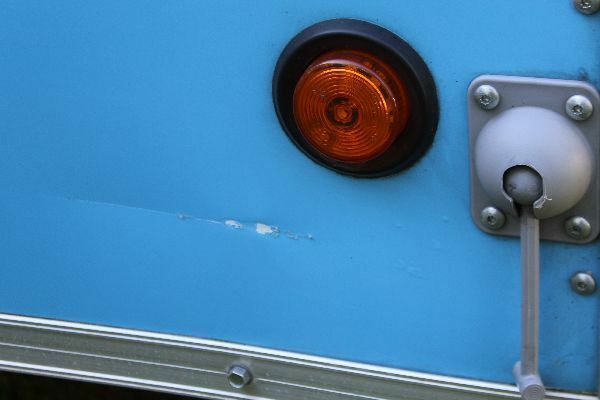 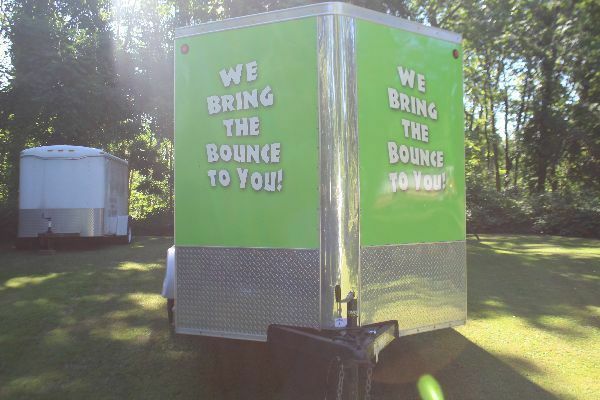 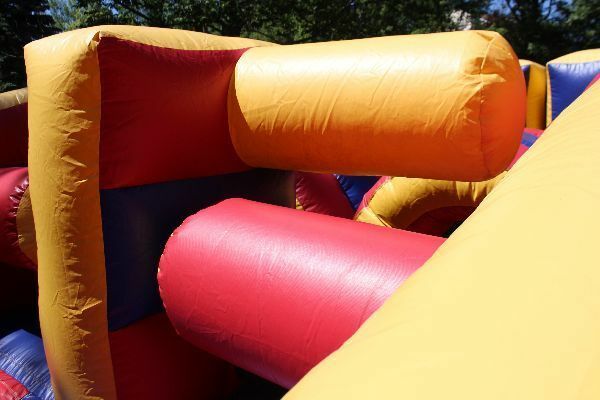 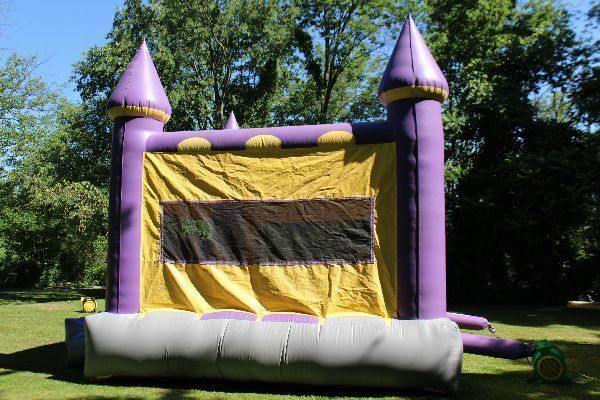 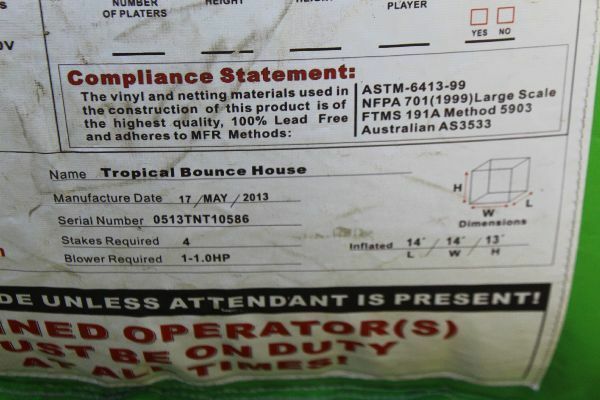 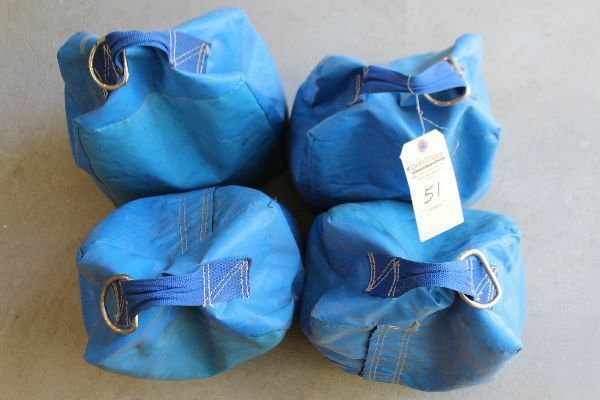 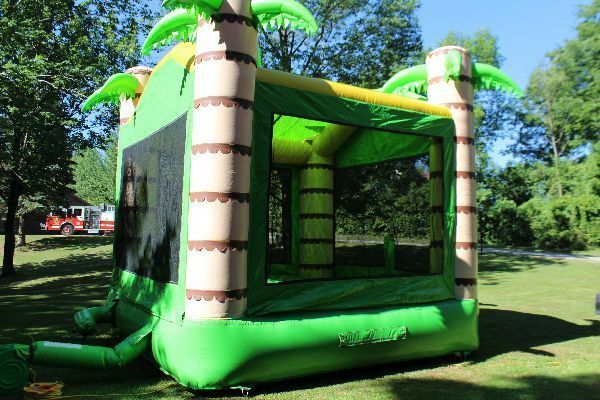 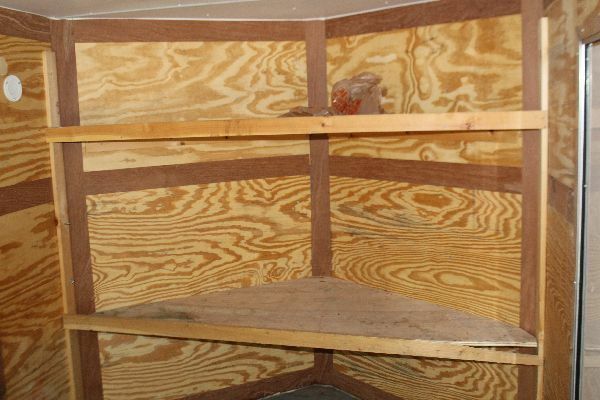 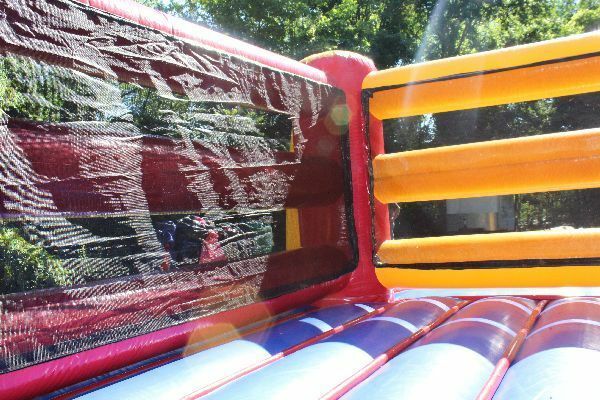 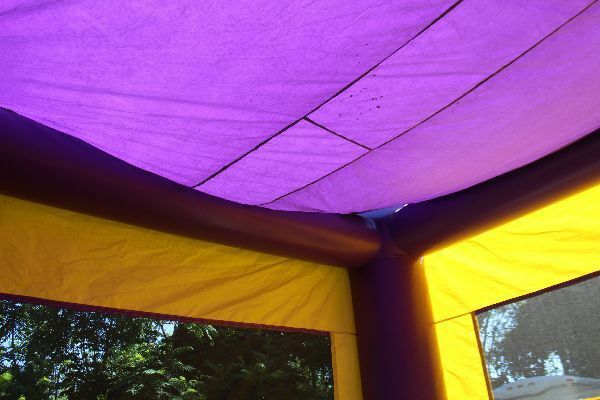 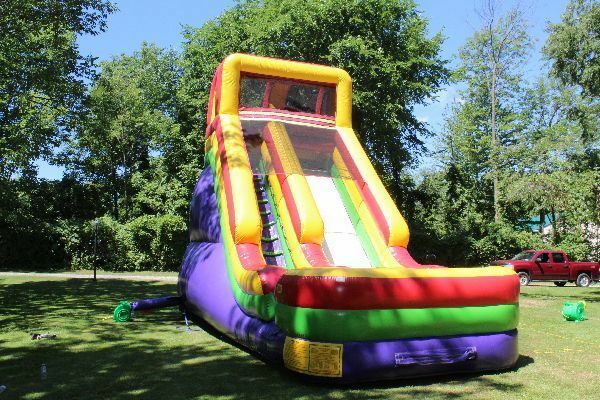 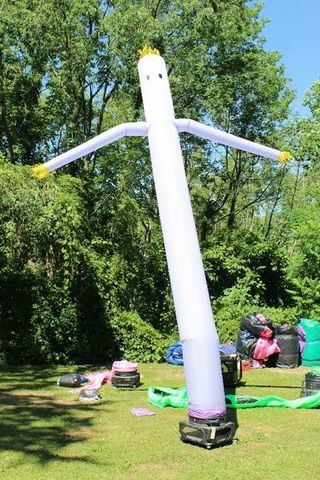 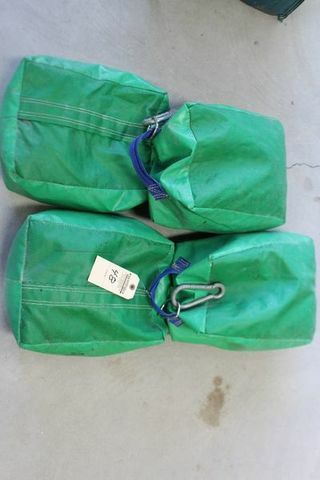 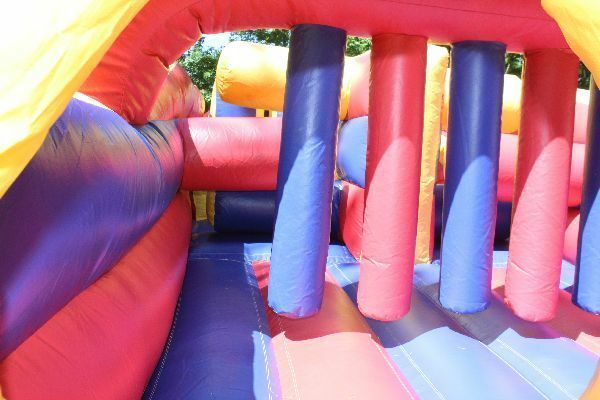 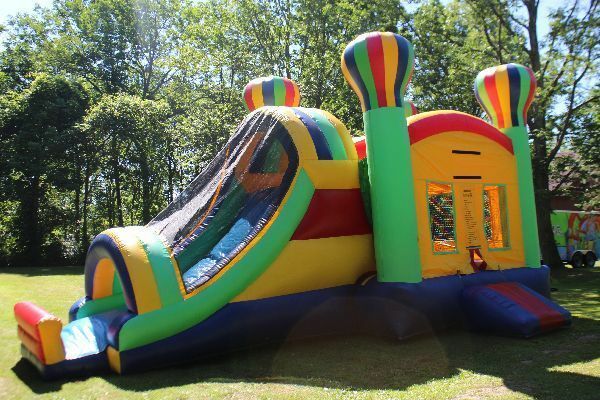 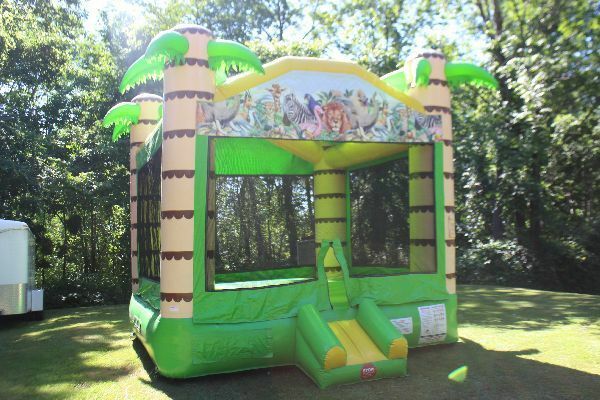 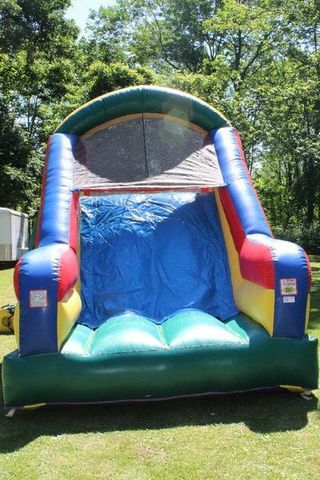 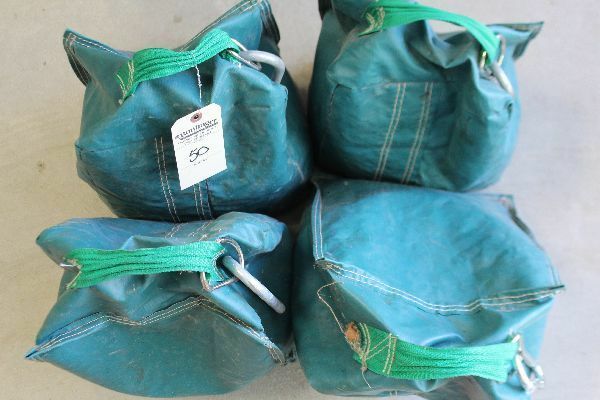 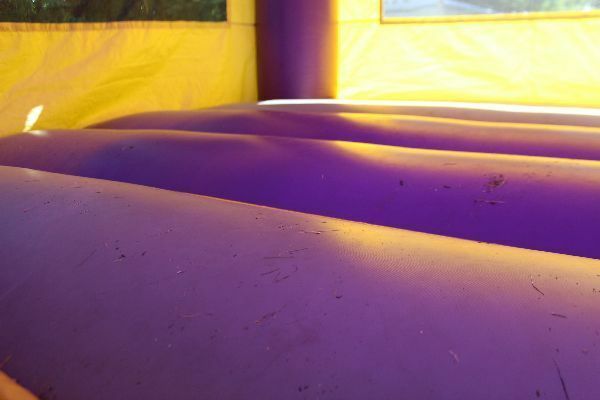 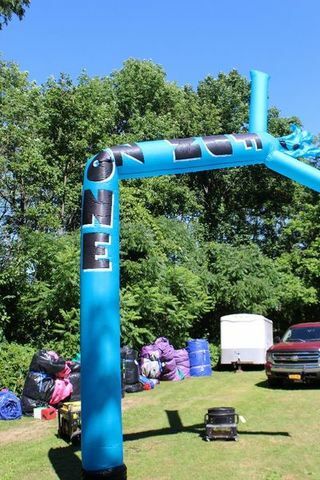 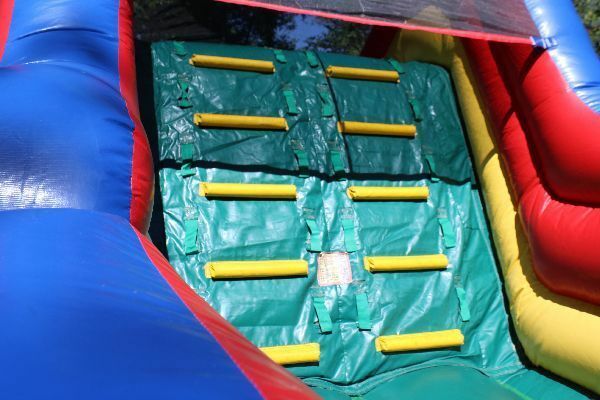 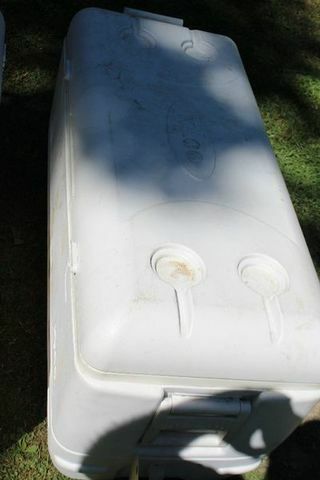 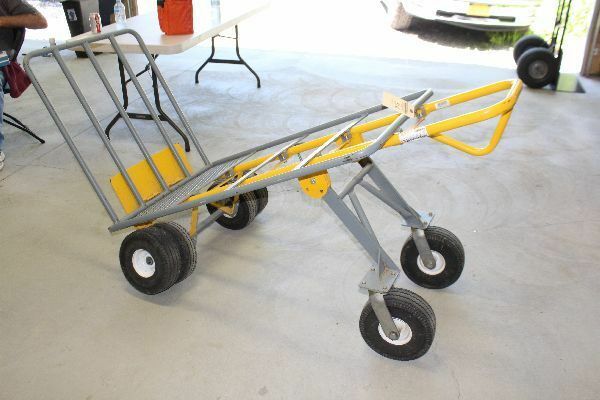 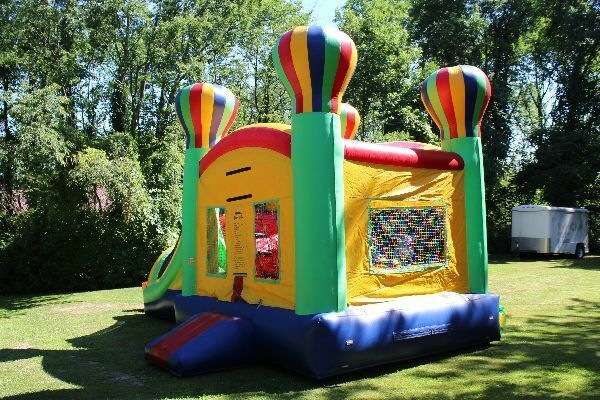 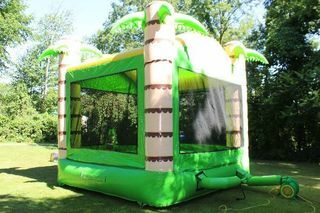 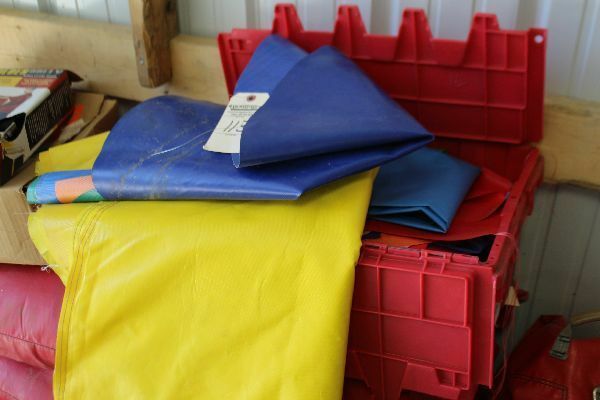 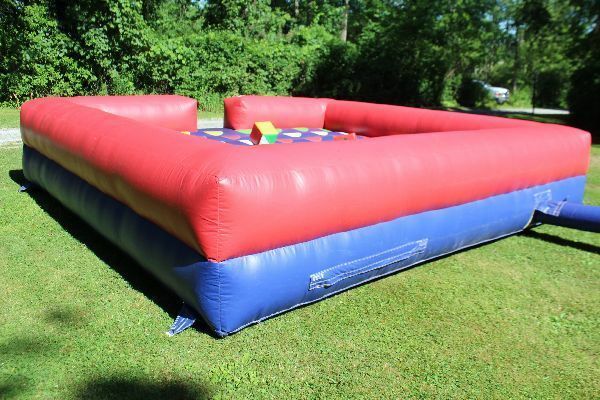 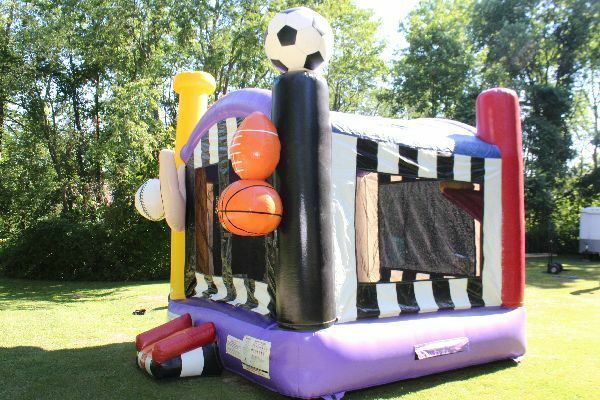 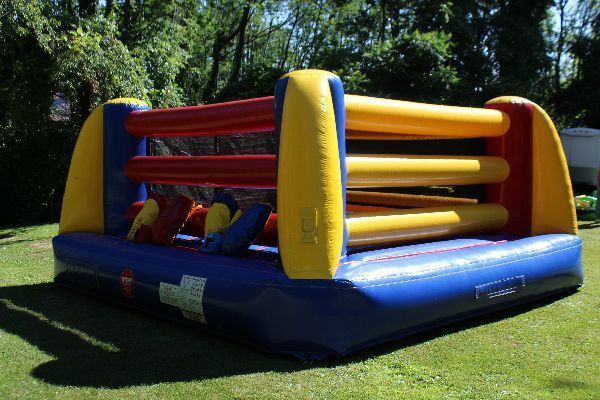 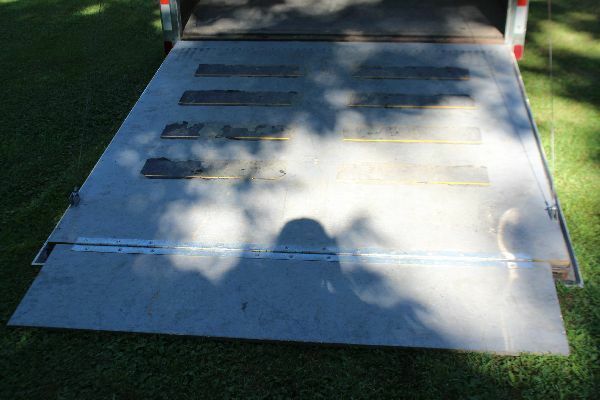 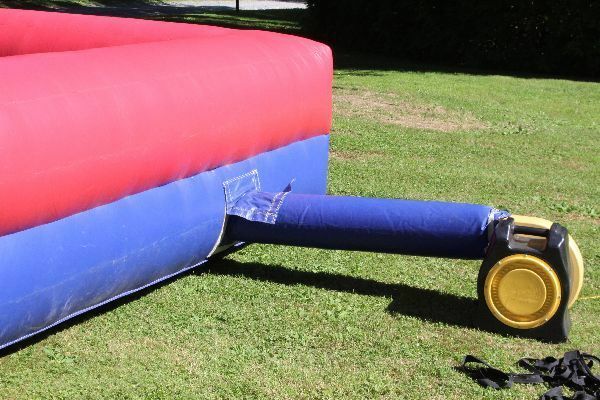 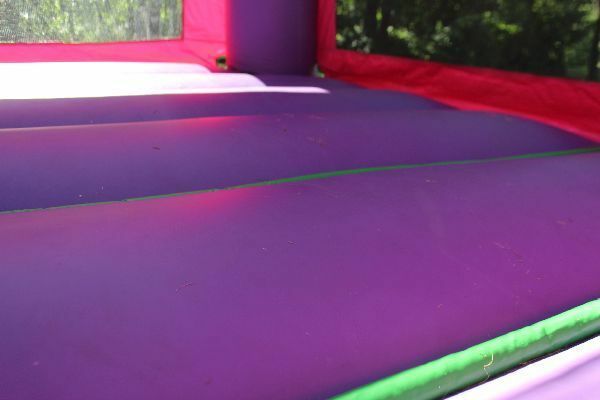 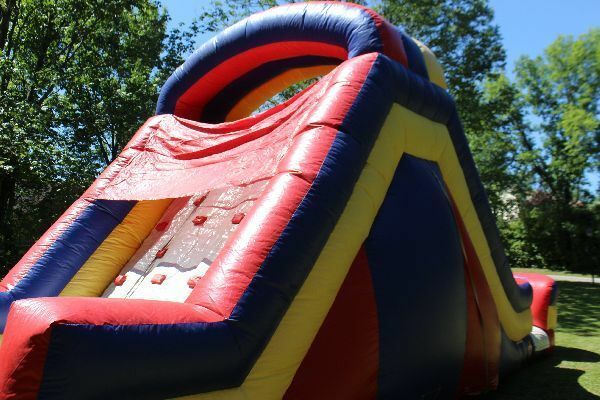 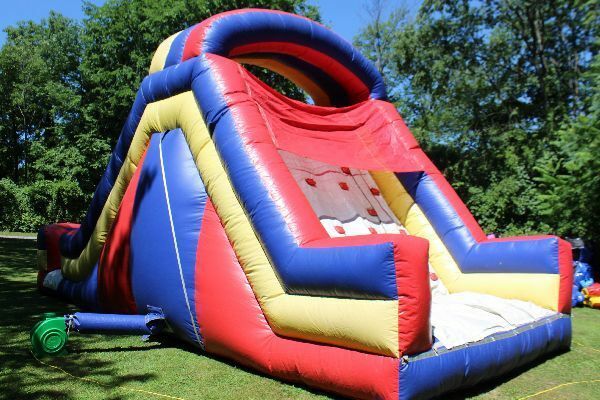 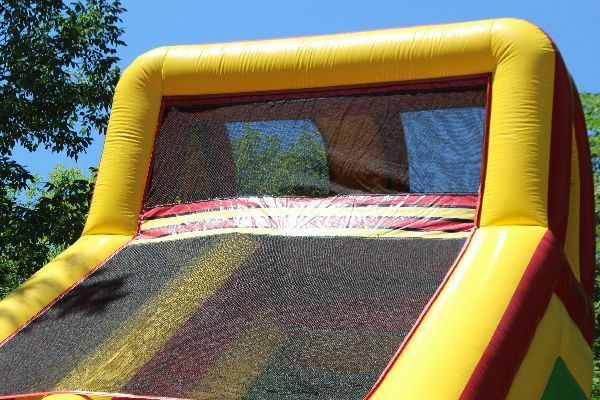 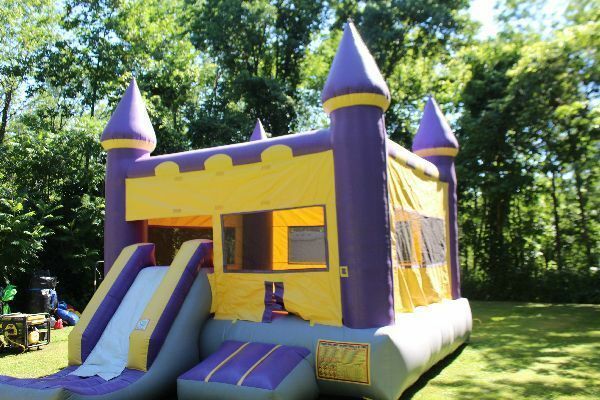 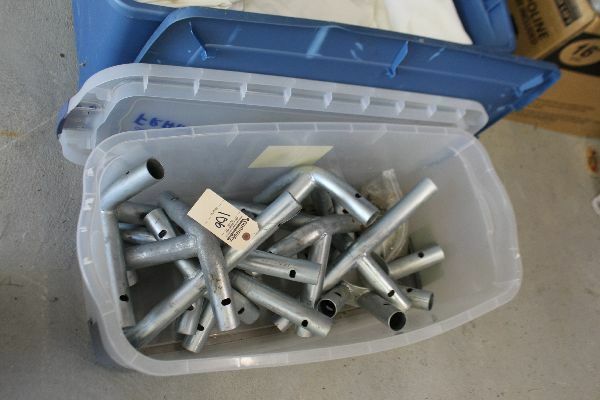 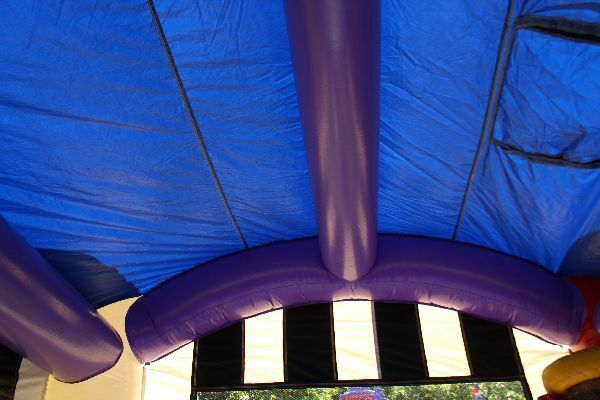 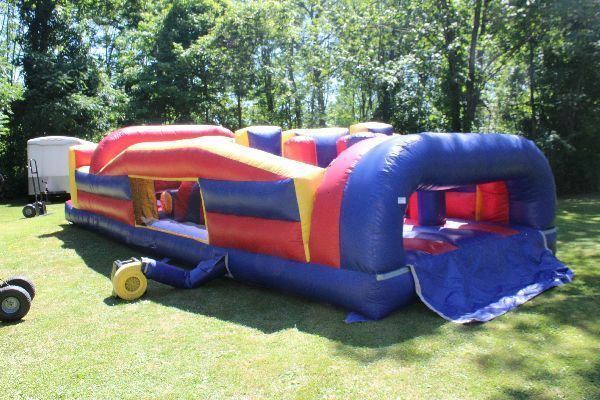 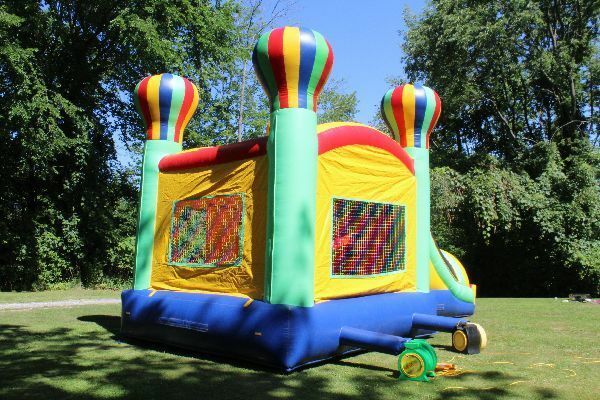 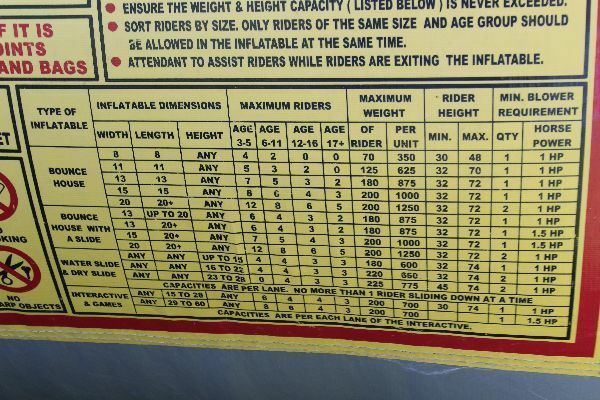 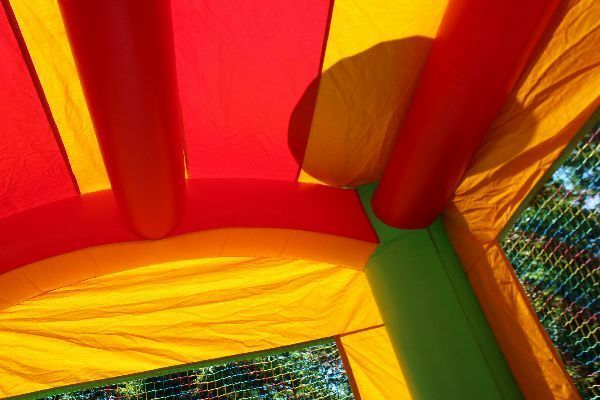 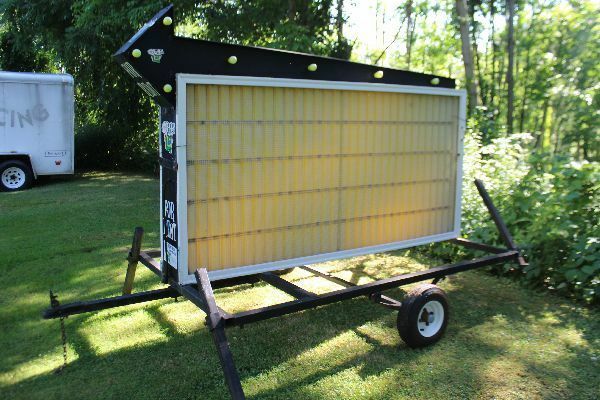 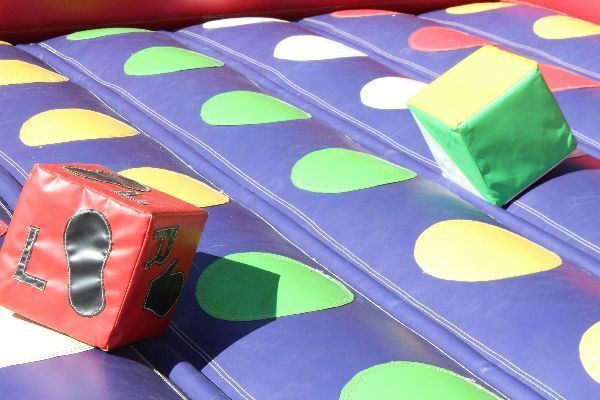 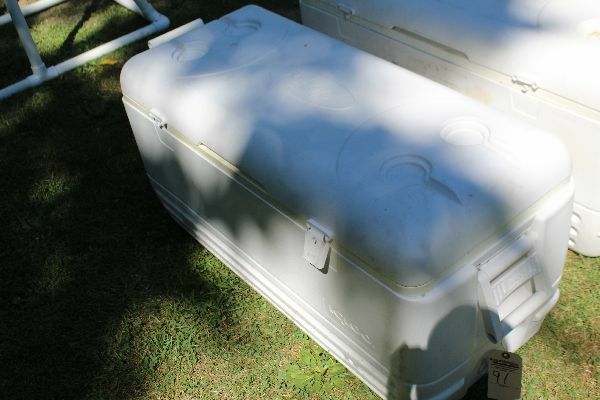 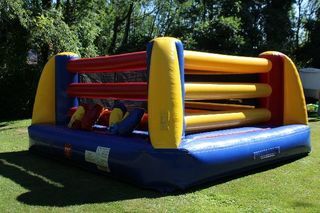 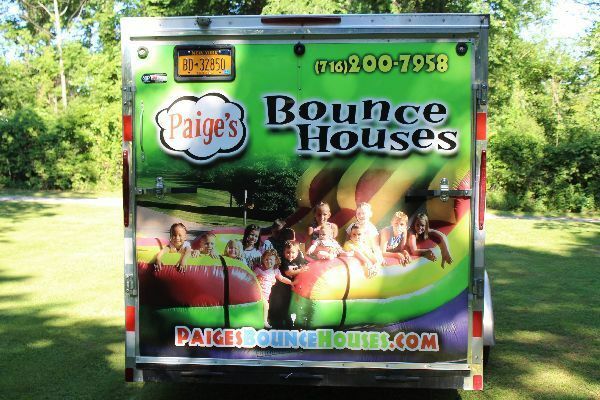 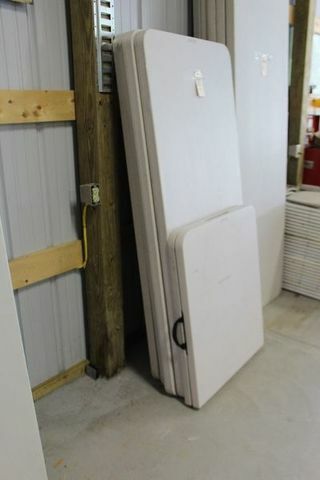 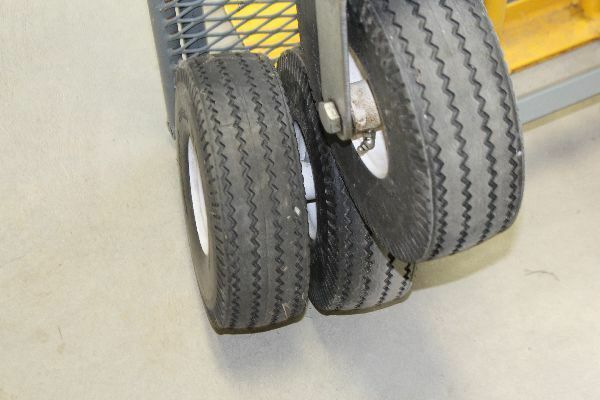 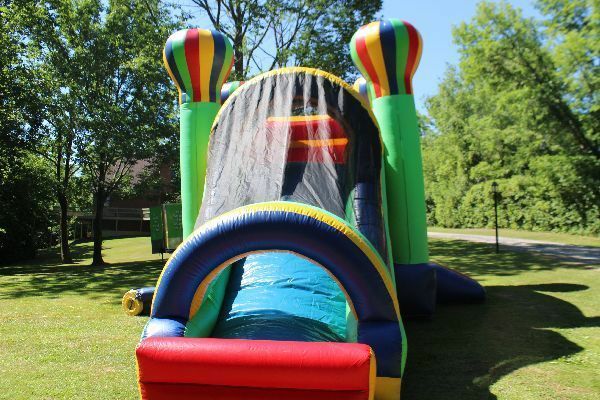 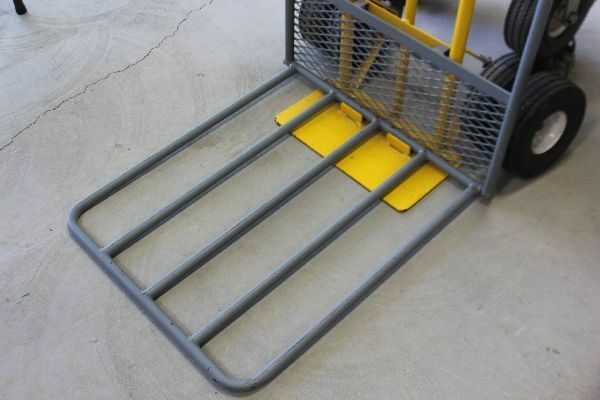 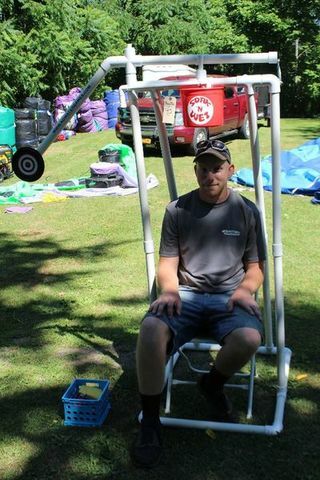 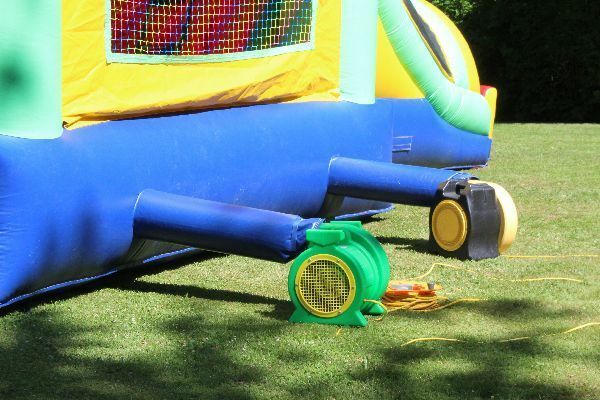 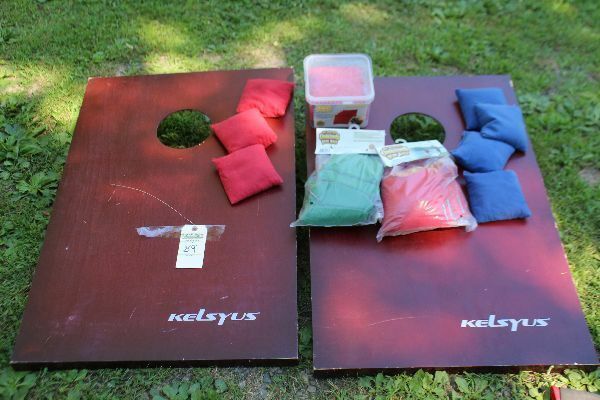 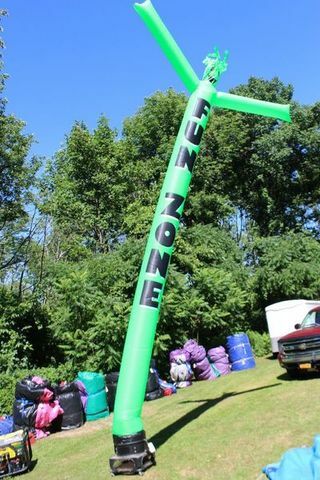 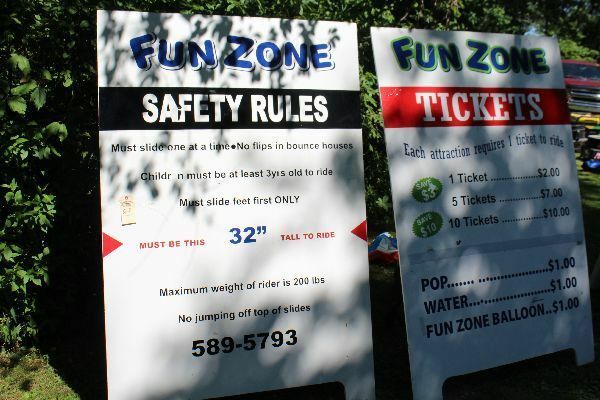 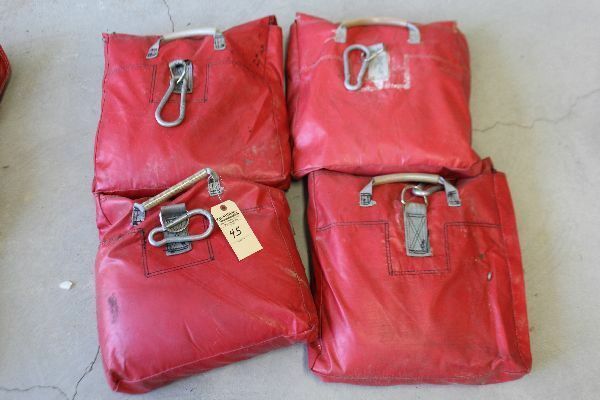 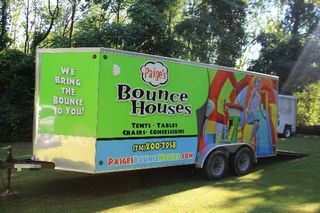 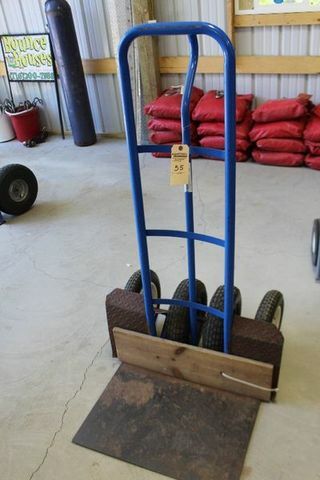 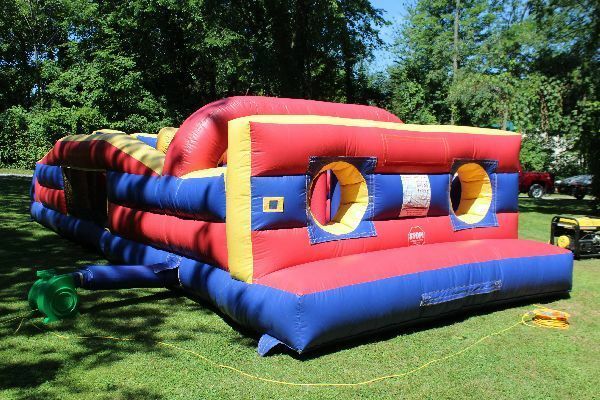 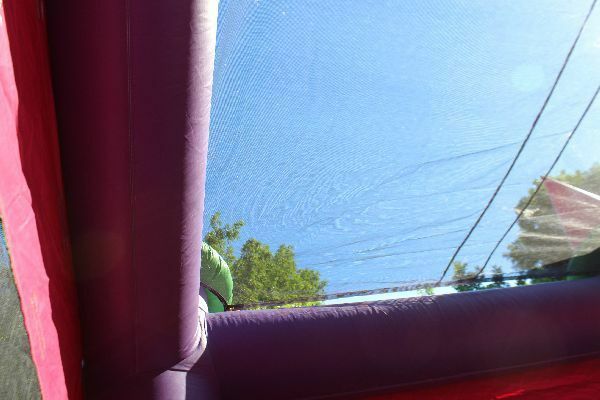 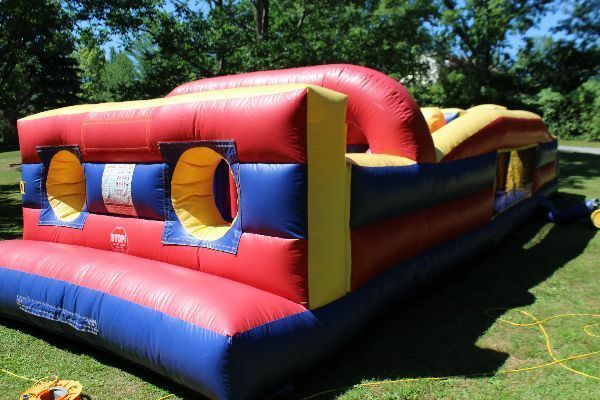 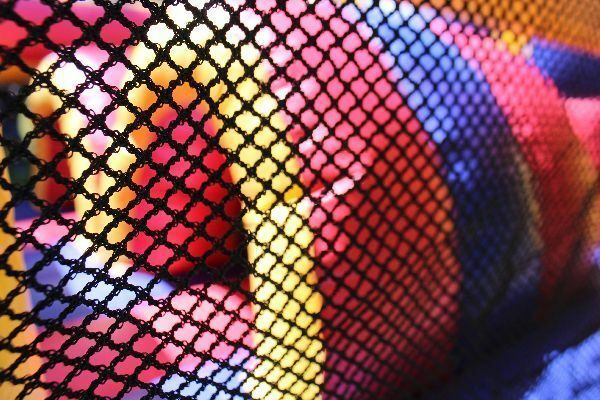 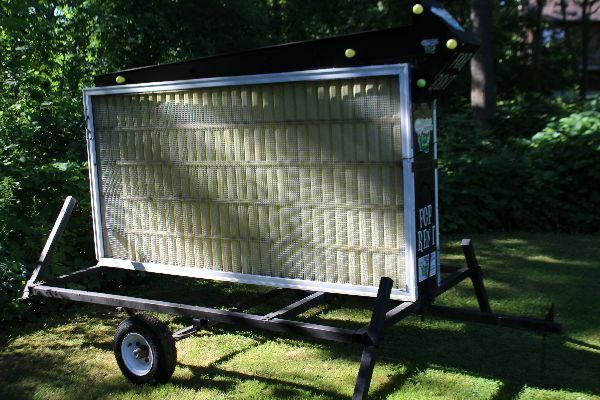 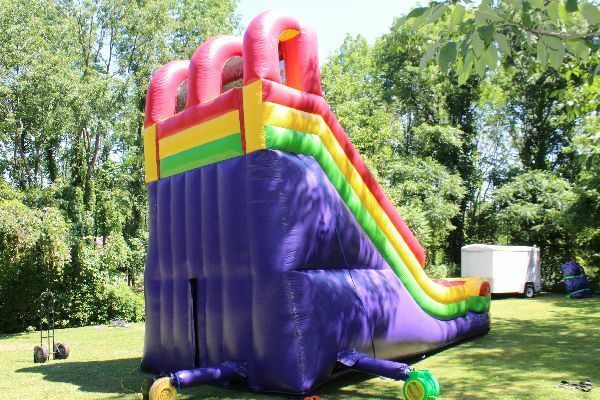 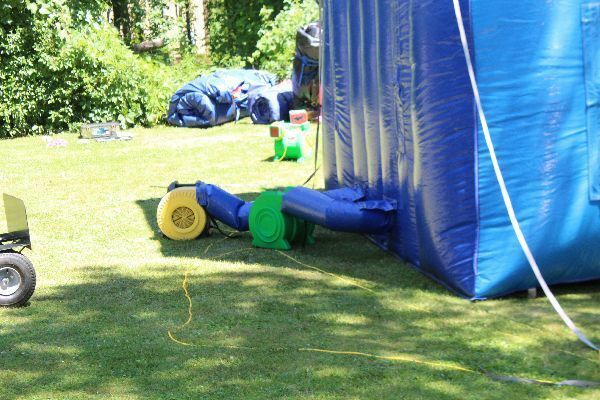 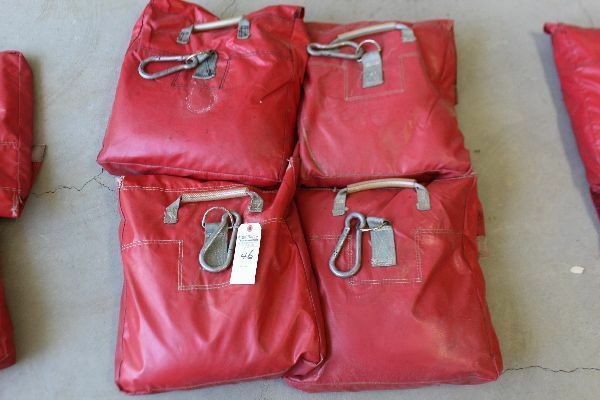 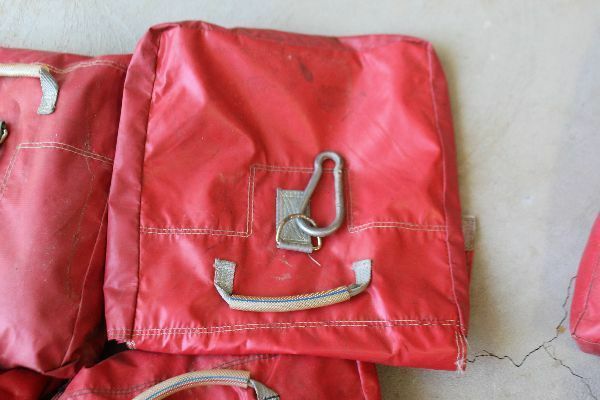 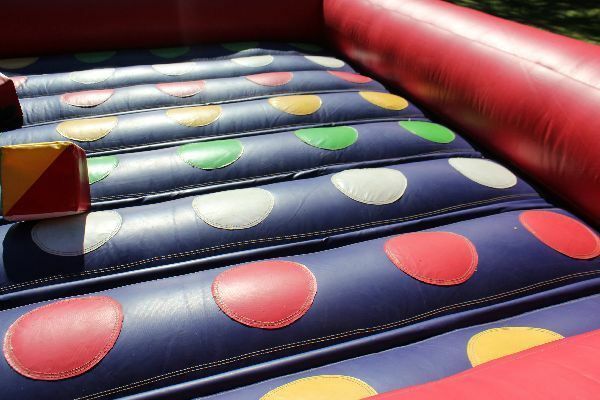 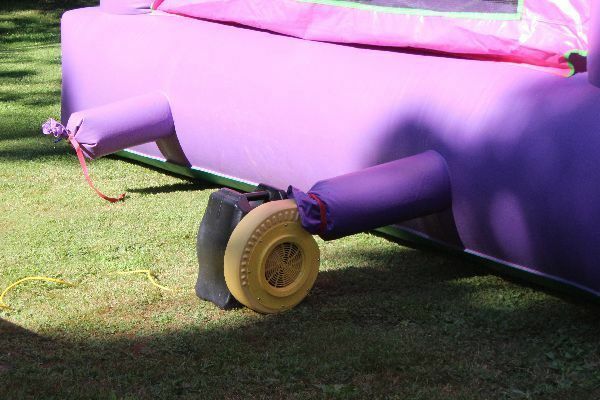 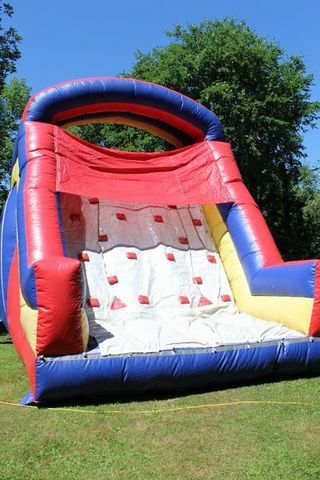 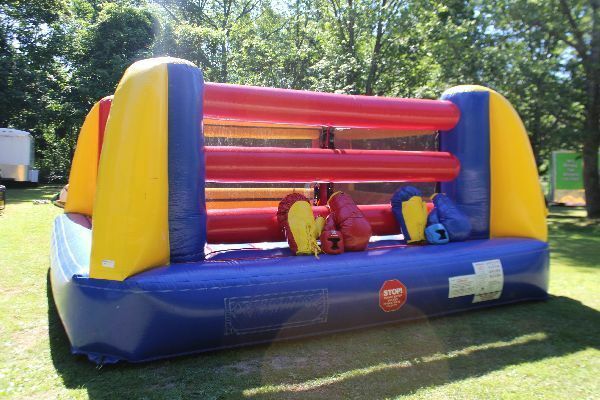 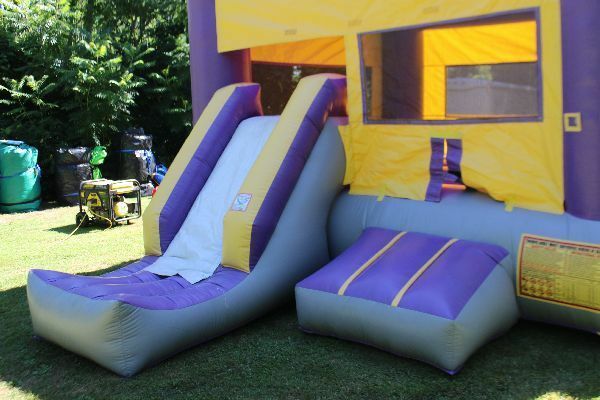 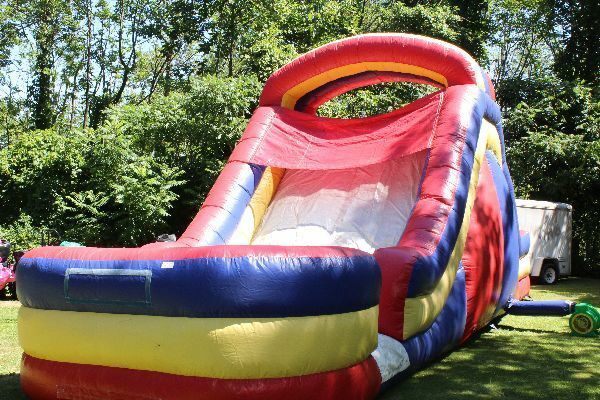 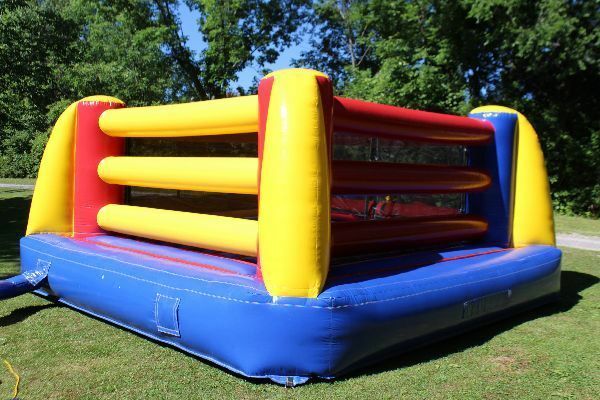 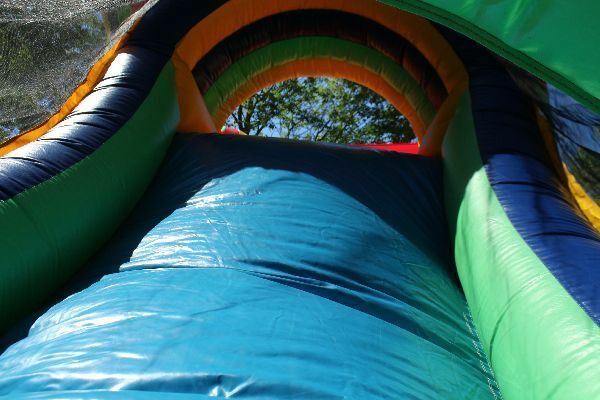 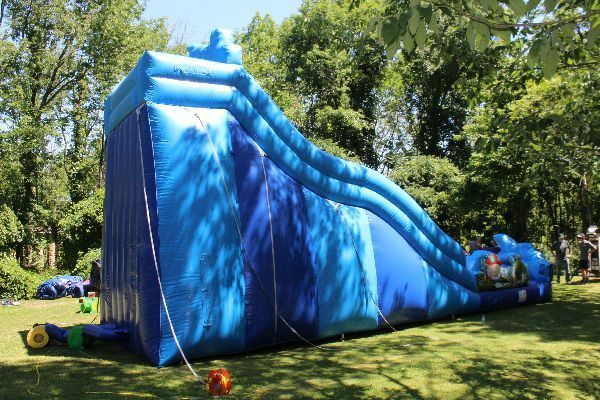 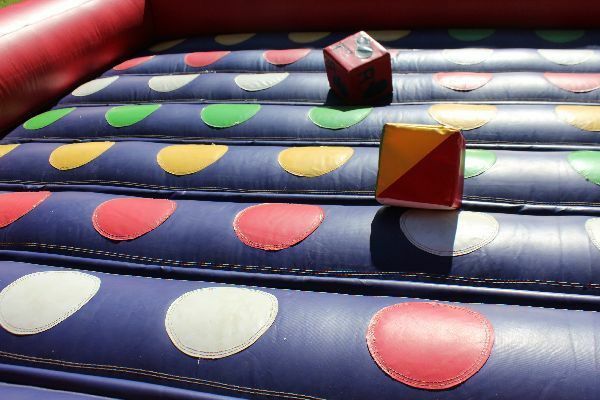 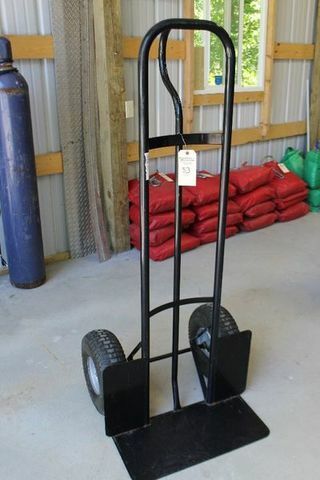 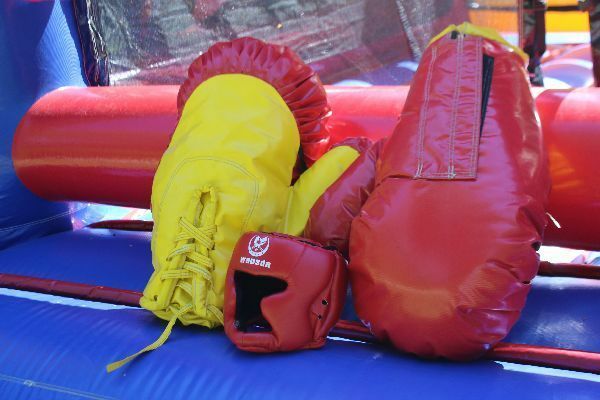 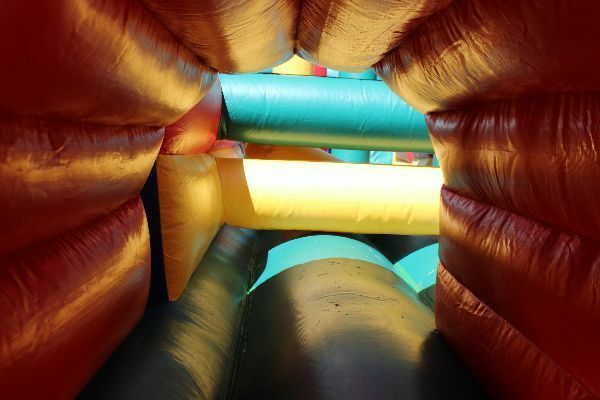 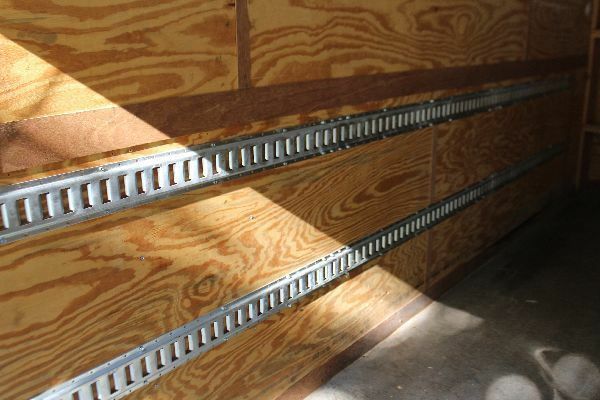 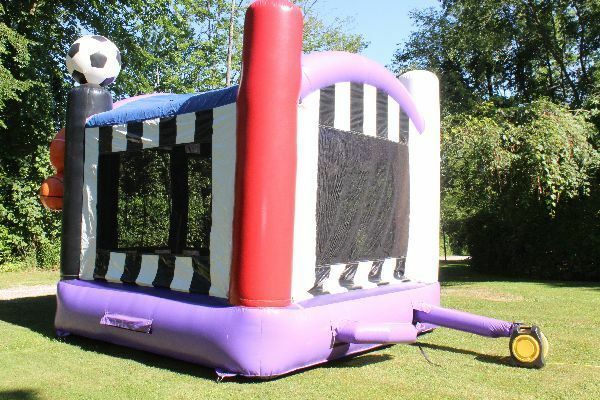 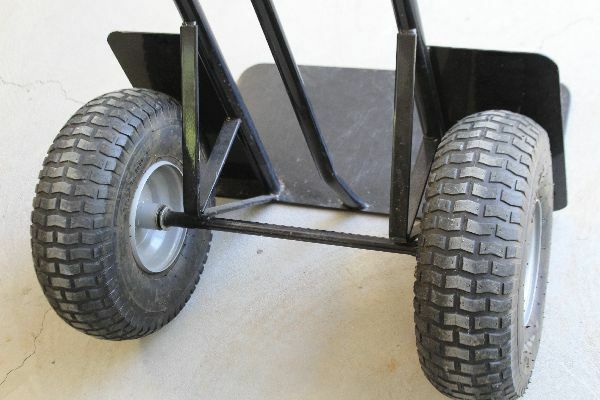 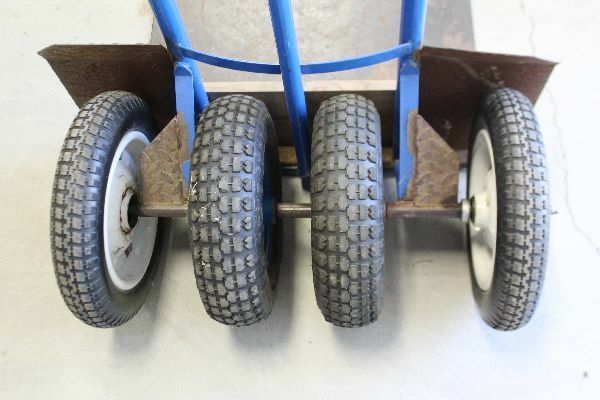 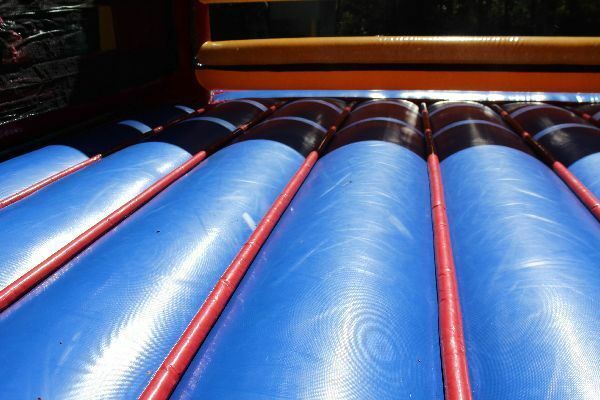 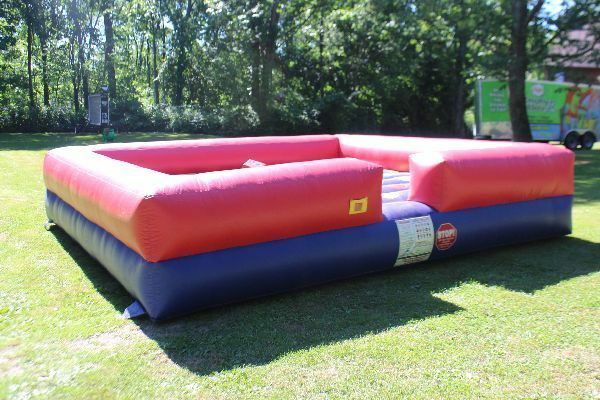 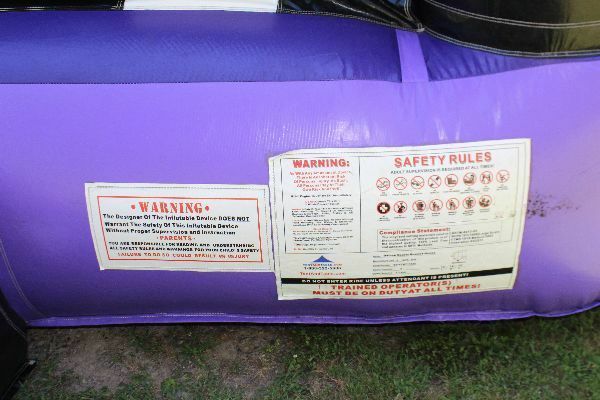 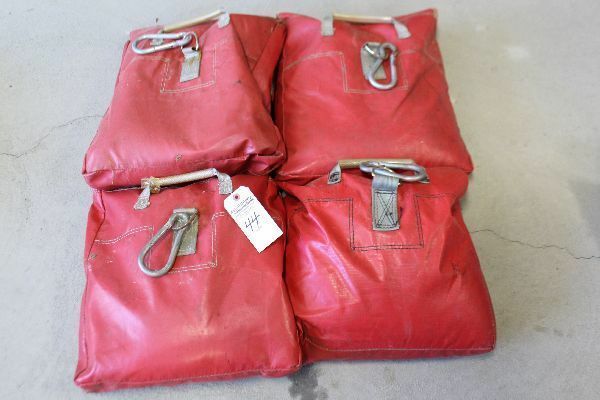 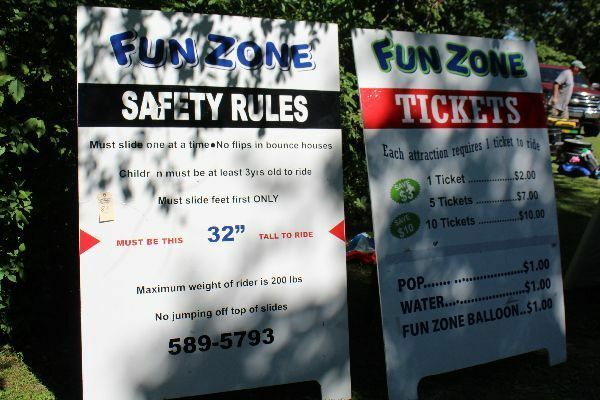 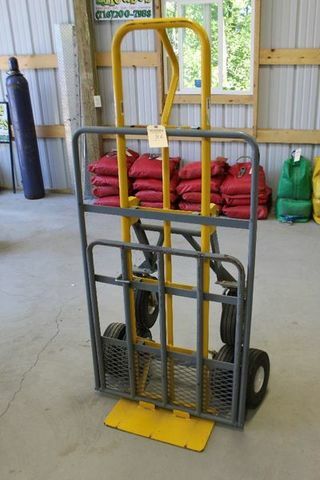 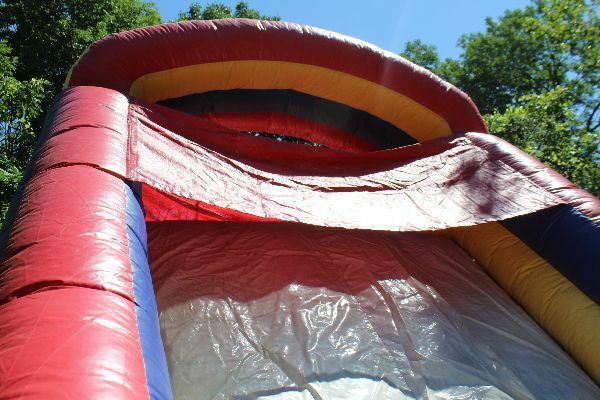 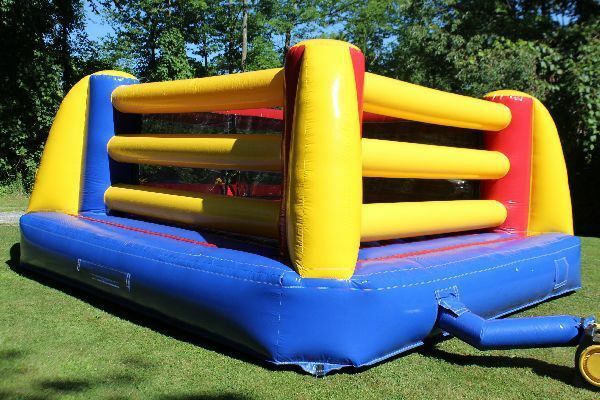 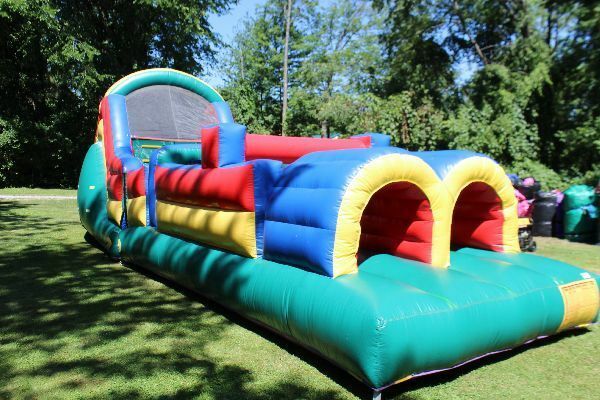 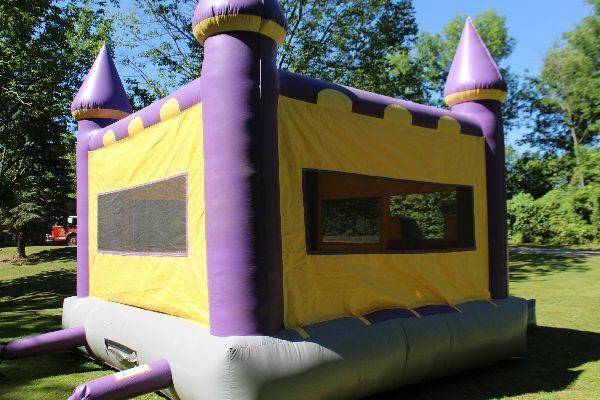 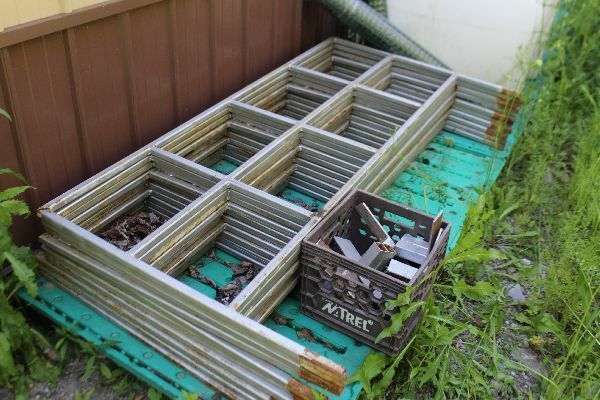 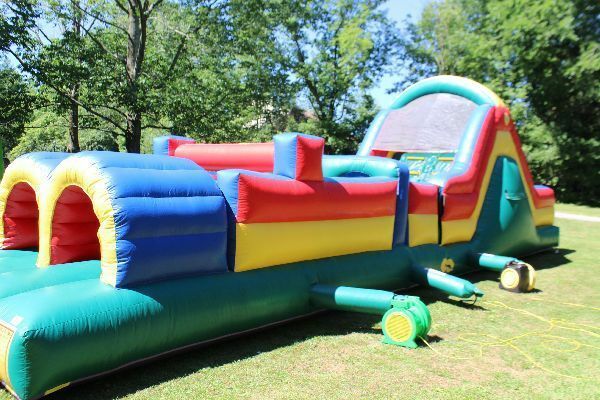 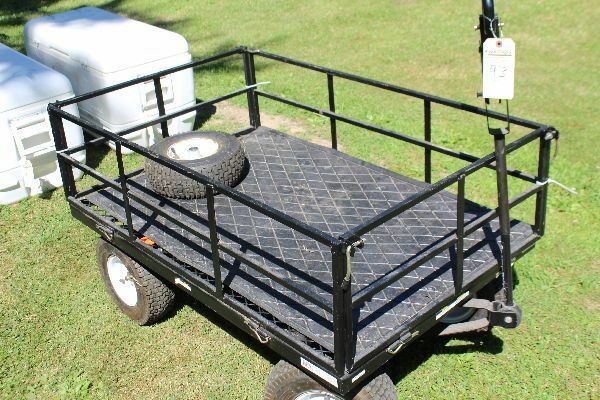 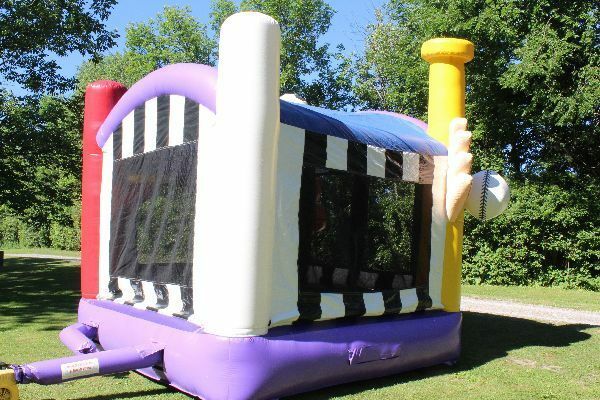 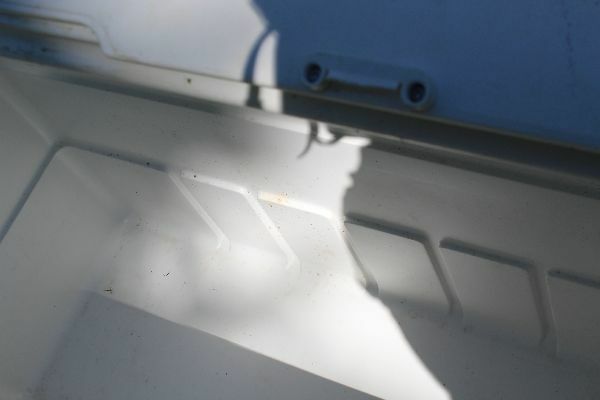 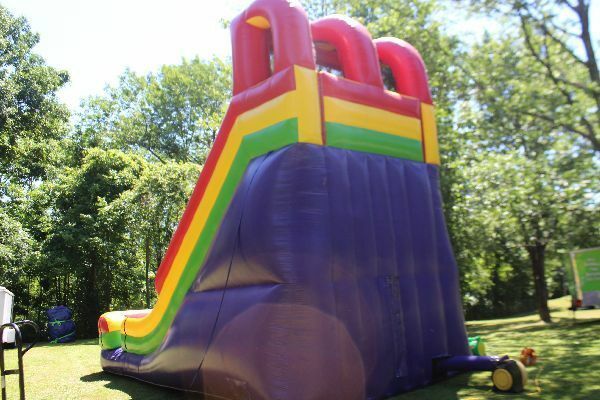 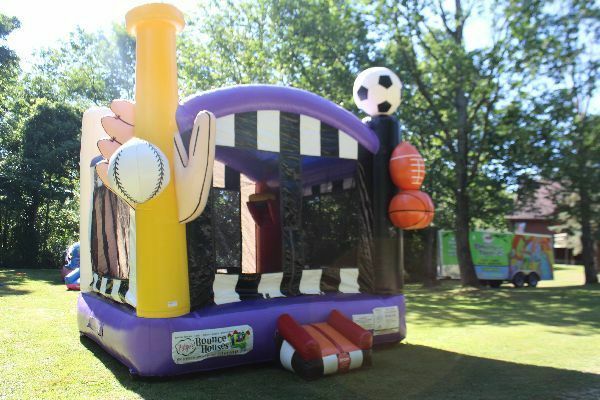 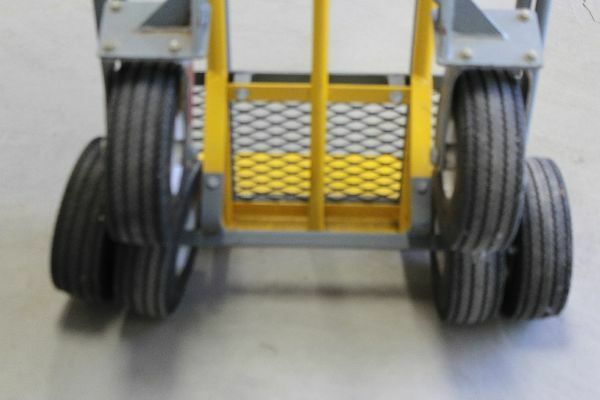 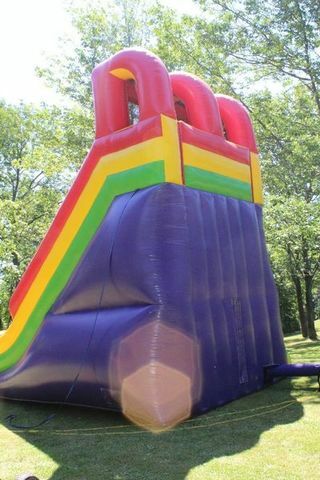 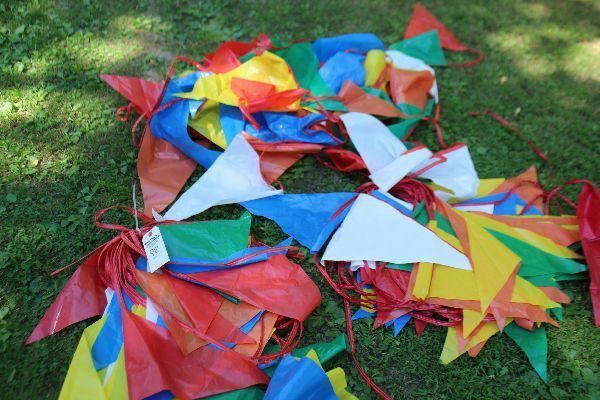 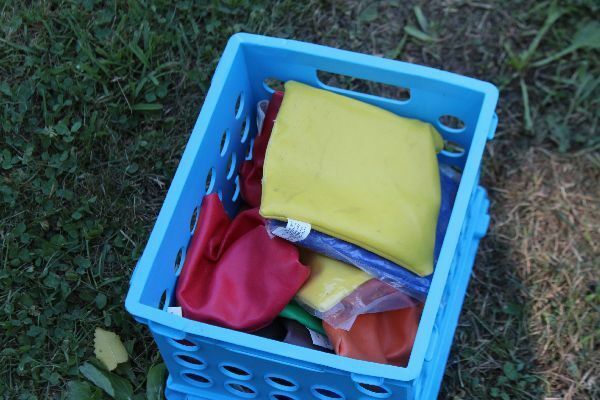 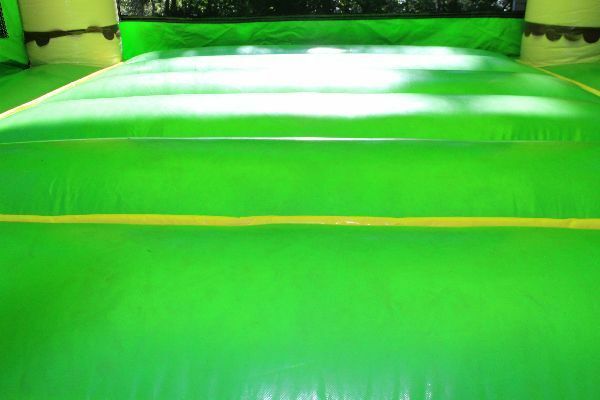 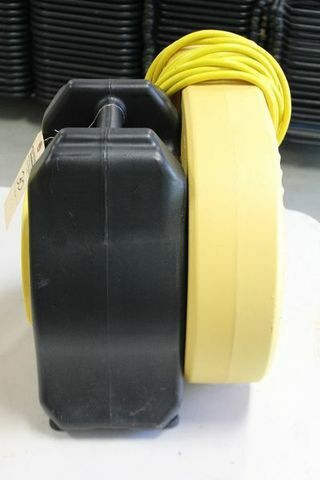 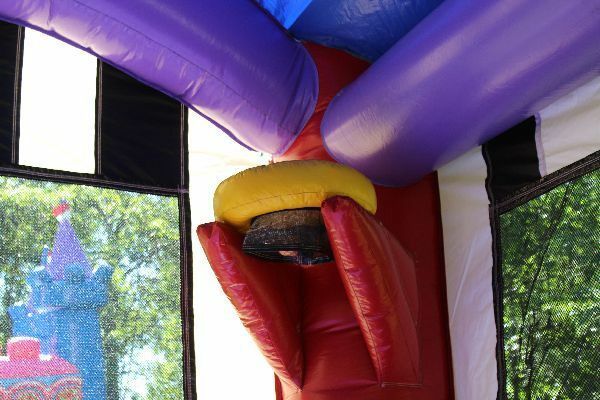 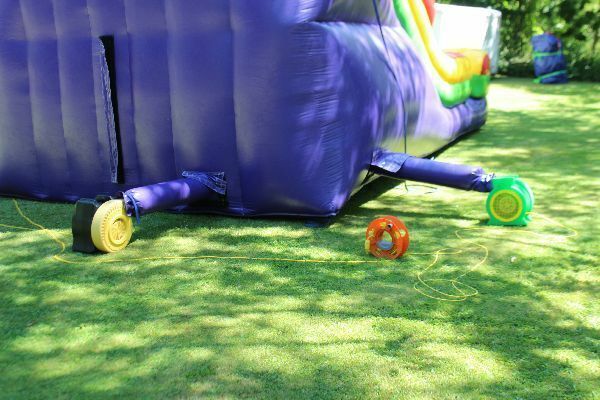 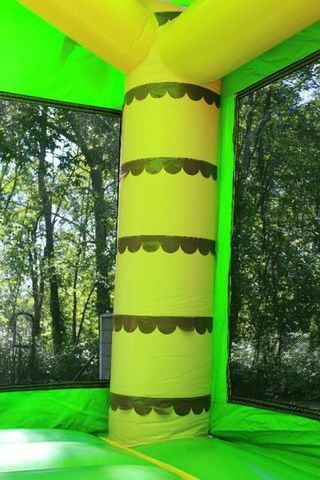 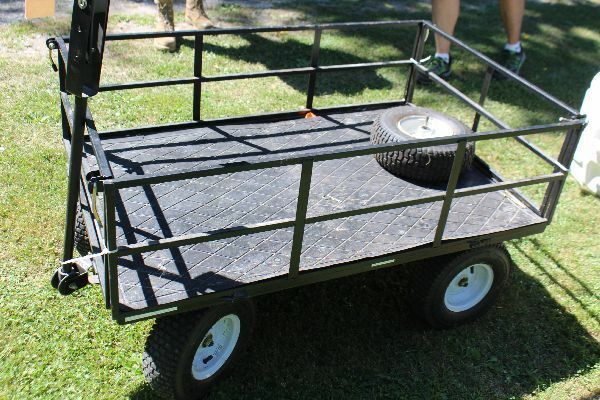 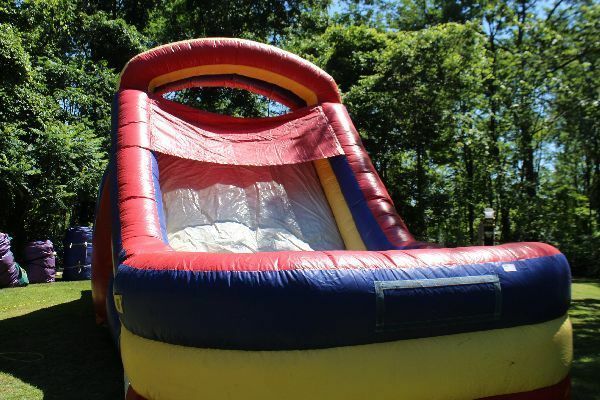 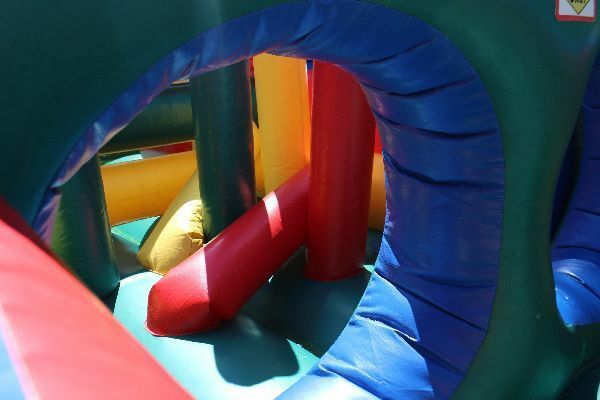 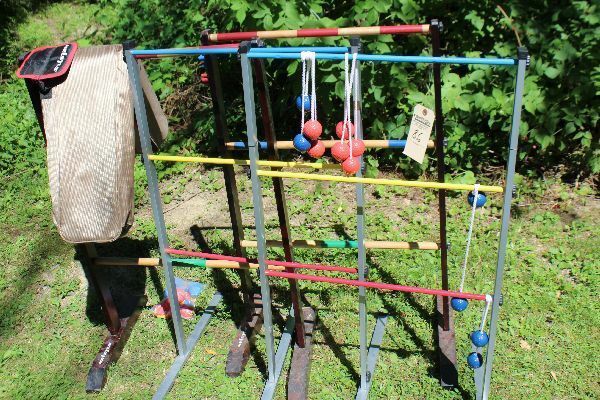 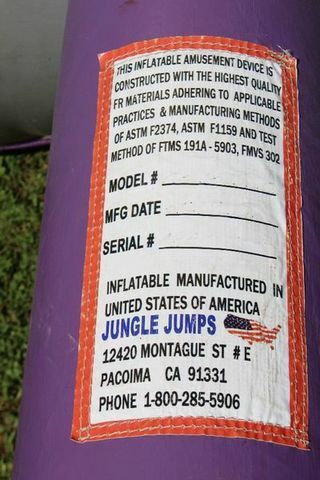 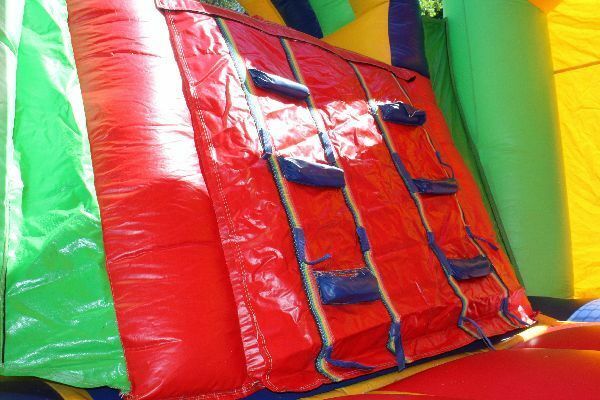 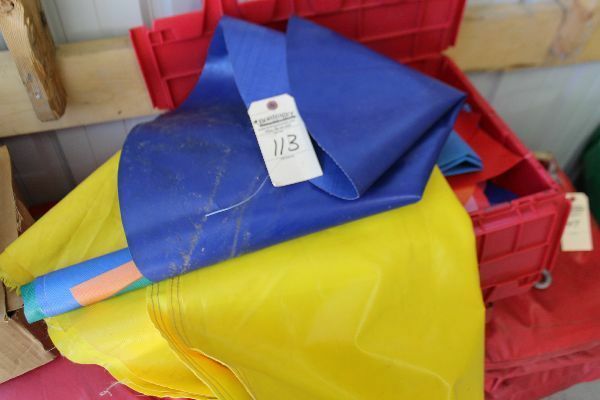 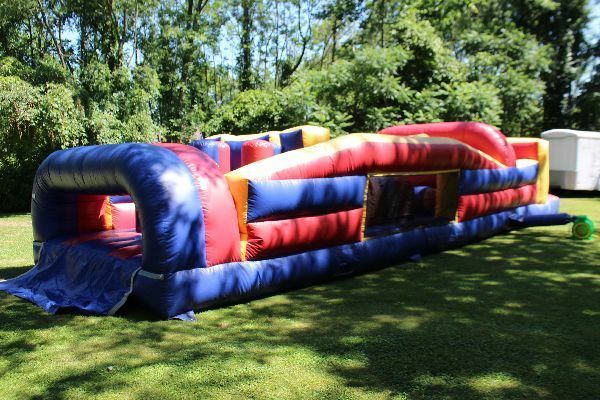 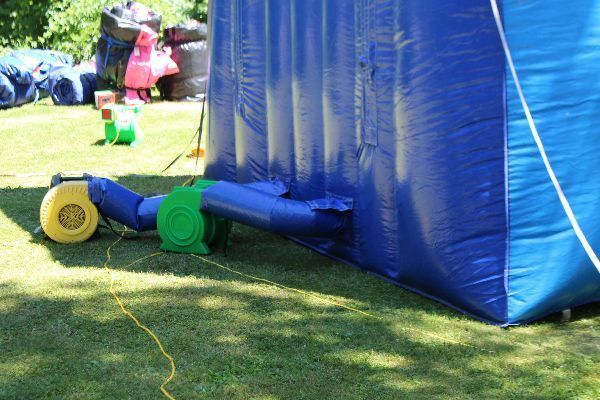 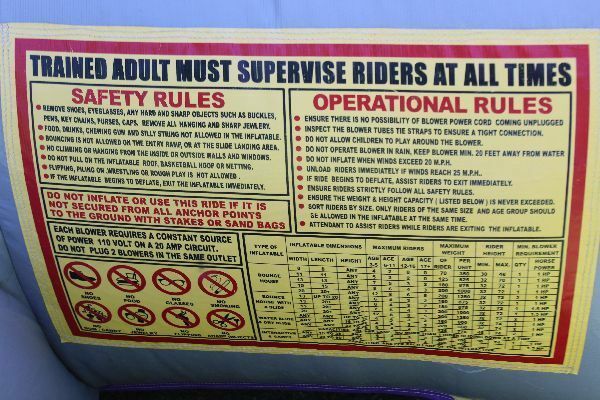 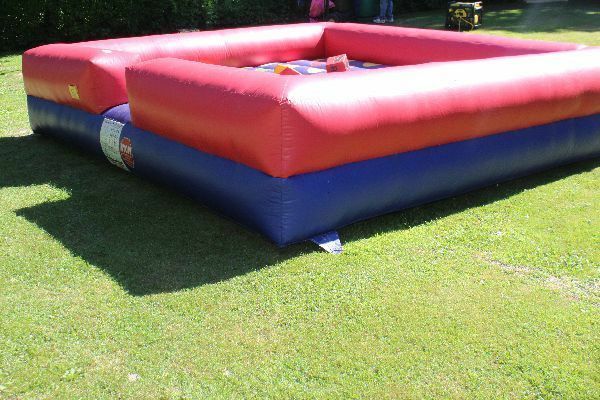 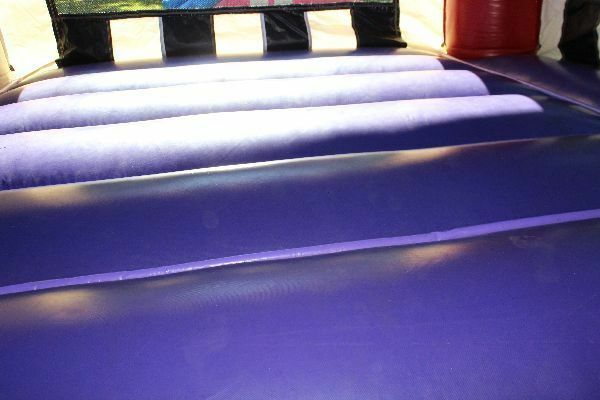 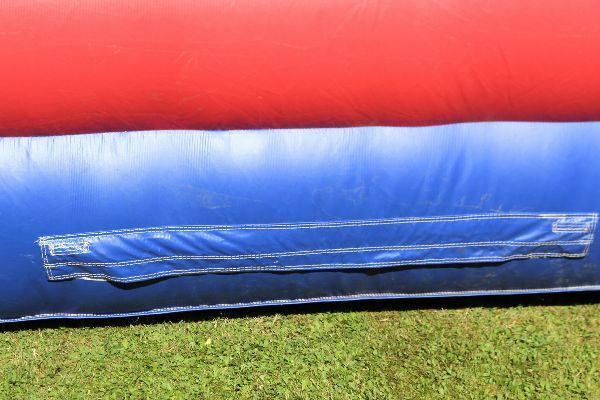 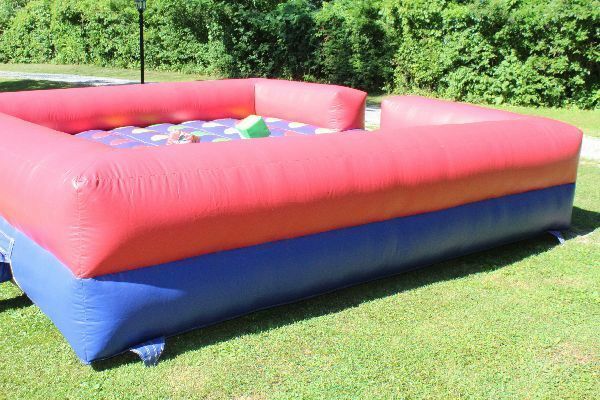 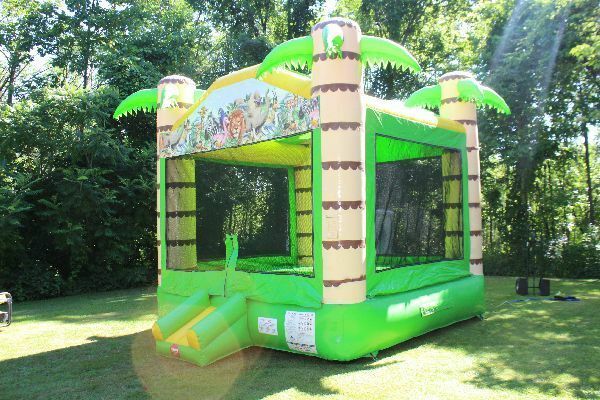 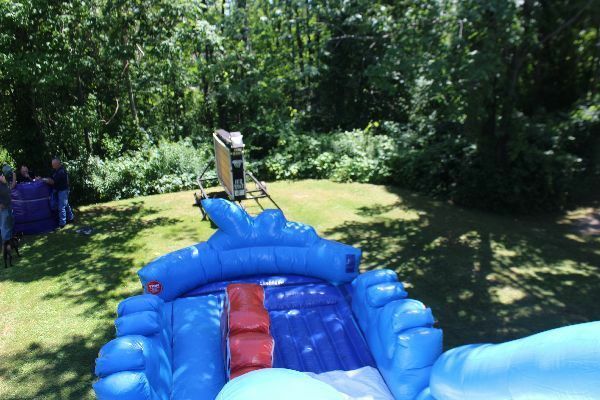 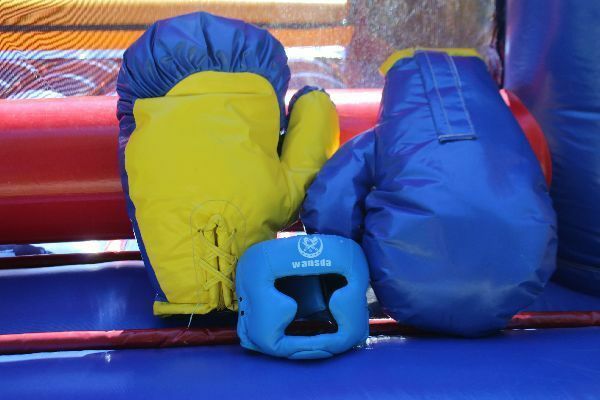 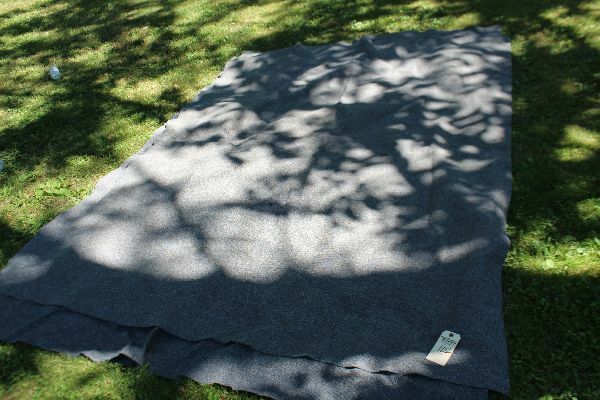 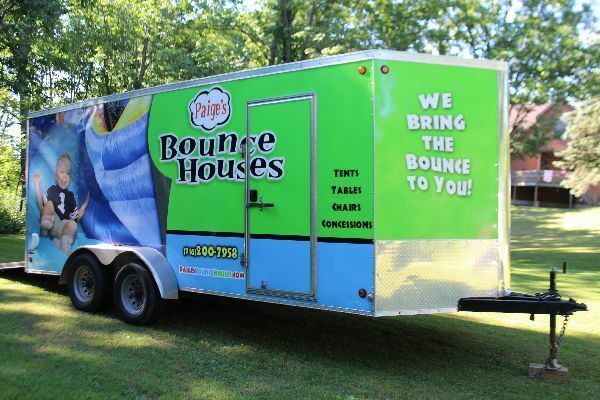 Trailer, 13 bounce houses & obstacle courses, plus rental equipment and related items. 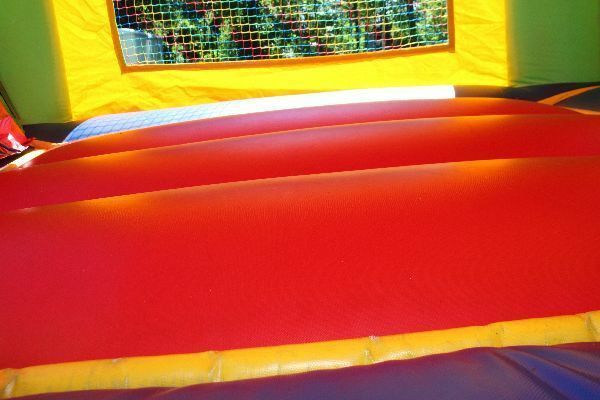 Due to storage constraints, there is no live preview. 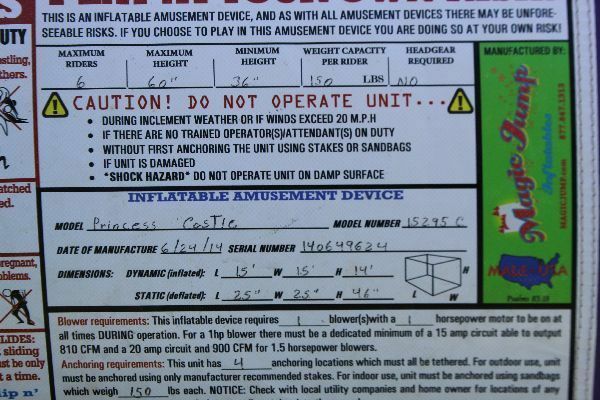 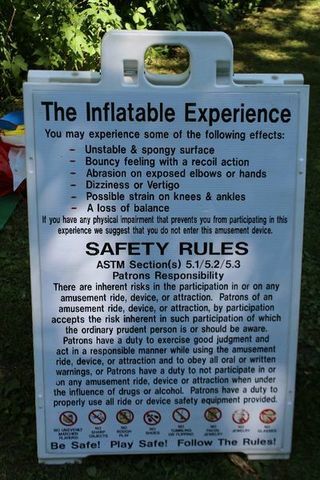 Please read terms carefully for checkout and pickup info. 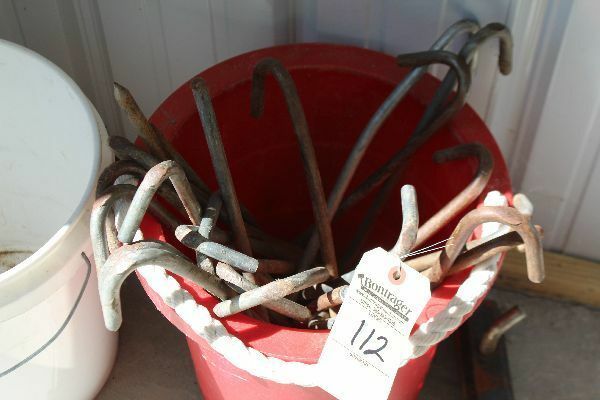 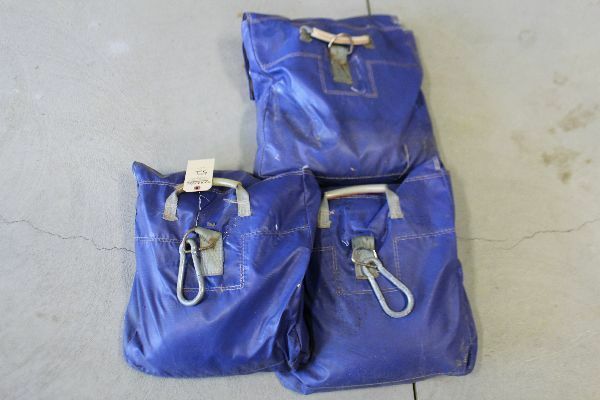 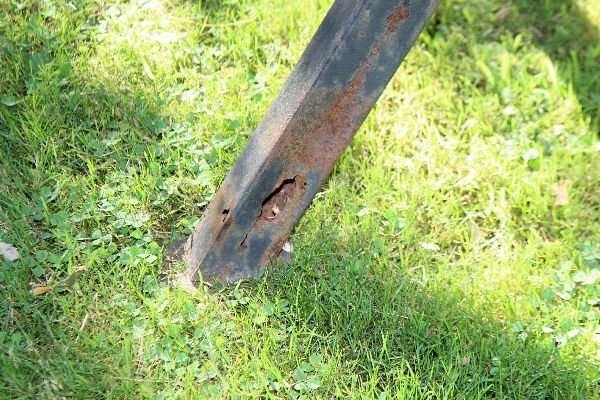 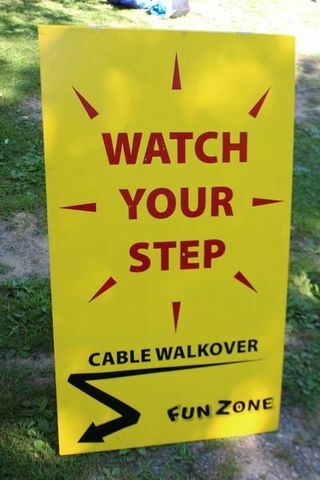 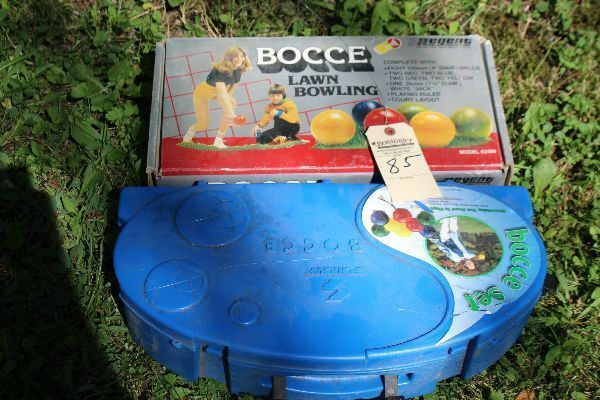 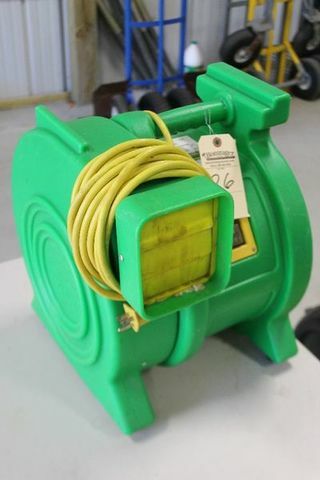 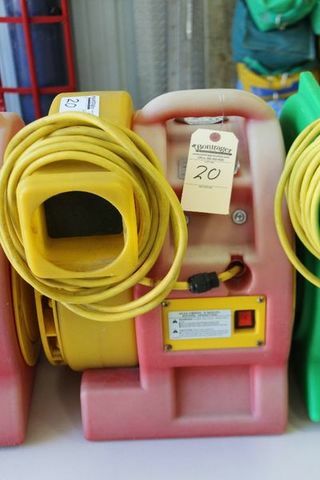 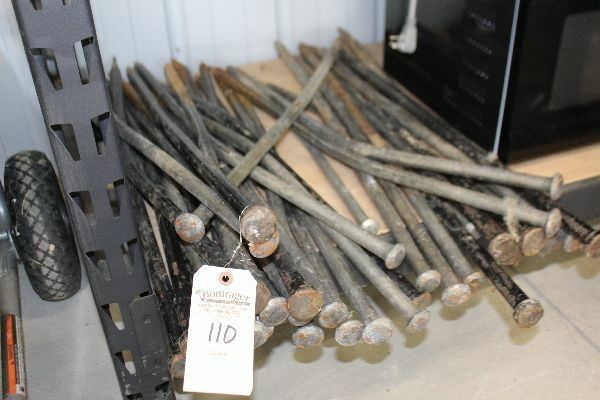 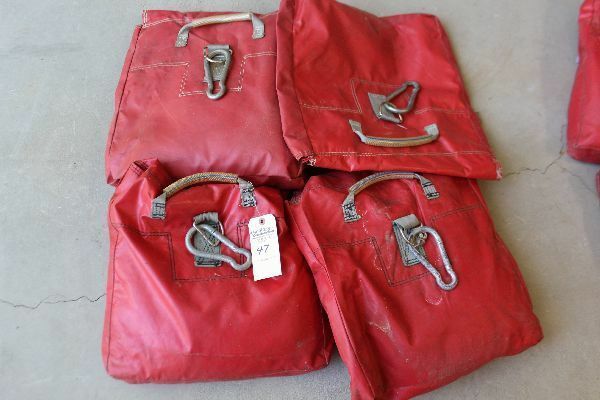 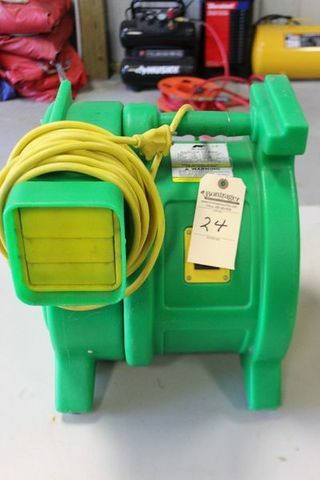 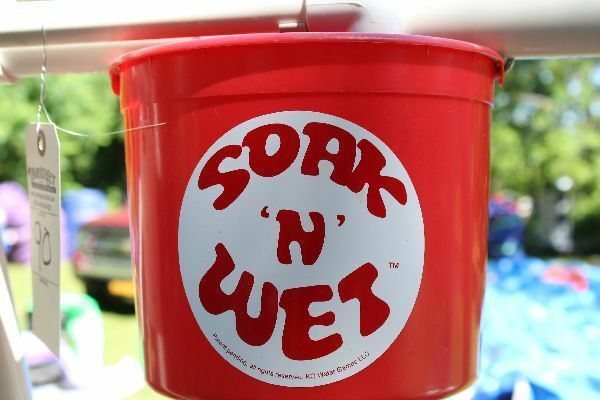 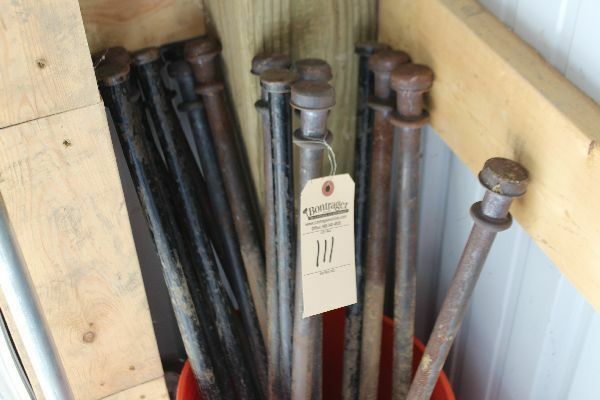 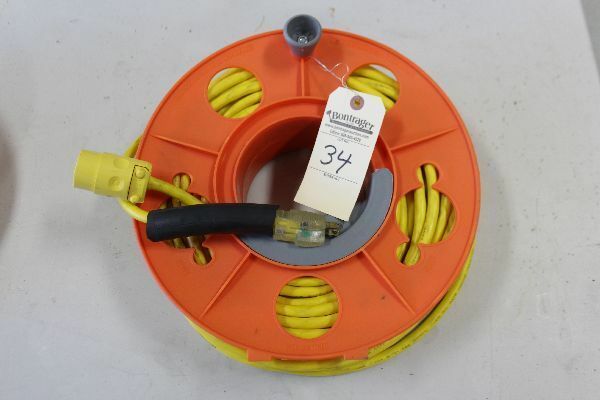 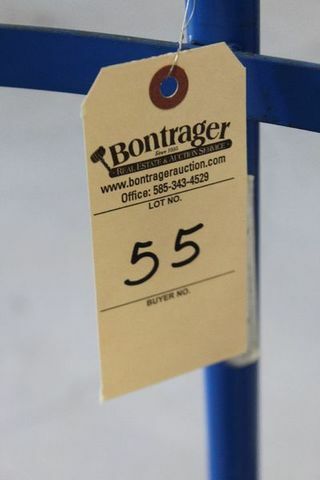 Starts July 30th, 2018 at 6 p.m.
Checkout: Tuesday August 7th at Bontrager Auction Center, 8975 Wortendyke Road, Batavia, NY 14020 between 8 a.m. and 5 p.m. 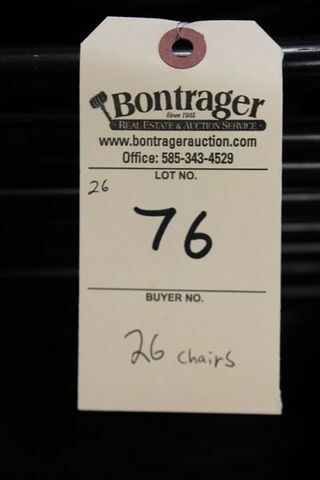 This is the only checkout day. 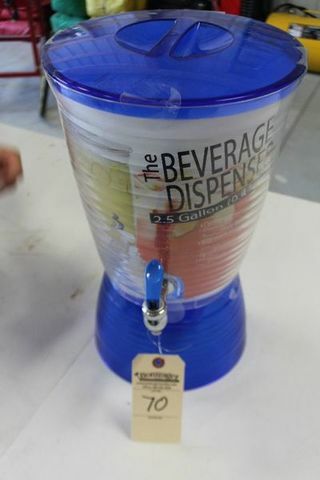 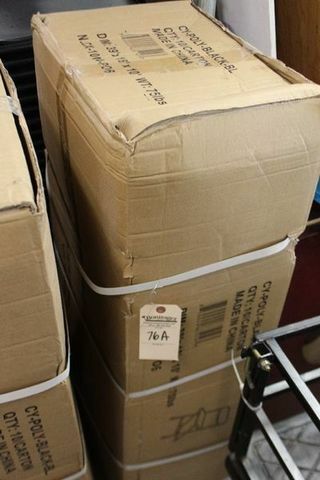 Merchandise Pick up: Tuesday August 7th between 8 a.m. and 5 p.m. 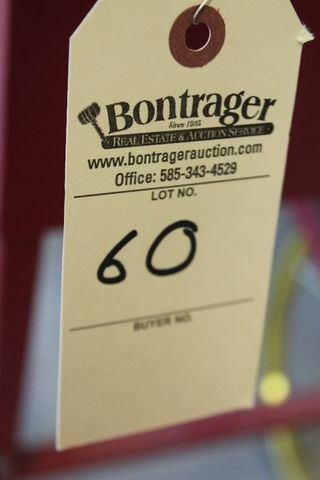 Location in Alexander, NY will be disclosed to the winning bidders at the time of checkout. 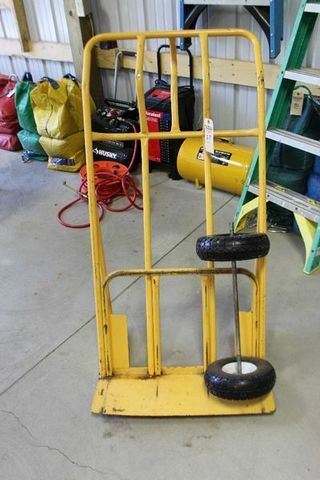 This is the only pick up day. 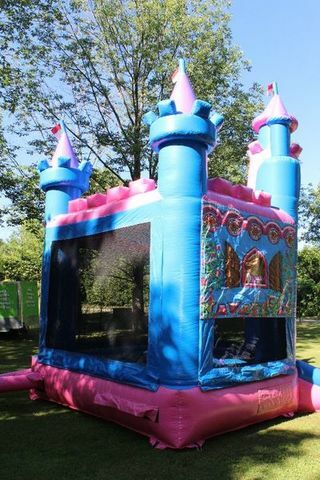 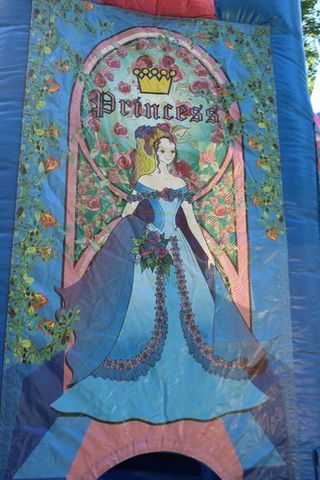 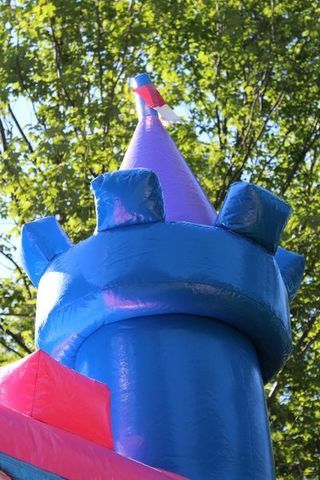 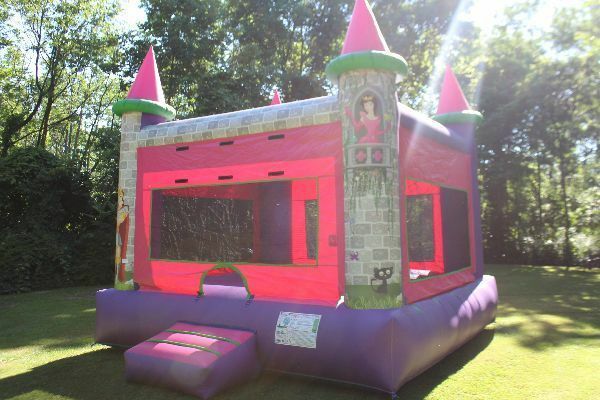 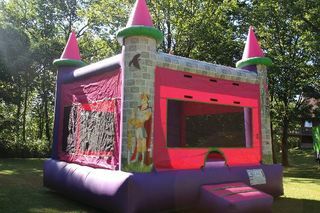 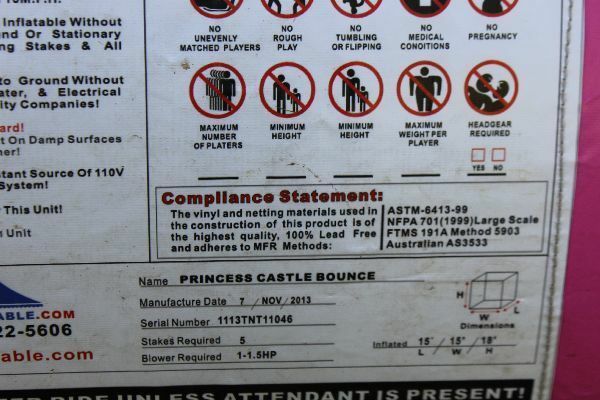 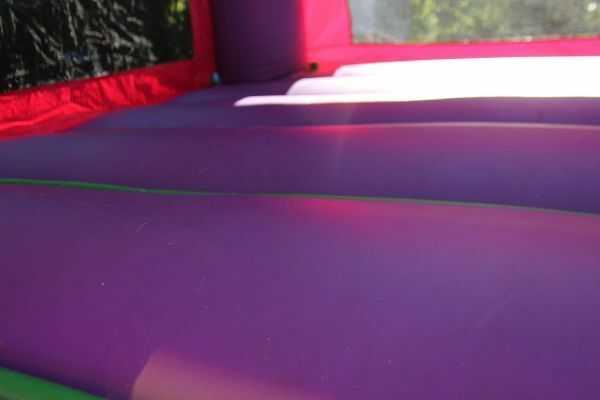 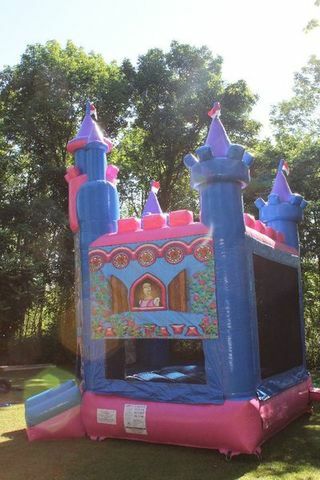 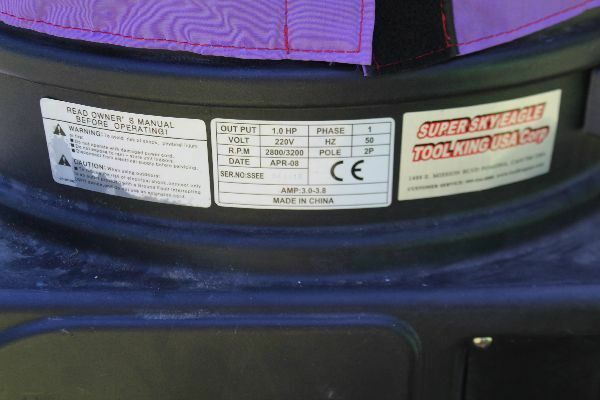 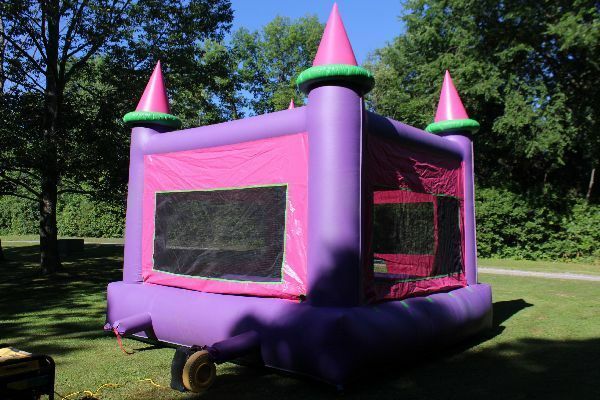 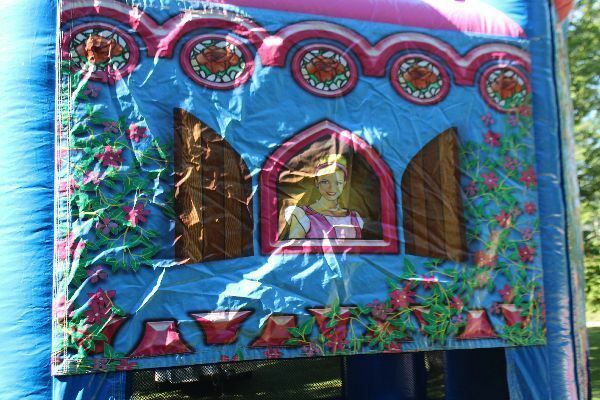 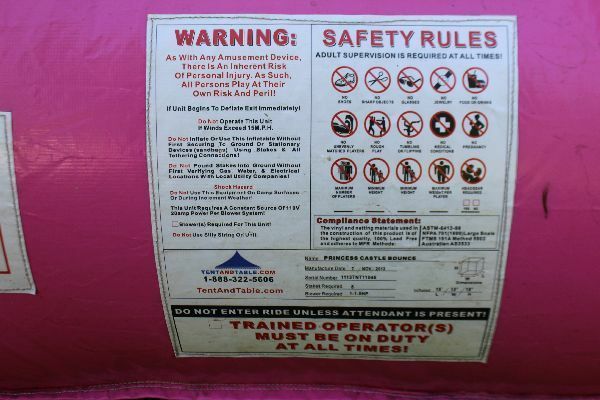 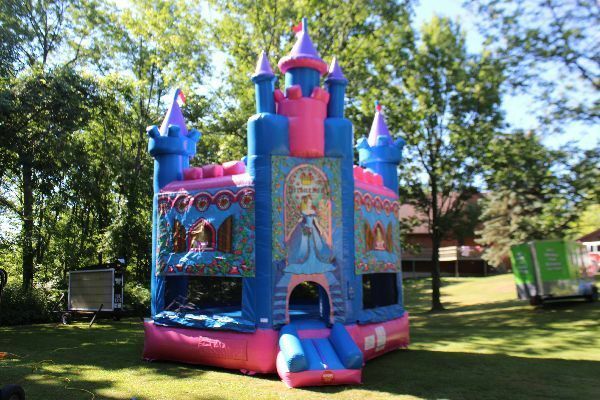 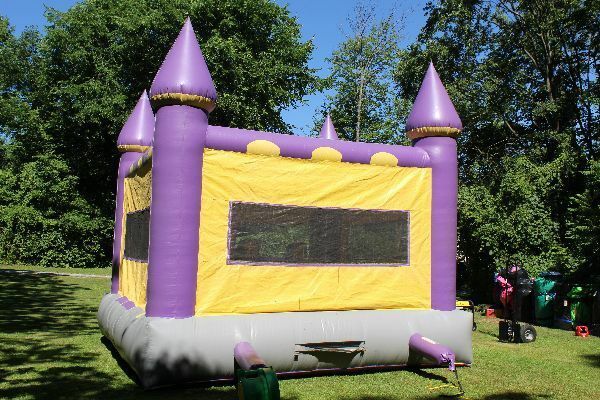 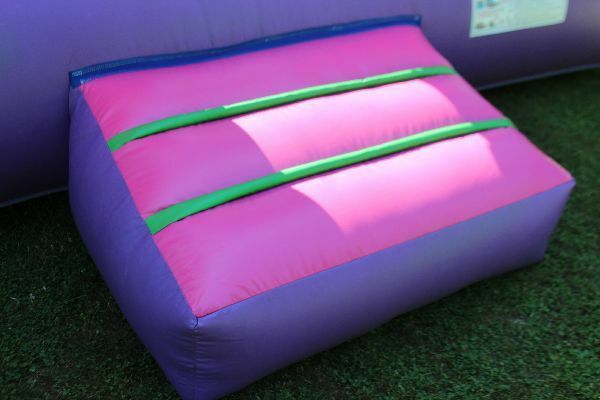 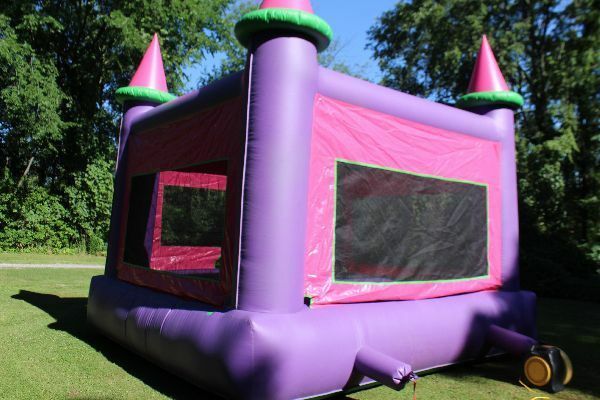 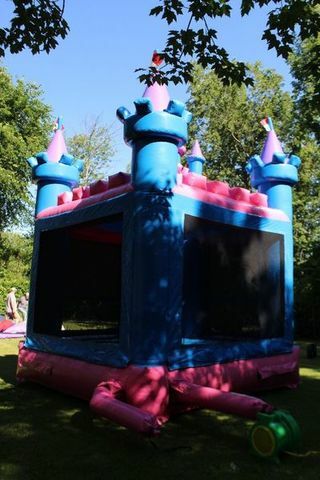 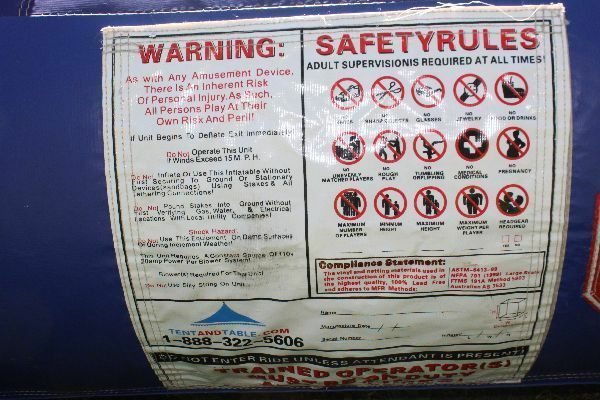 5 1 PINK + BLUE PRINCESS CASTLE BOUNCE HOUSE, 14’X14′, 18 FT TALL, IN GOOD WORKING ORDER AND WITH GOOD COLORS. 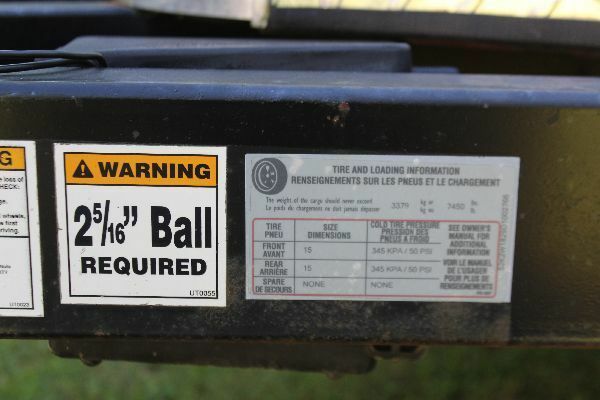 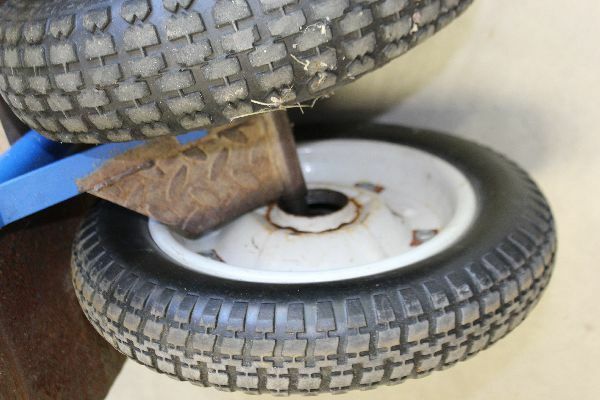 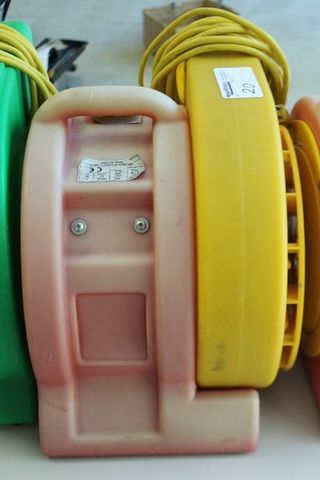 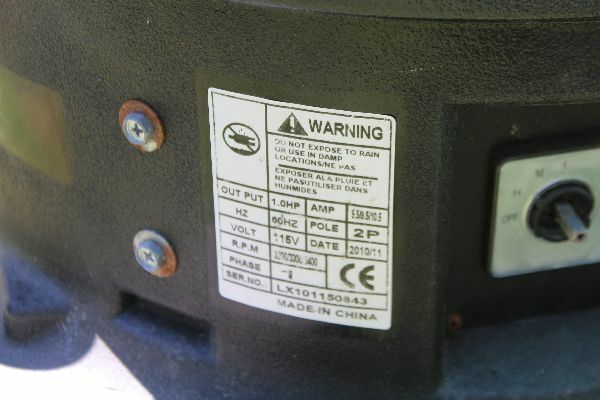 *SMALL HOLE ON TOP, DOES NOT AFFECT OPERATION. 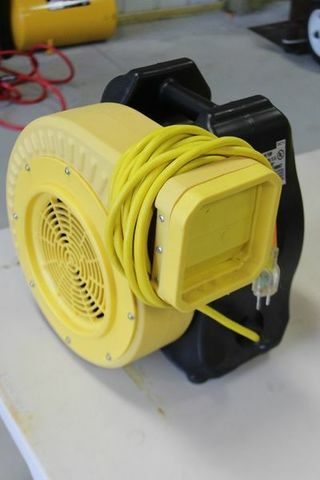 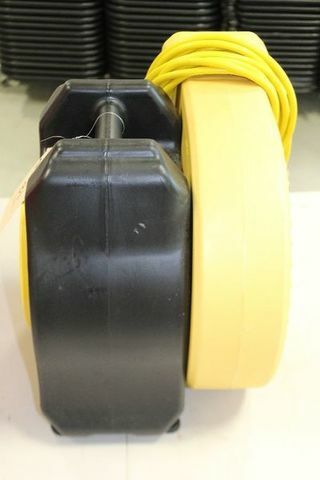 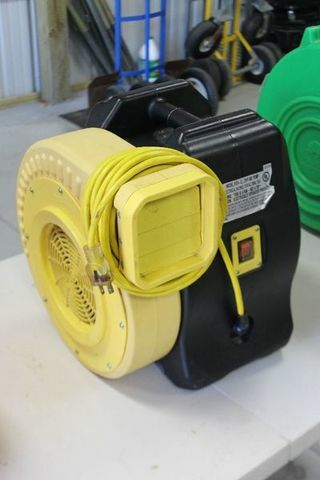 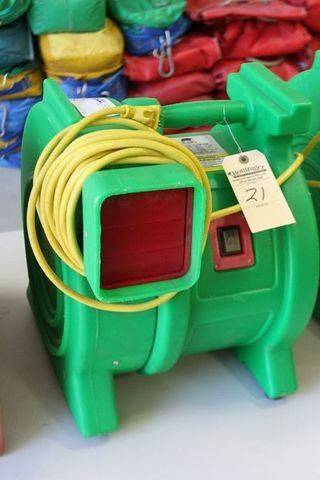 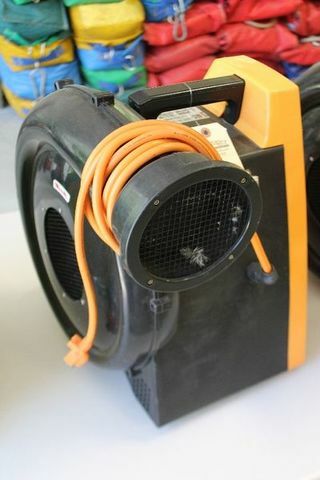 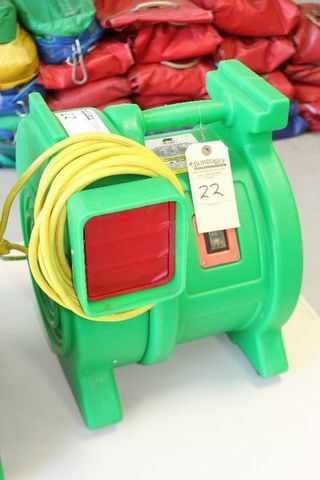 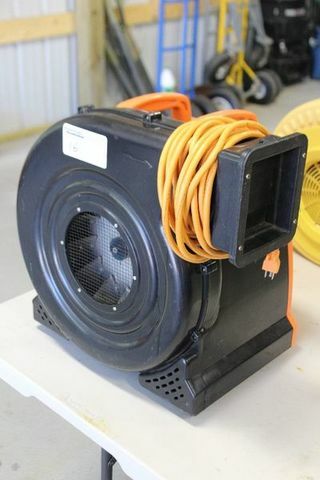 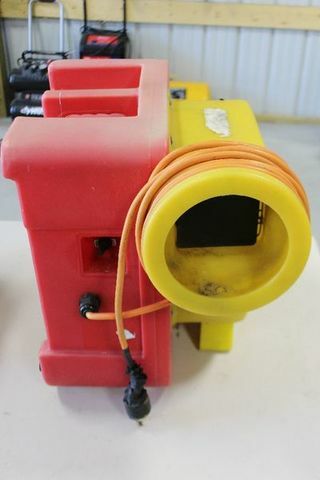 (NEEDS 1 HP BLOWER, NOT INCLUDED). 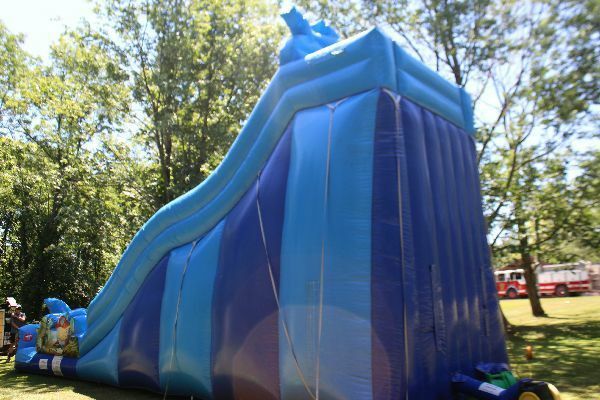 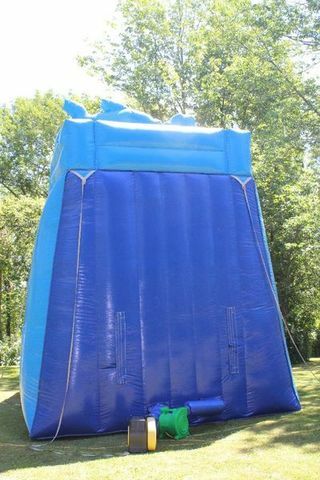 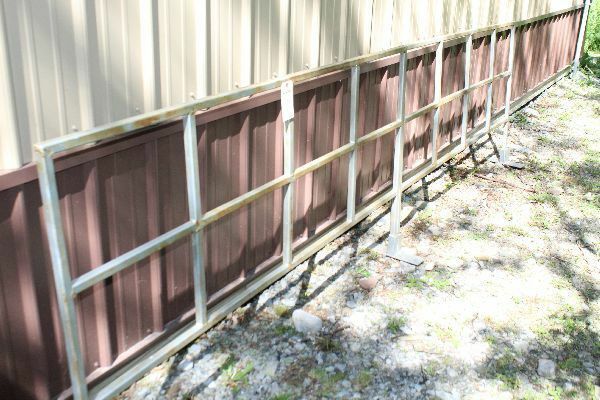 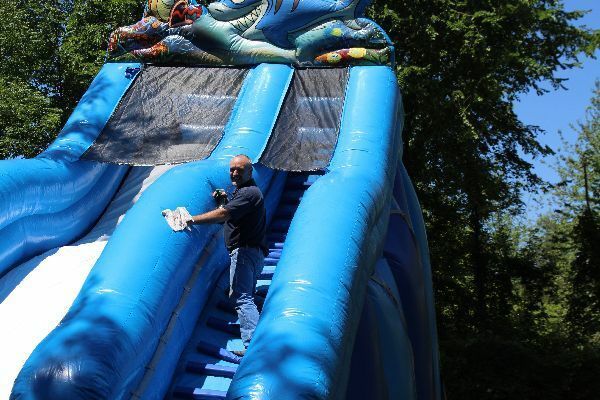 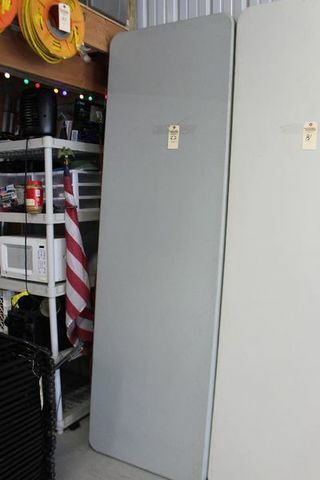 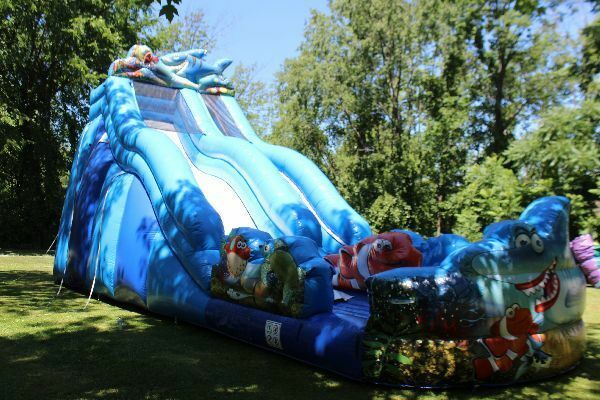 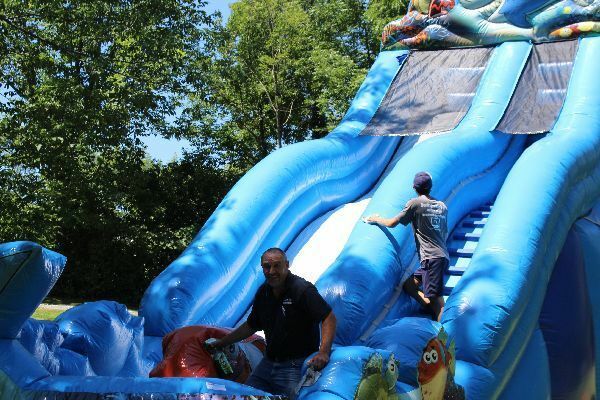 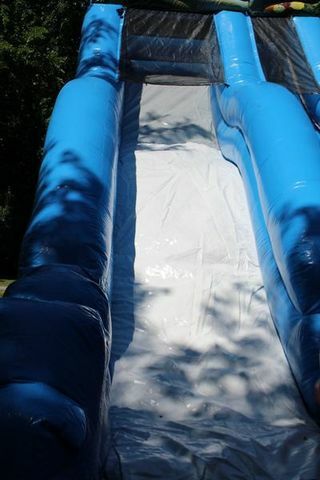 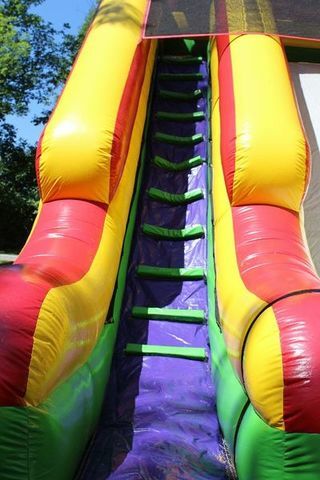 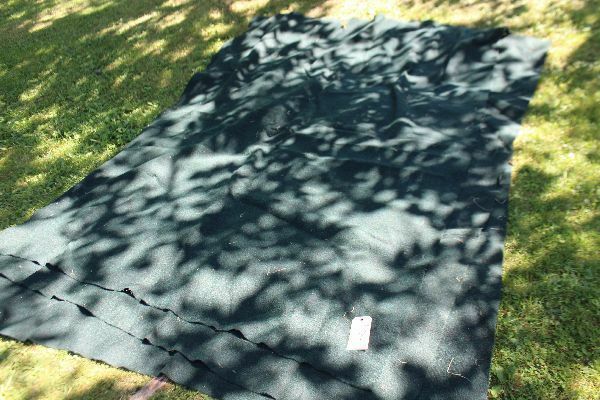 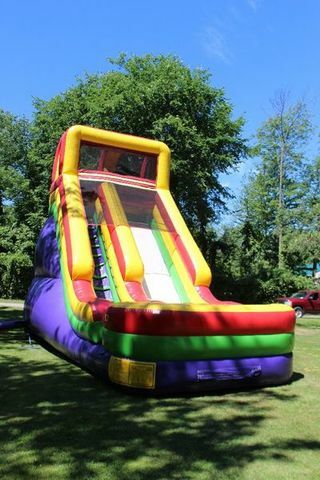 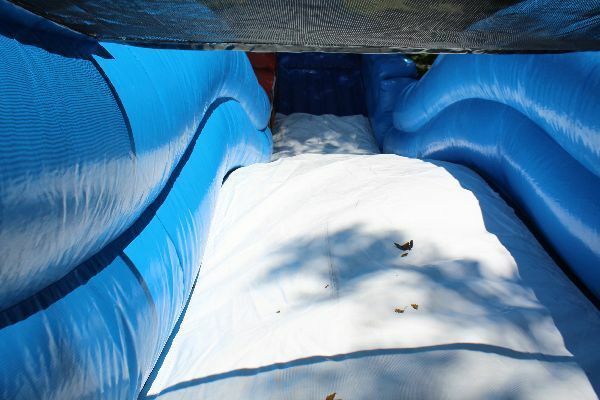 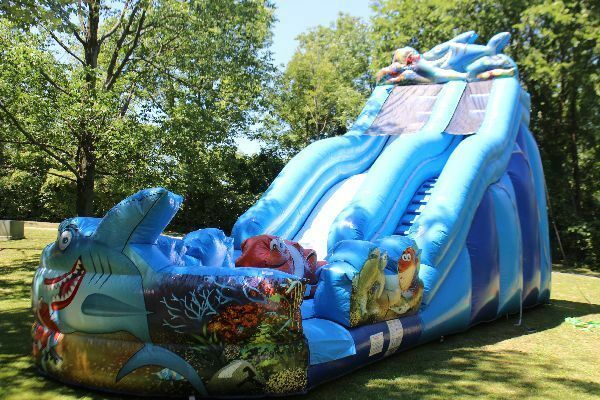 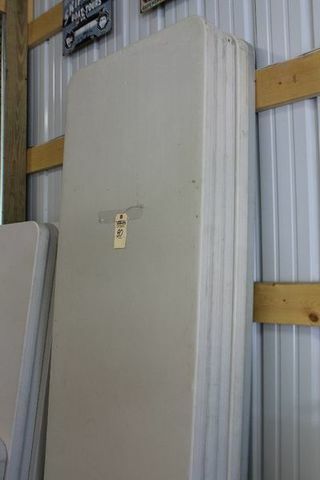 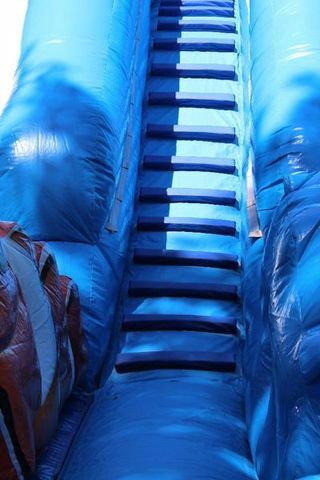 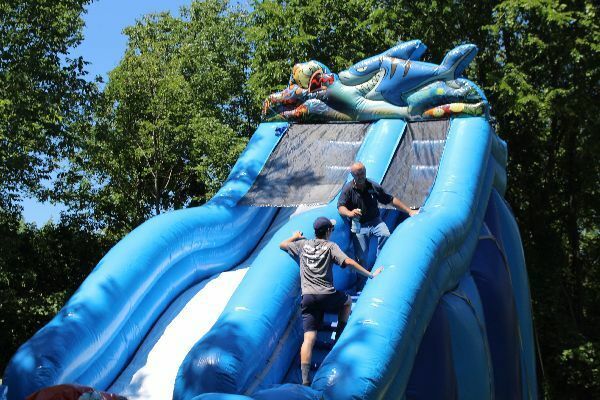 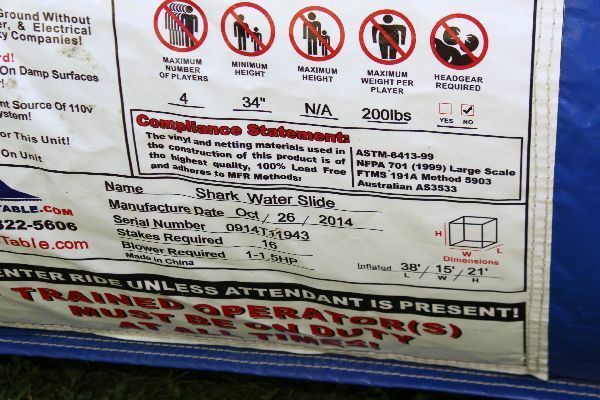 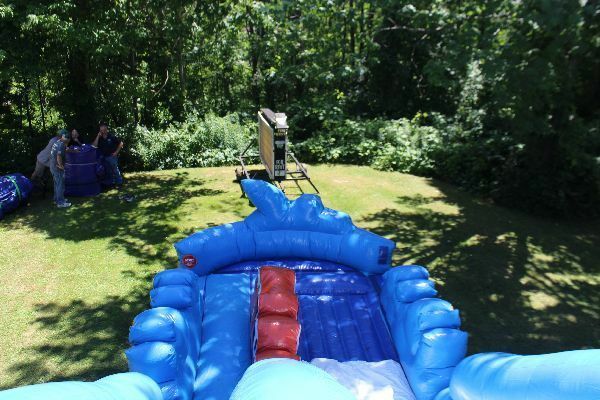 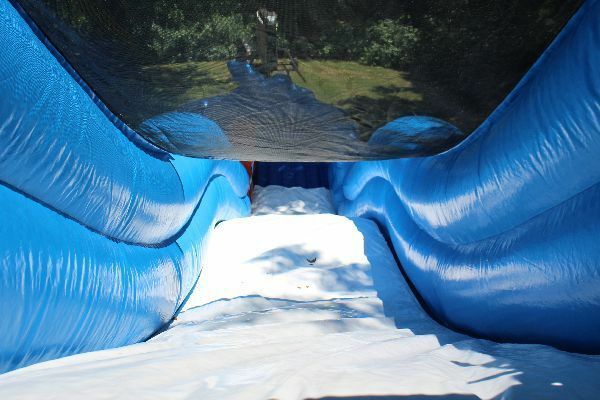 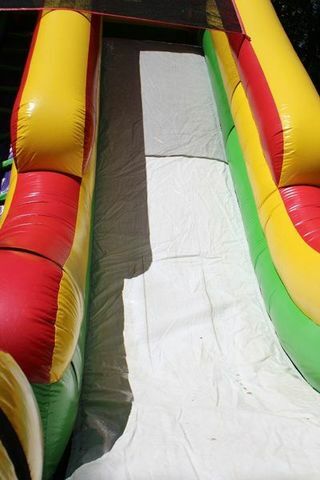 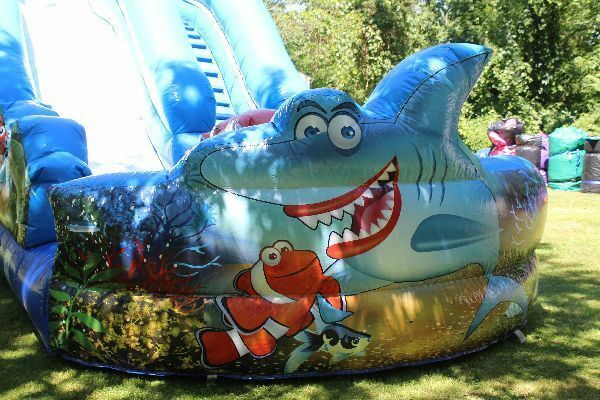 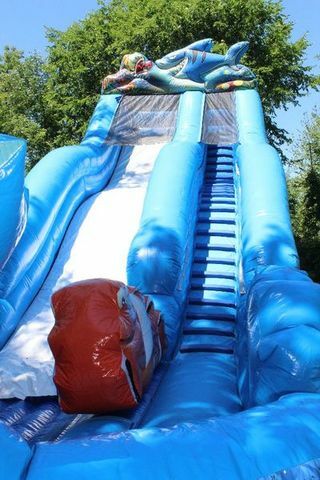 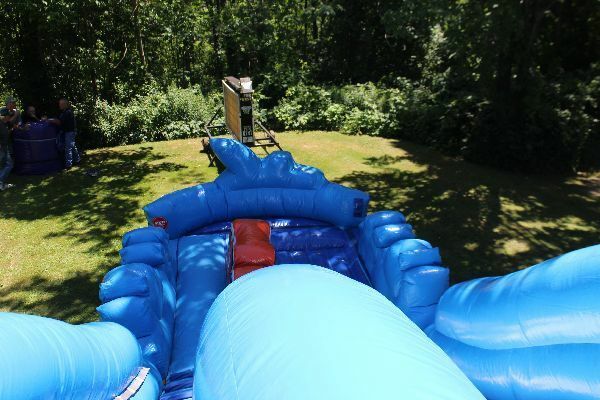 15 1 SHARK THEME WET/ DRY SLIDE, 16’X40′, 23′ TALL, IN GOOD WORKING ORDER AND WITH GOOD COLORS. 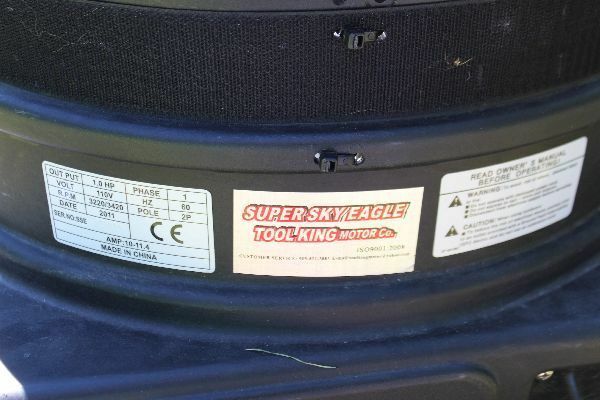 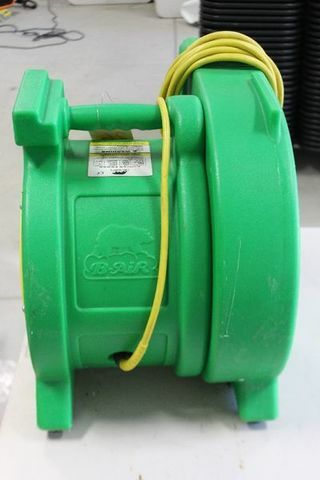 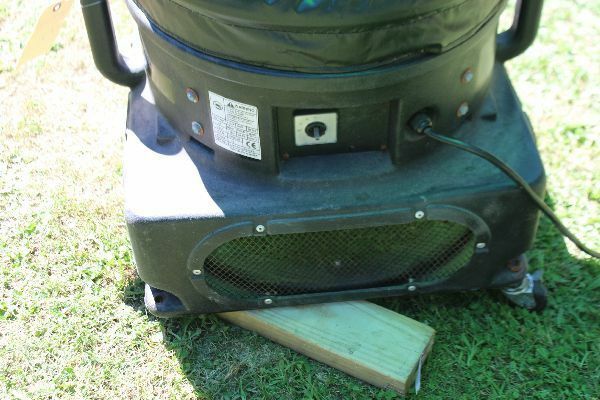 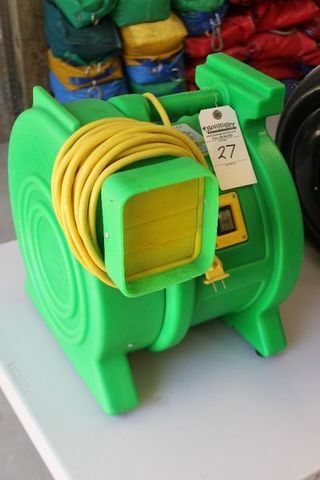 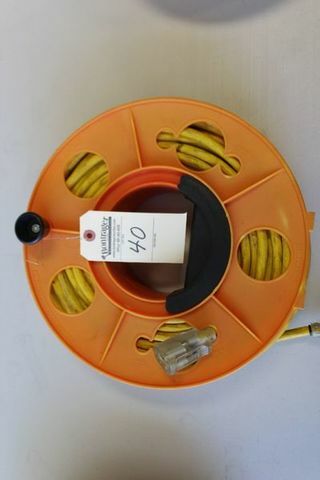 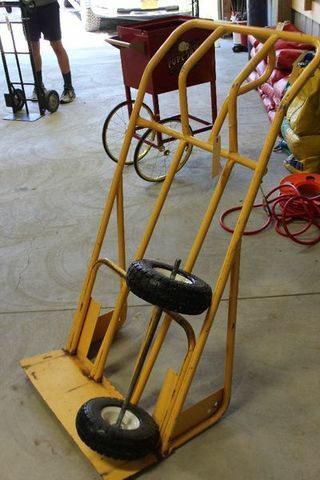 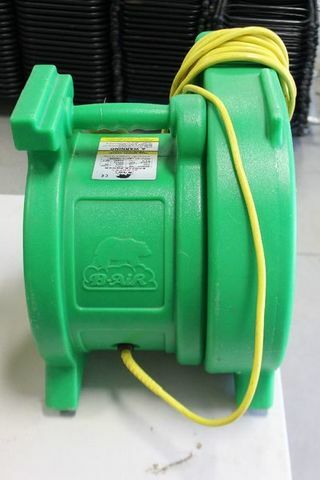 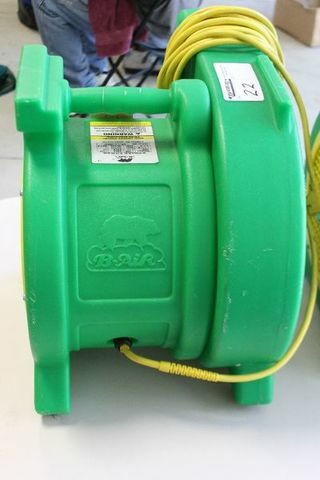 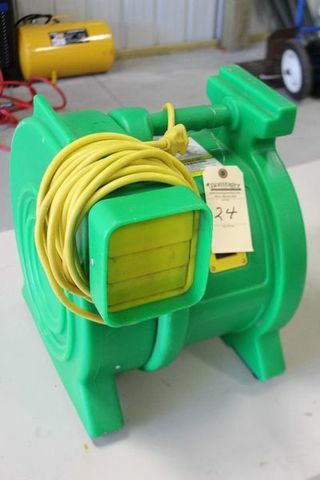 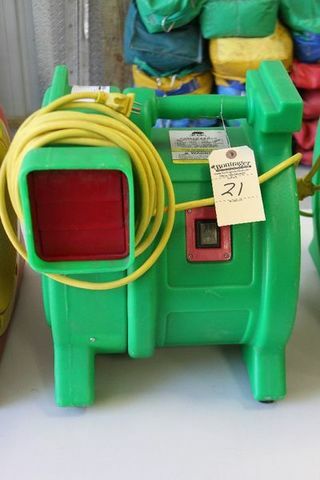 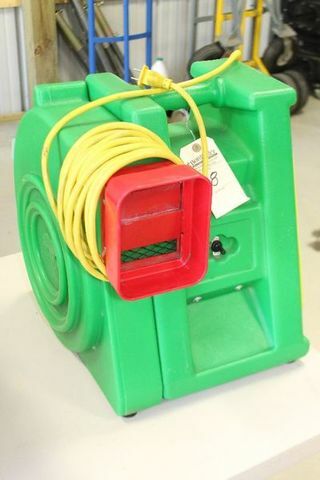 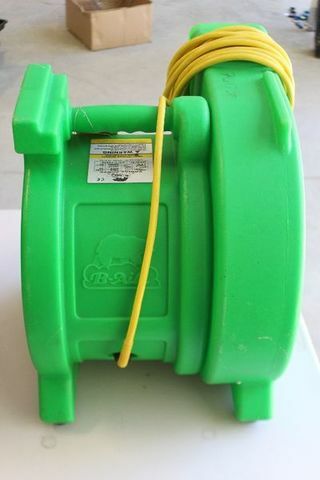 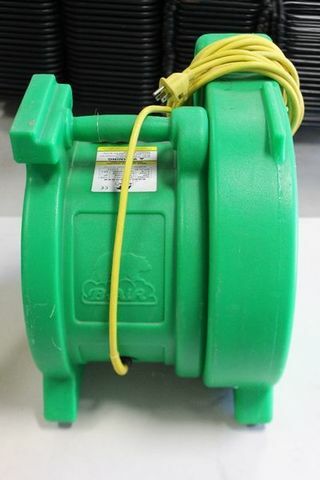 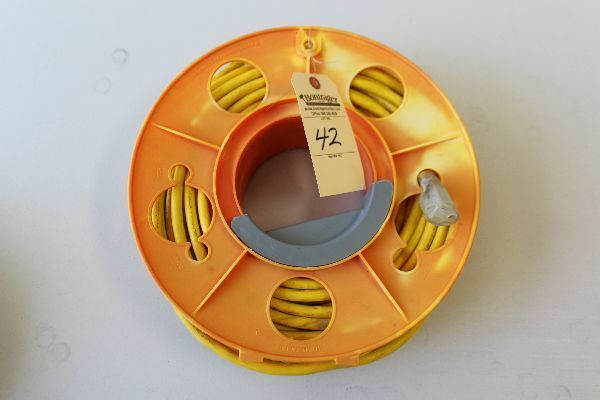 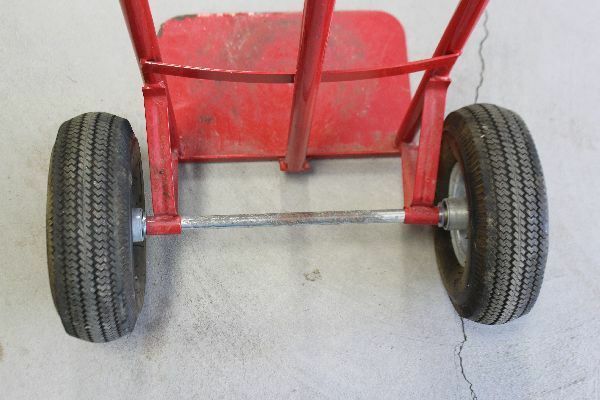 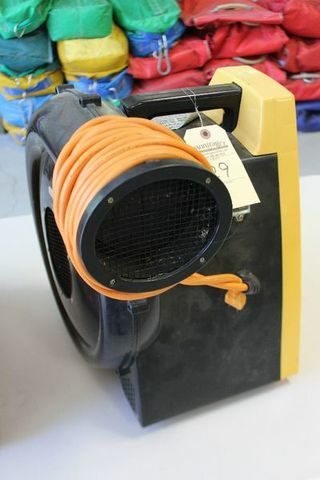 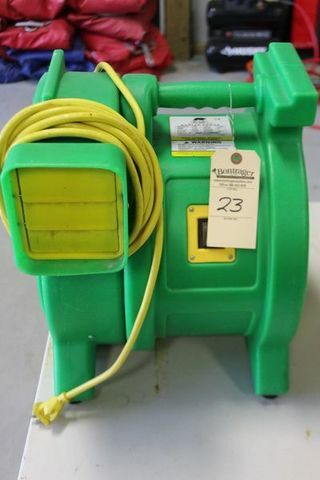 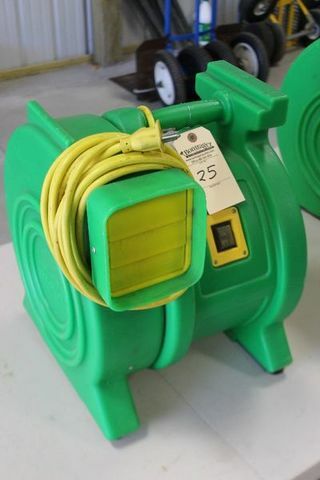 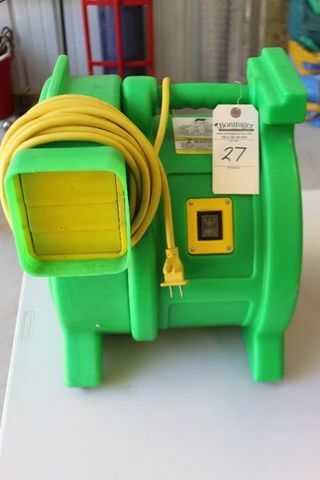 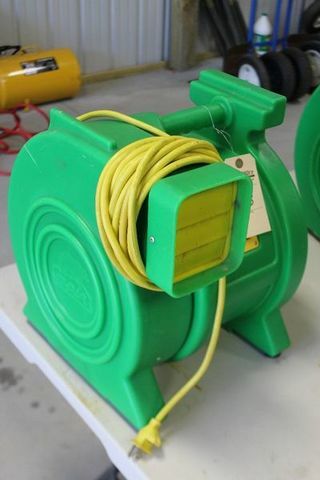 (NEEDS 2 HP BLOWER, NOT INCLUDED.) 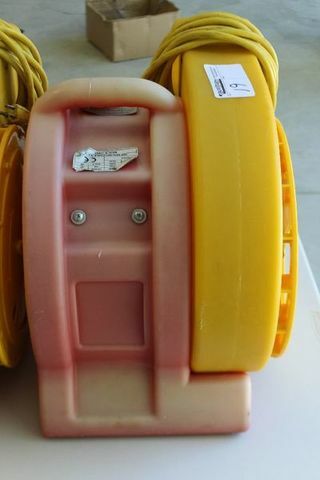 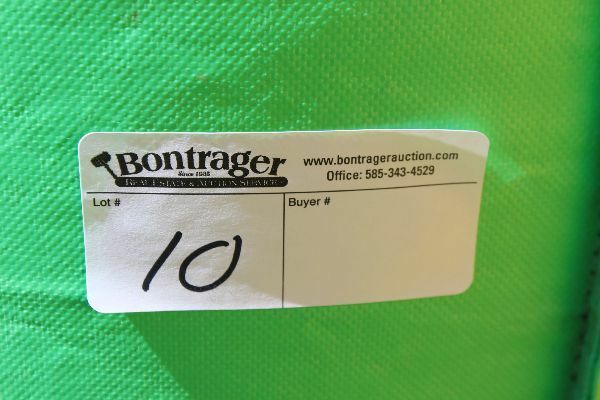 THIS ITEM ONLY USED 1 1/2 SEASONS. 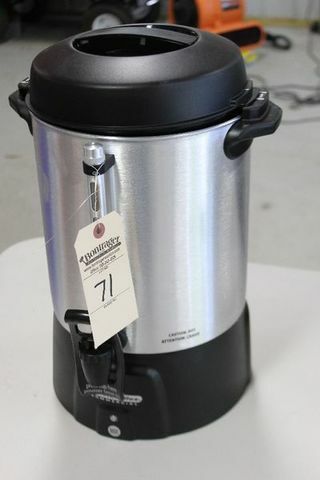 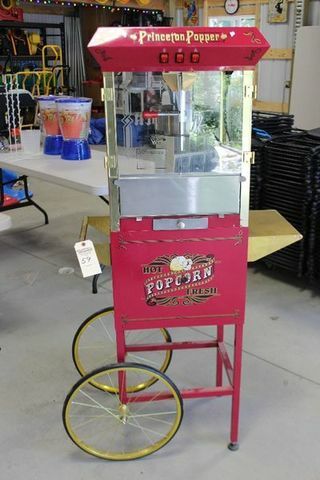 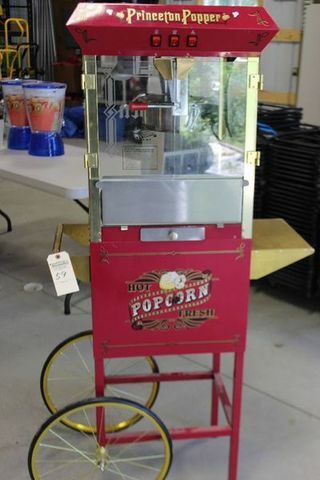 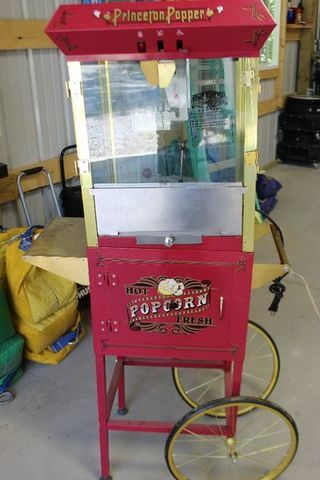 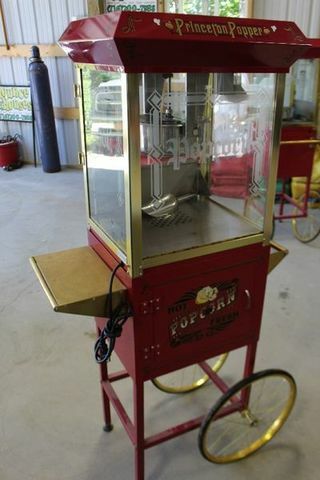 59 1 HOT POPCORN MAKER W/ CART, 110V. 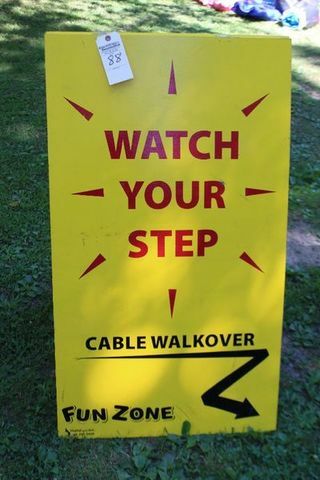 IN GOOD WORKING ORDER. 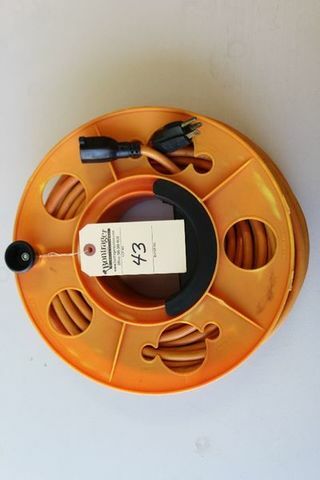 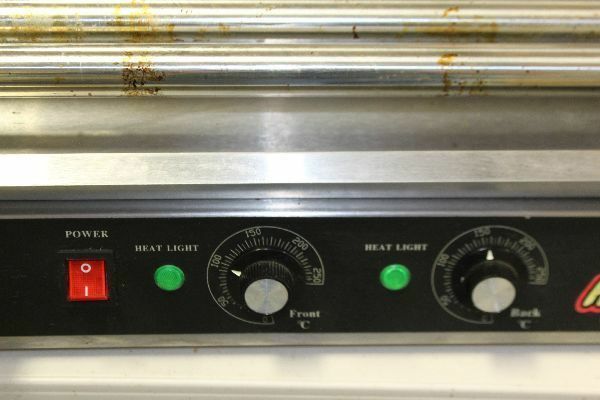 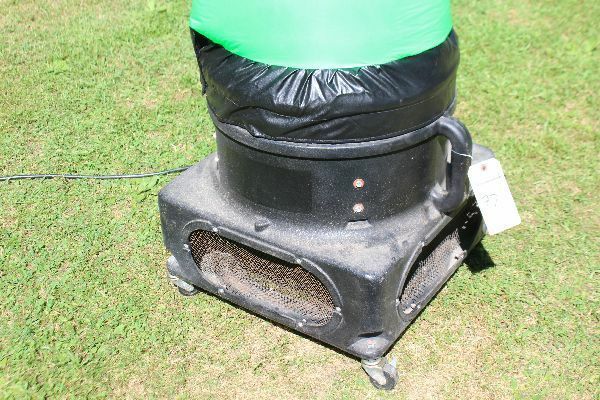 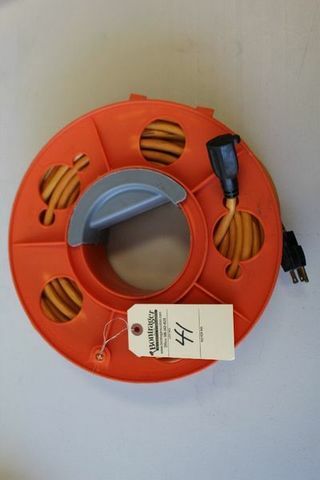 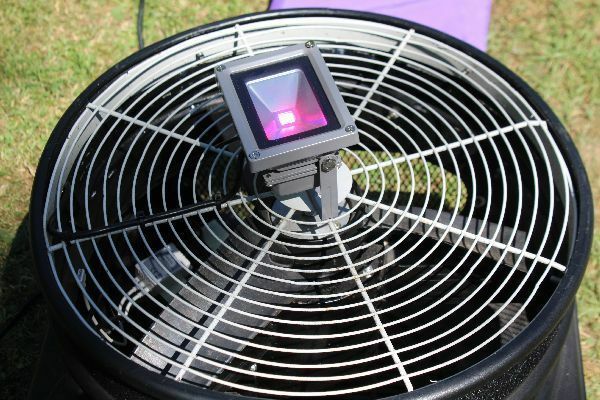 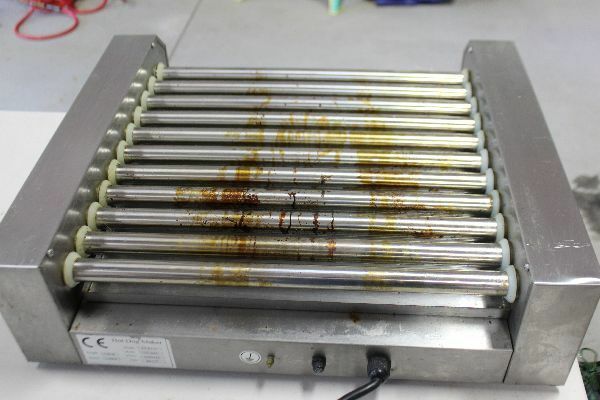 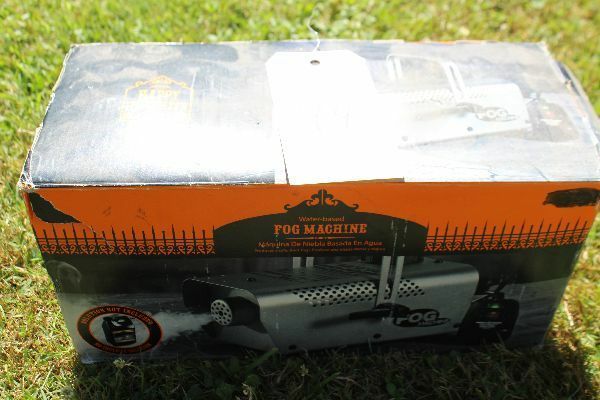 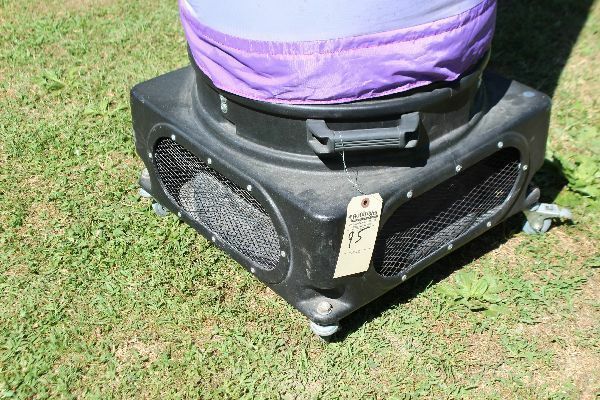 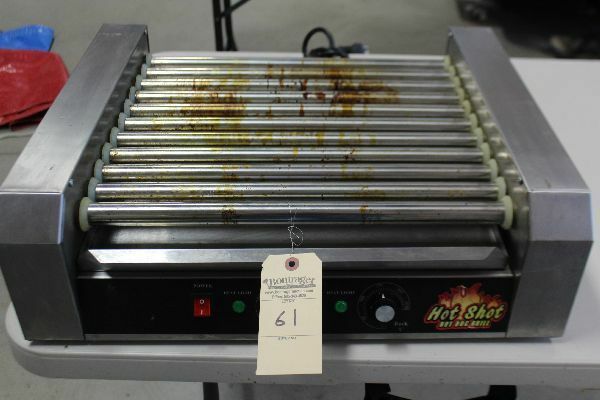 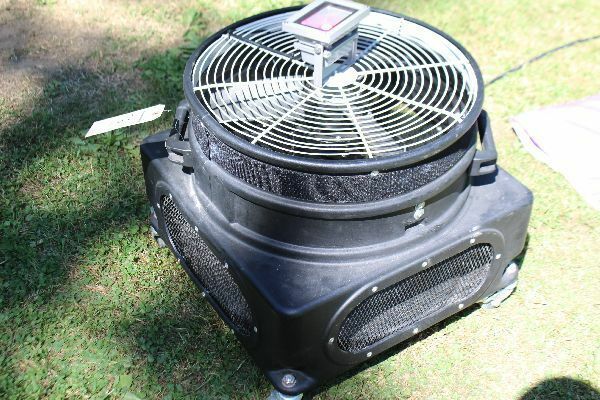 61 1 HOT SHOT HOT DOG GRILL 110V, 2 HEAT CONTROLS. 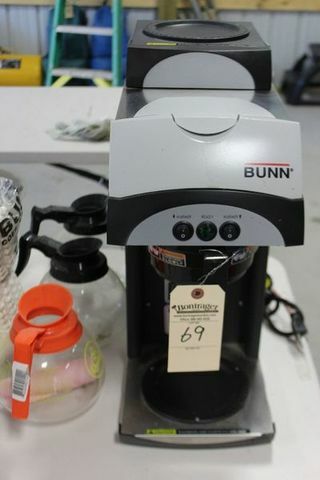 IN GOOD WORKING ORDER. 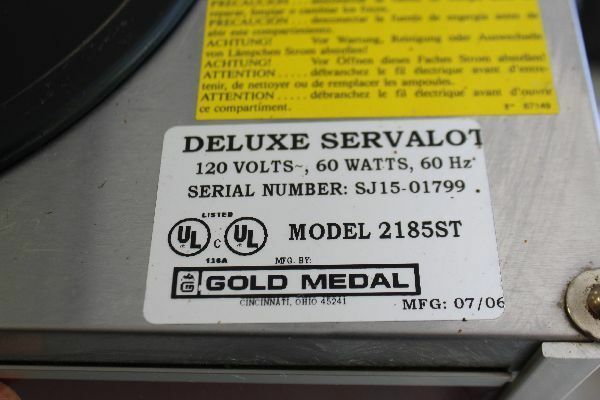 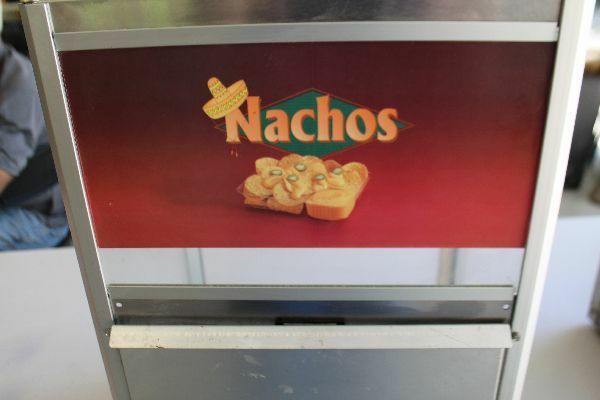 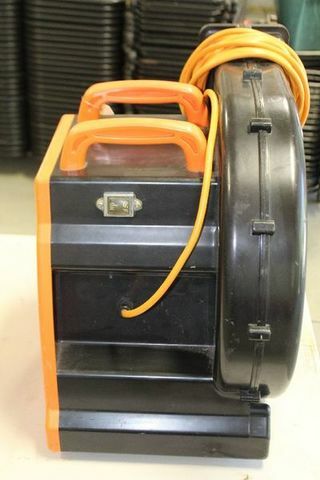 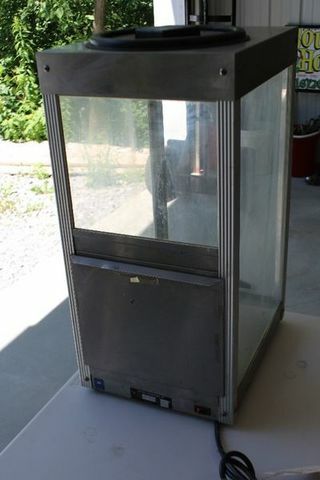 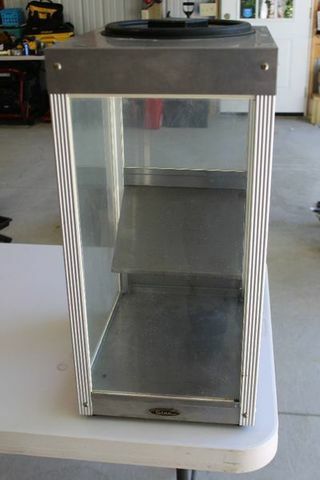 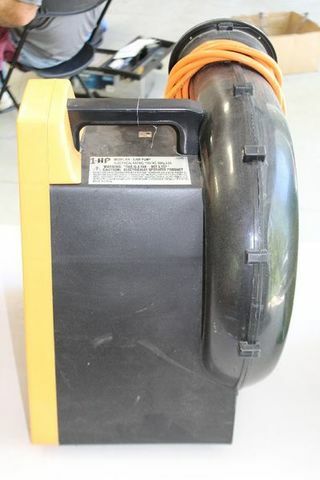 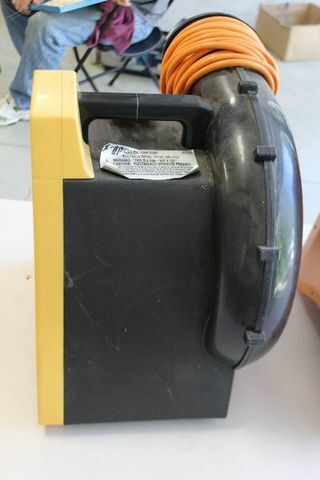 62 1 DELUXE SERVE-A-LOT NACHOS DISPENSER, 120V, MODEL2185ST, IN GOOD WORKING ORDER. 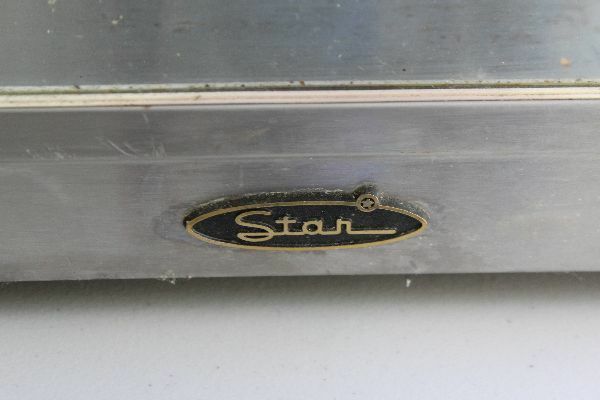 63 1 STAR NACHO SERVER 120V, IN GOOD WORKING ORDER. 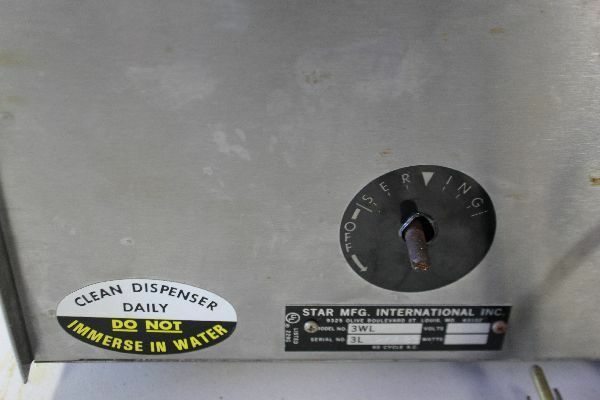 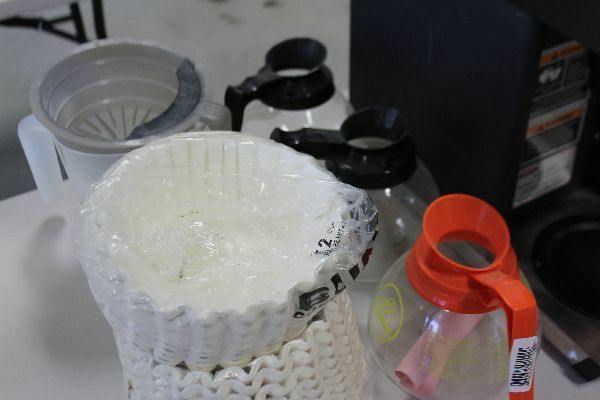 64 1 STAR 1 GAL. 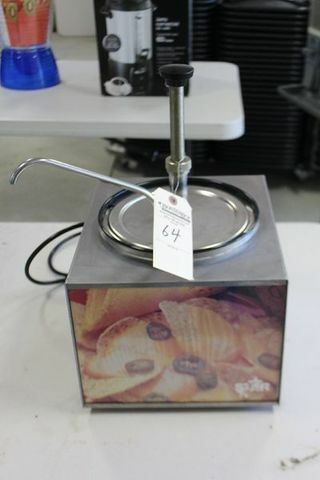 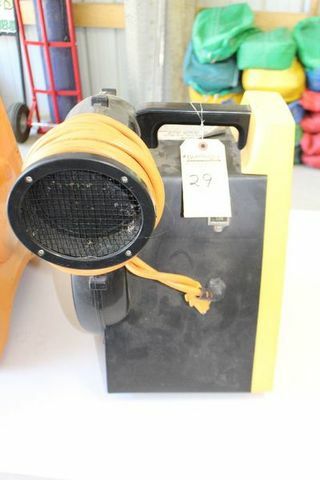 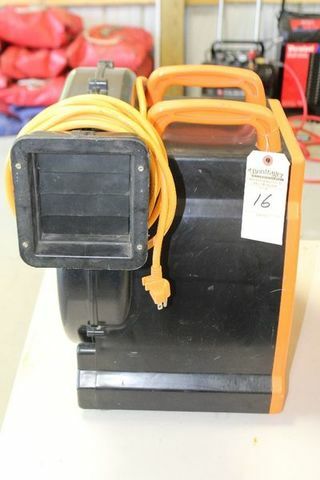 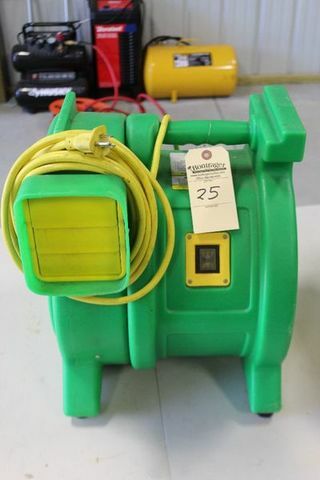 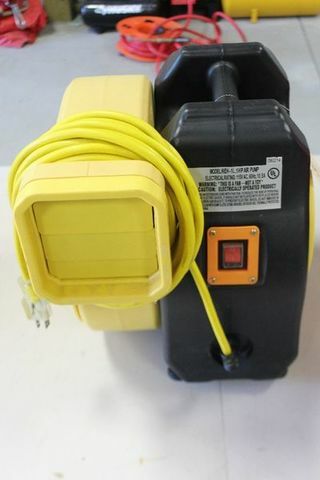 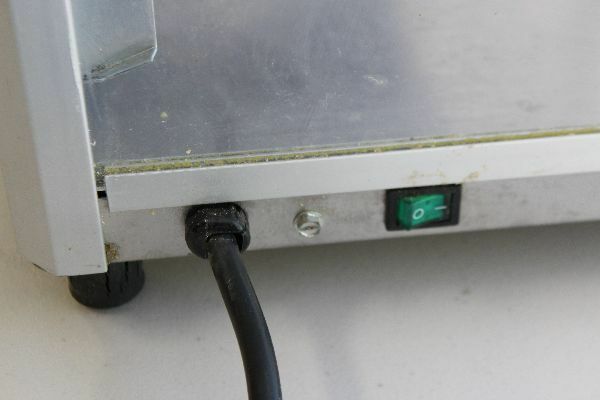 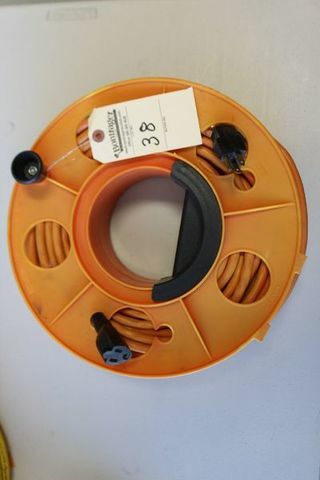 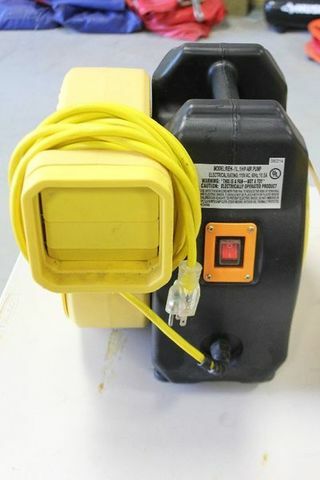 NACHO CHEESE WARMER 120V, IN GOOD WORKING ORDER. 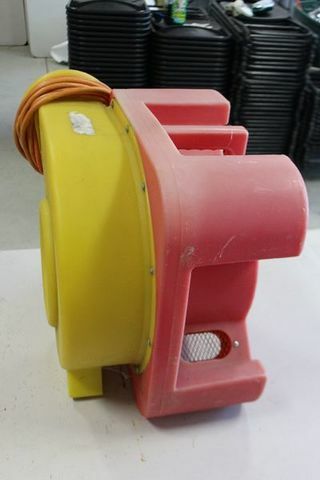 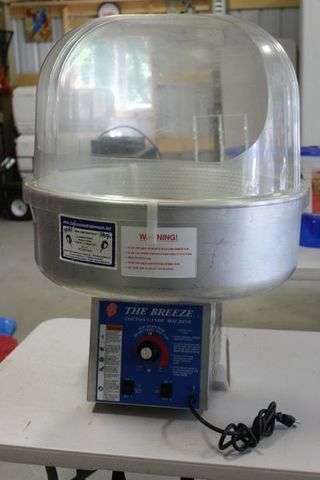 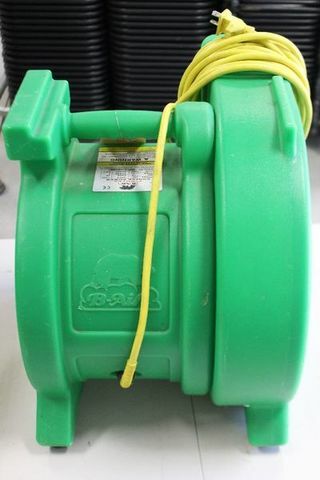 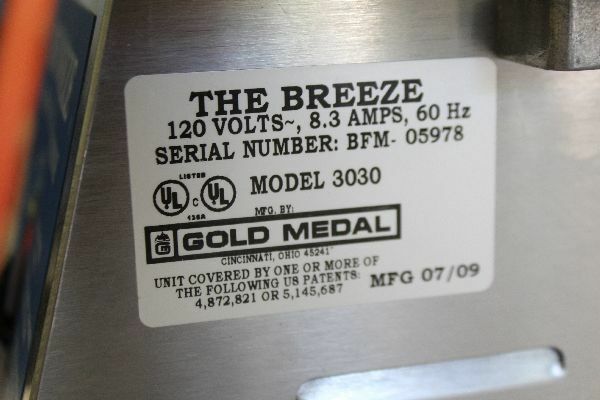 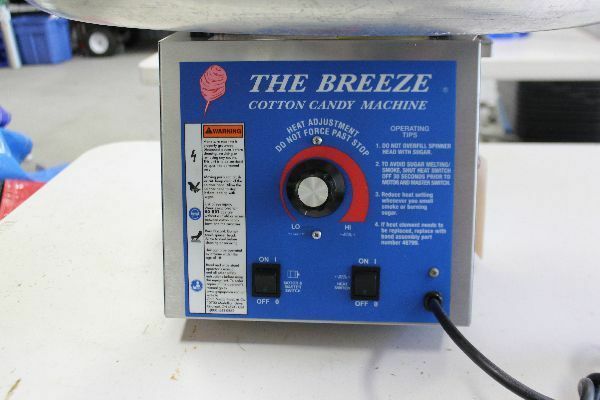 65 1 COTTON CANDY MACHINE W/ BUBBLE BREEZE, IN GOOD WORKING ORDER. 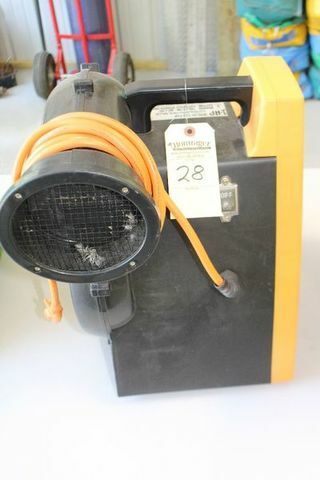 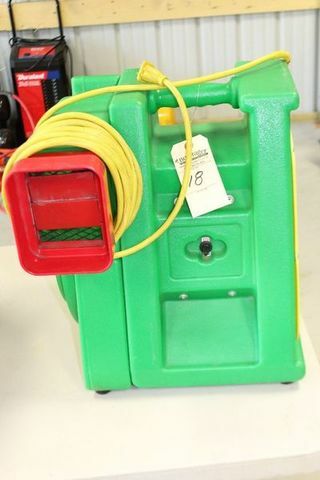 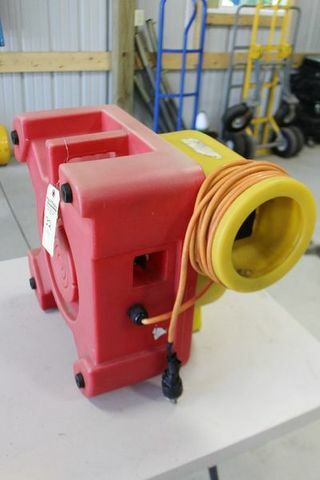 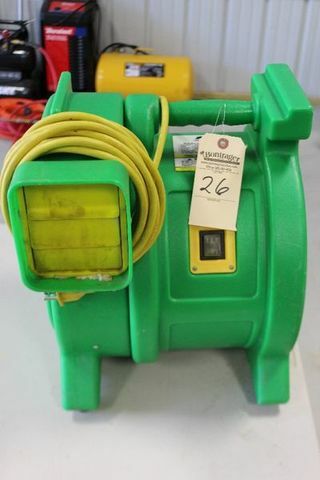 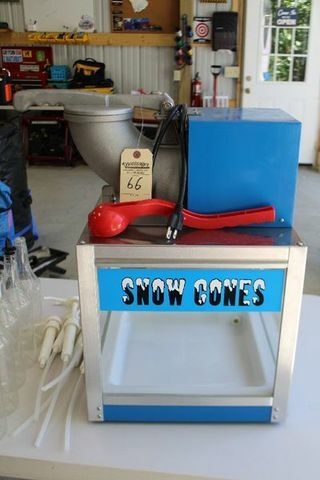 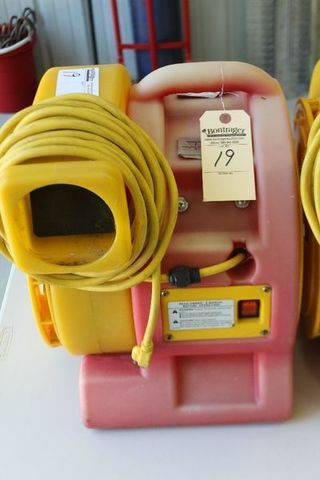 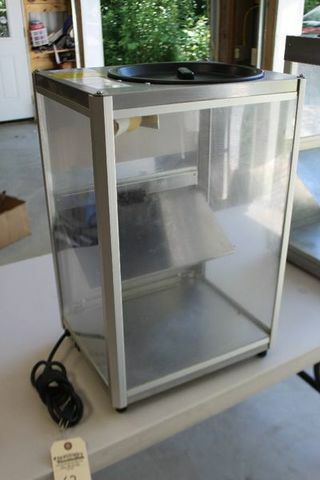 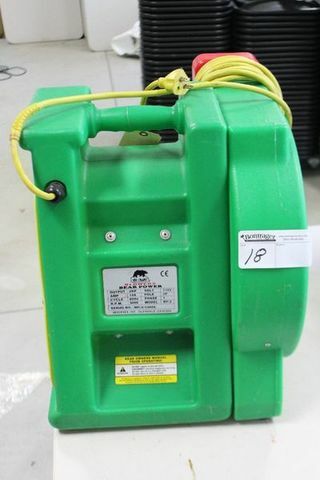 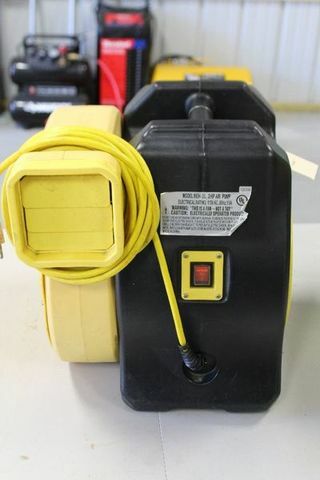 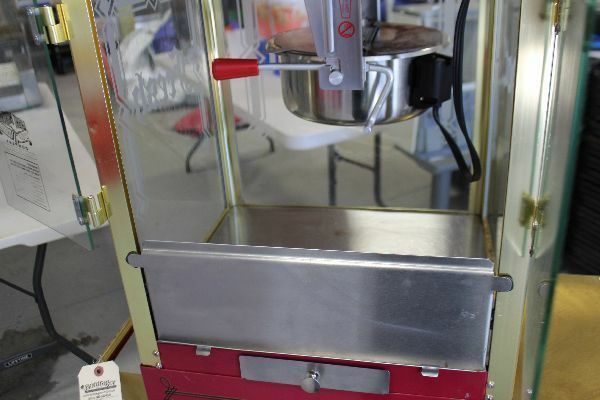 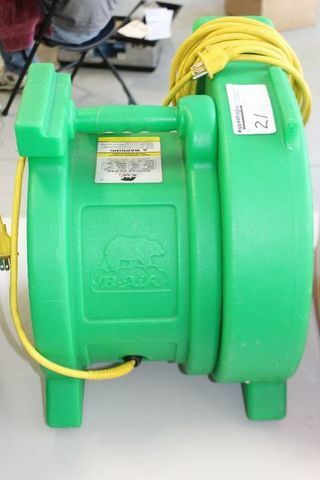 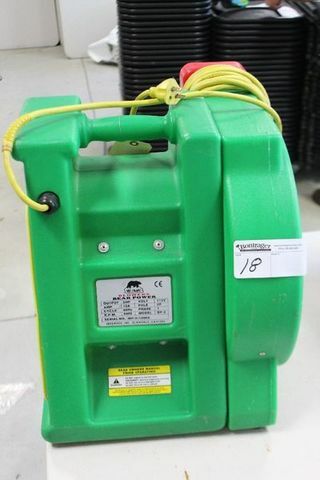 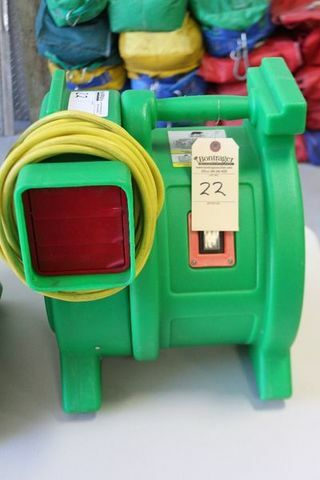 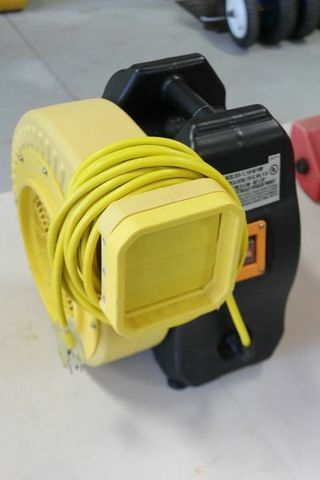 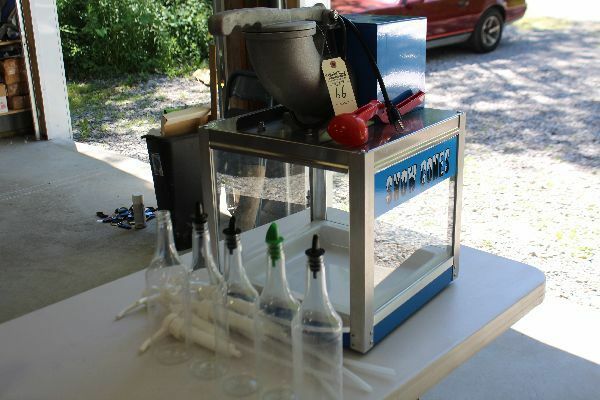 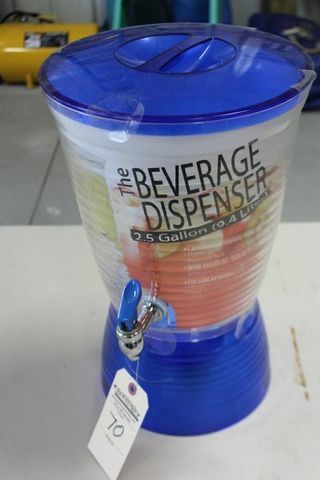 66 1 BENCHMARK COMMERCIAL SNOW CONE MACHINE 120V, W/ DISPENSER. 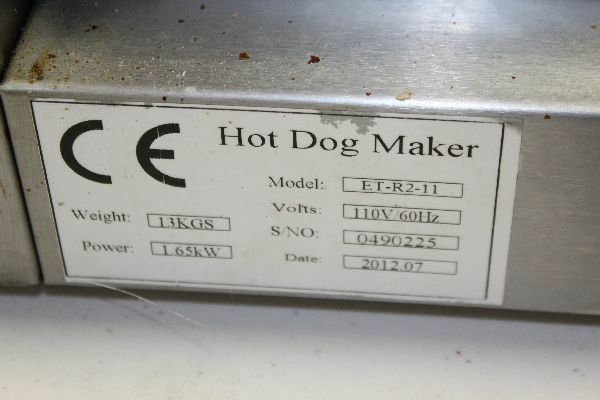 IN GOOD WORKING ORDER. 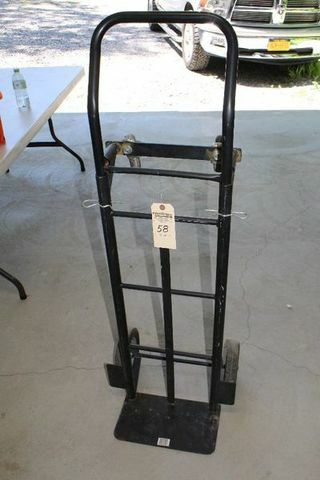 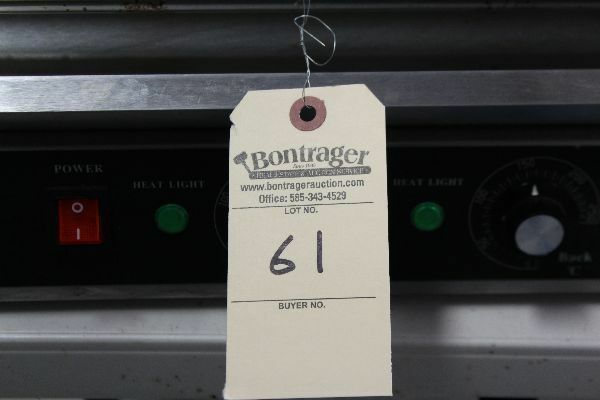 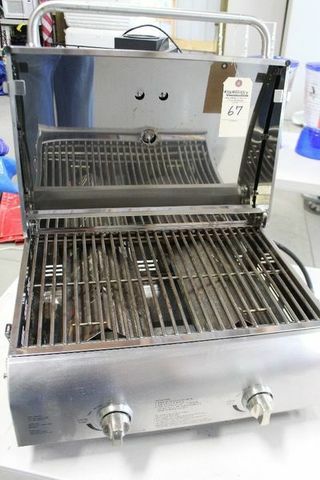 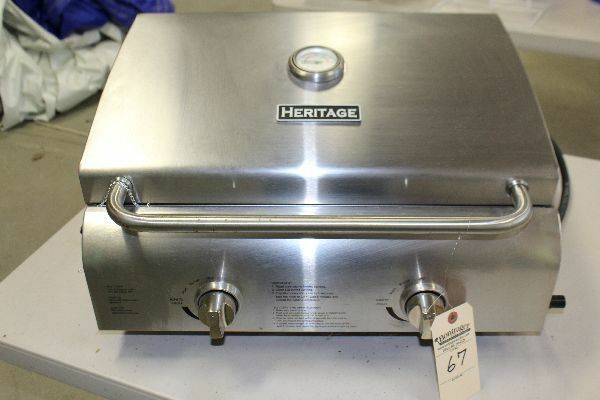 67 1 HERITAGE PROPANE GRILL STAINLESS STEEL TABLE TOP, IN GOOD WORKING ORDER. 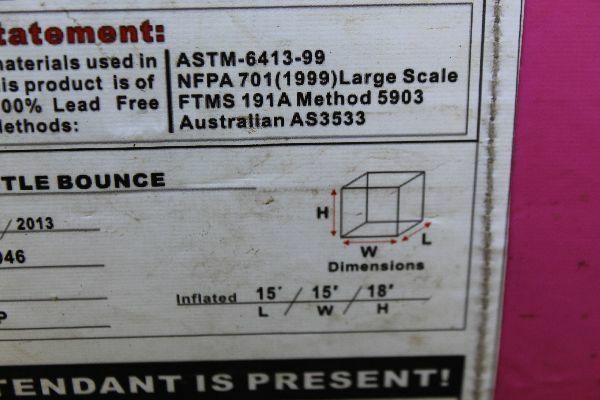 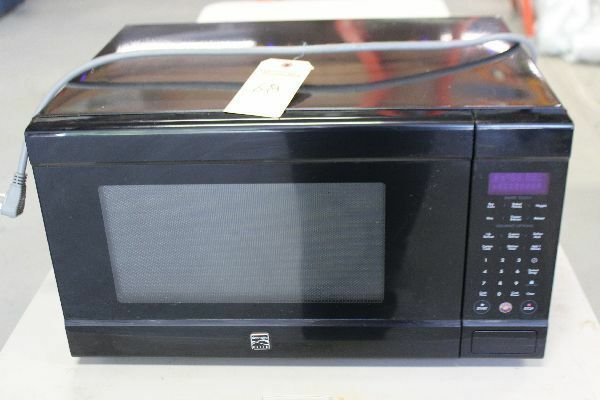 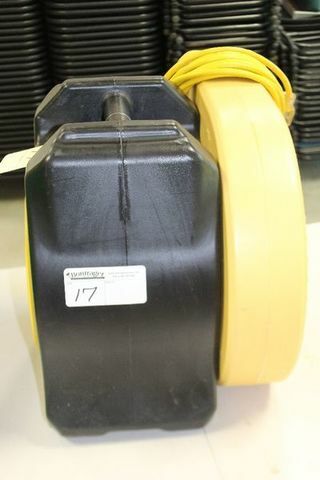 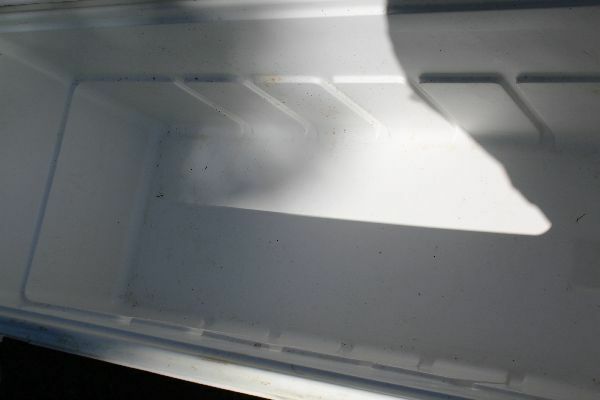 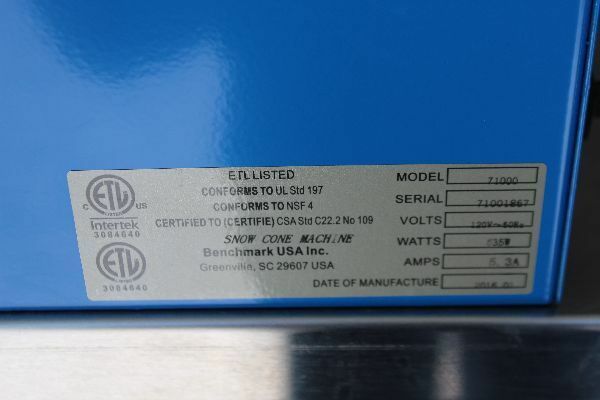 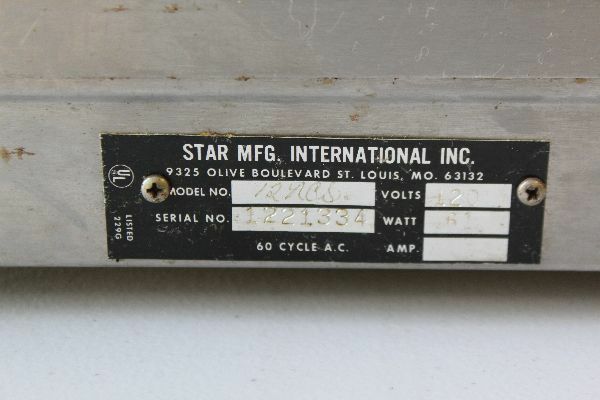 68 1 WORKING MICROWAVE, BLACK IN COLOR, IN GOOD WORKING ORDER. 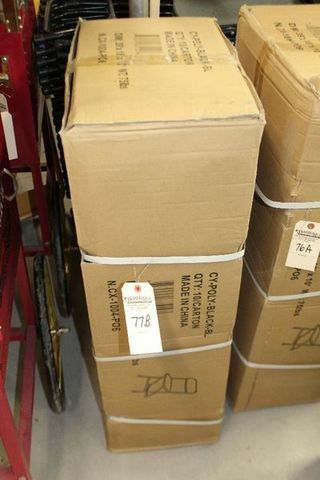 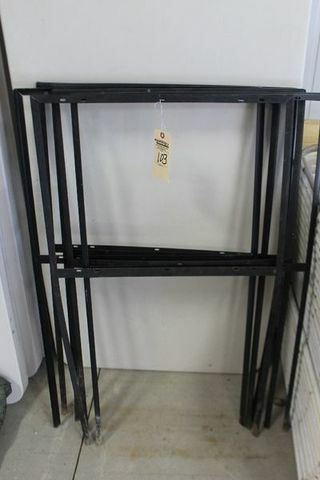 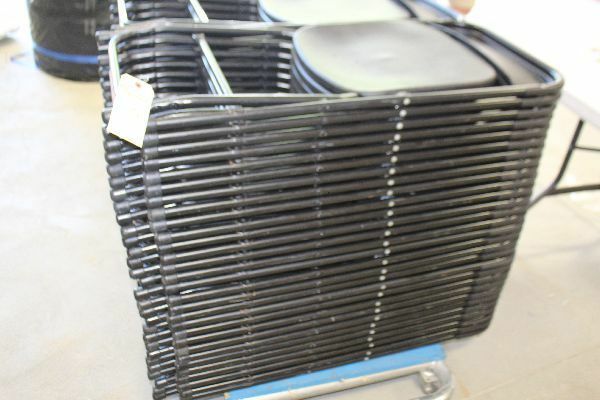 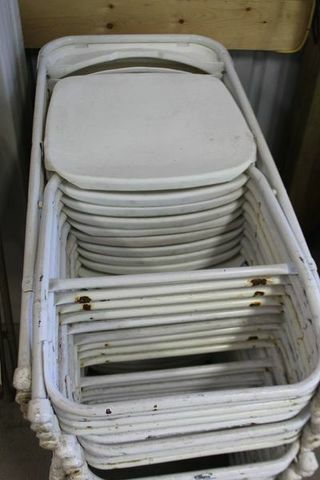 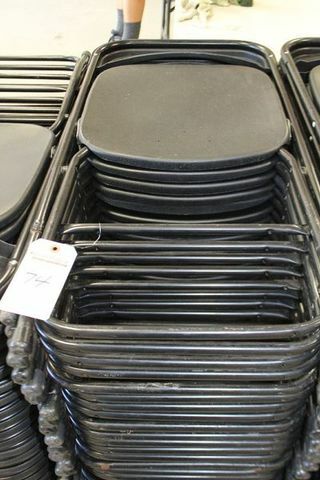 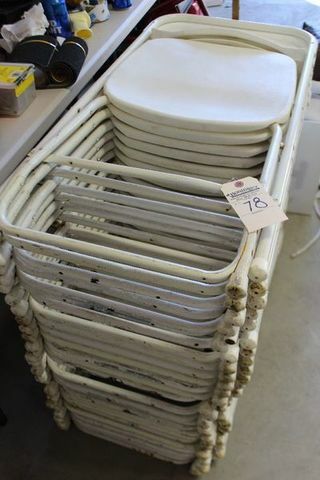 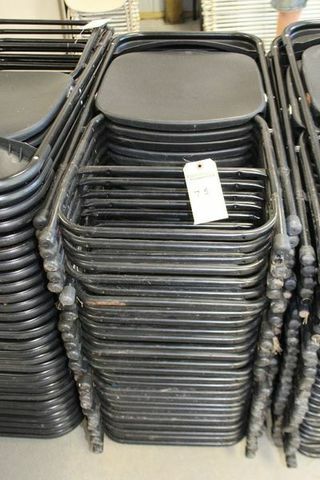 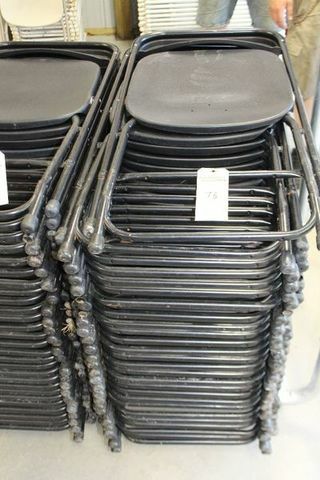 76b 10 10 BLACK FOLDING CHAIRS (IDENTICAL TO 76A) NEW IN BOX. 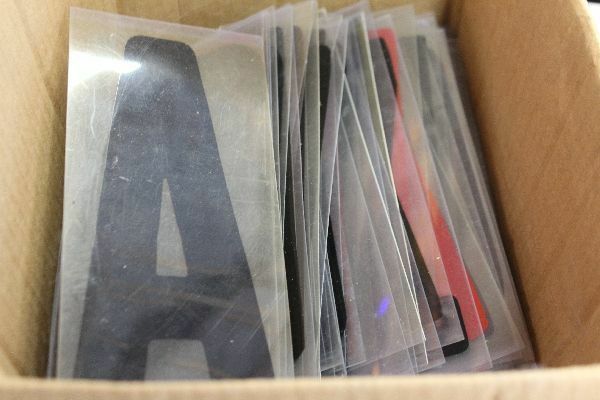 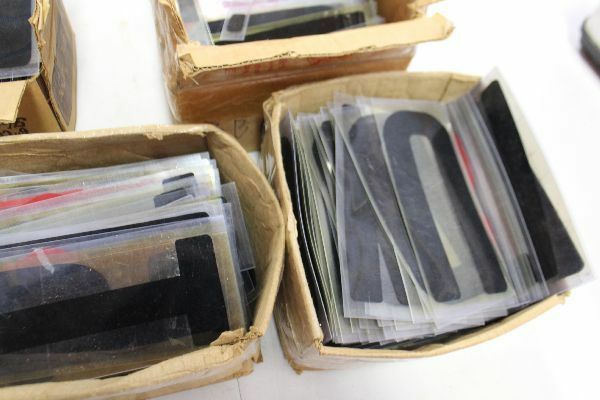 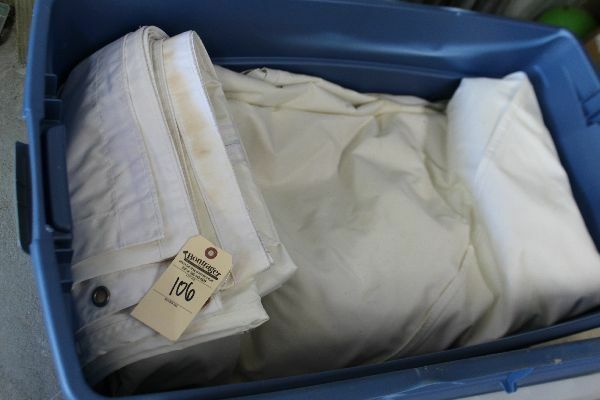 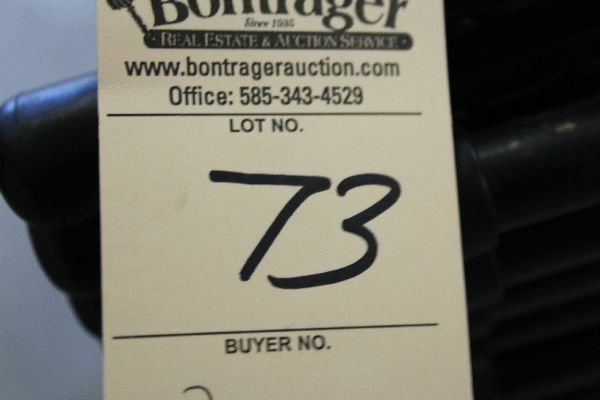 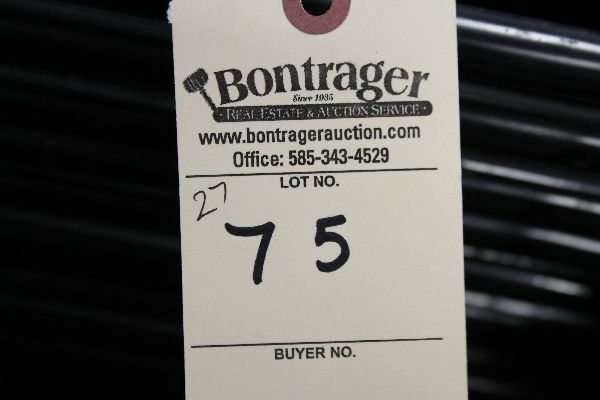 *Note the image is marked 77b, but the lot is 76b. 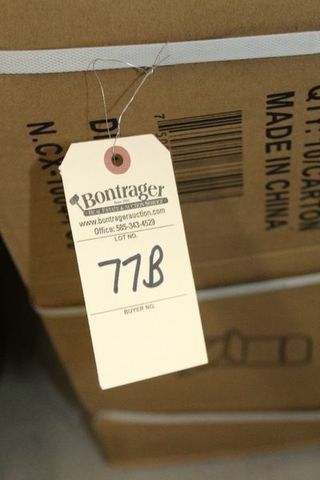 77b does not exit. 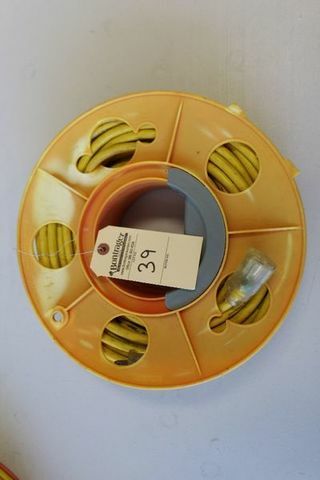 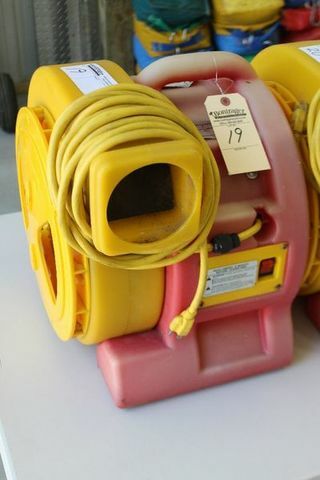 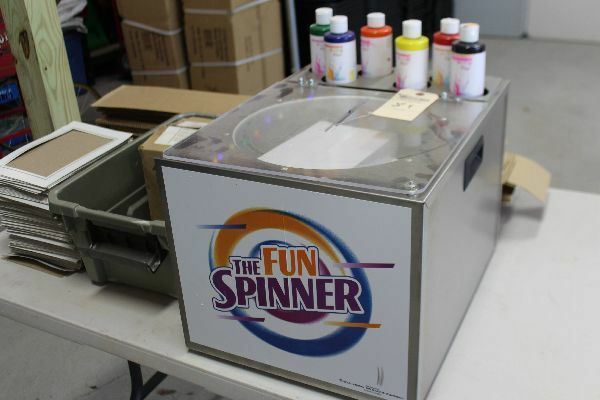 84 1 “FUN SPINNER” SPINNER MACHINE W/ ACCESSORIES, IN GOOD WORKING ORDER. 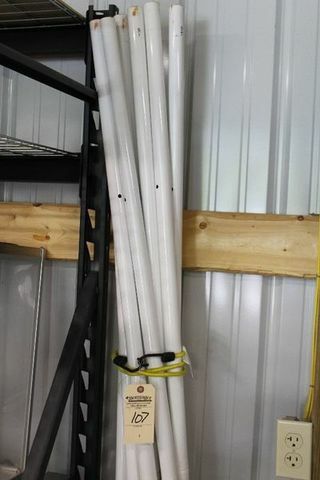 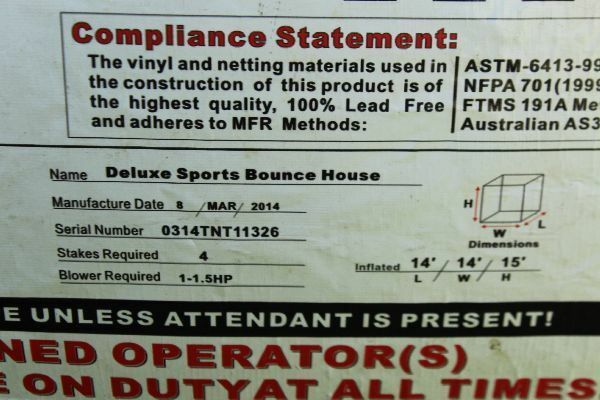 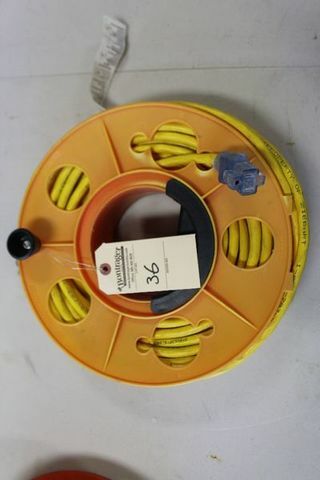 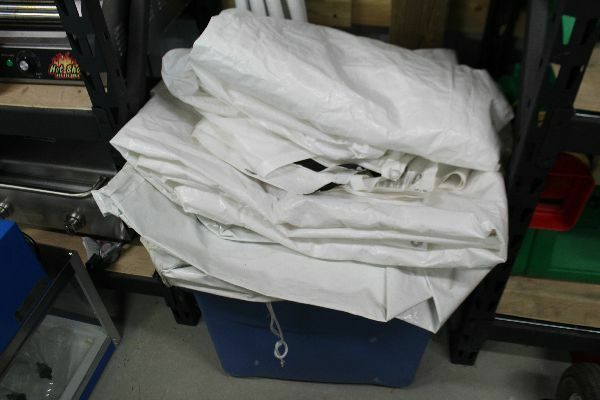 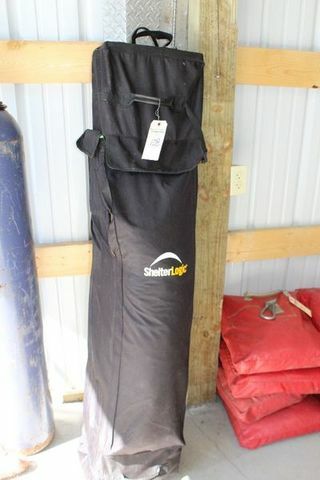 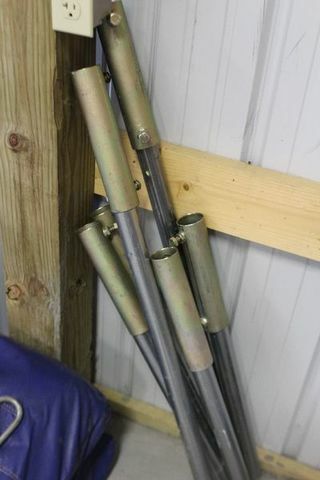 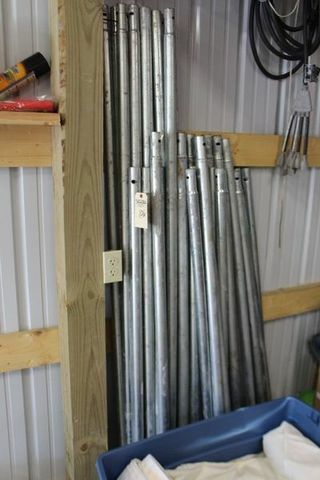 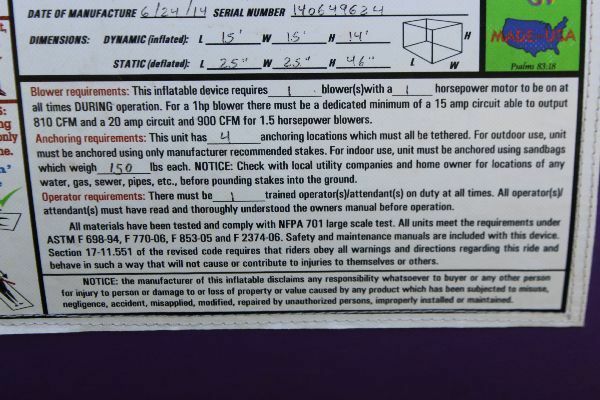 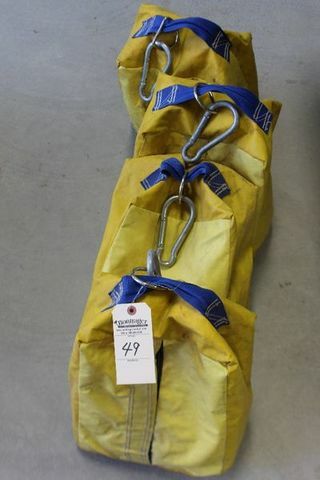 105 1 20’X20′ COMMERCIAL POLE TENT (WHITE) ALUMNINUM POLES, 1 CENTER POLE, LAMINATED INSTRUCTIONS INCLUDED. 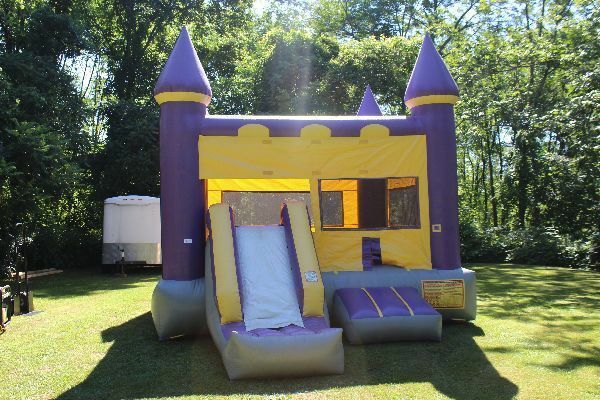 -Payment is due in full within the time limits posted in the auction. 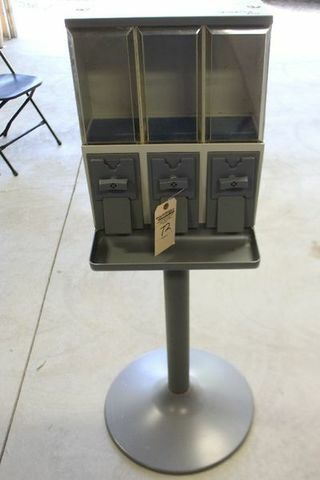 We accept cash, good check, Visa or MasterCard. 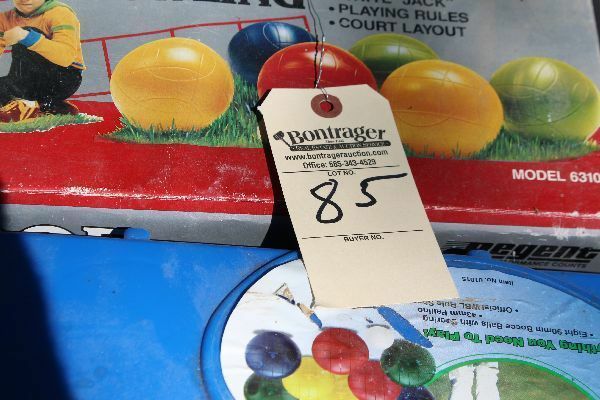 (Please note that while you may be able to register for our auction with any credit card, we will only accept Visa or MasterCard for payment.) 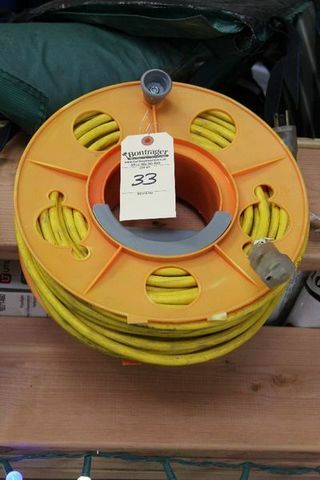 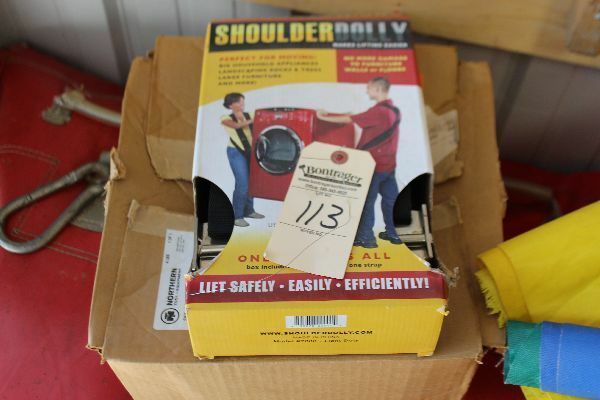 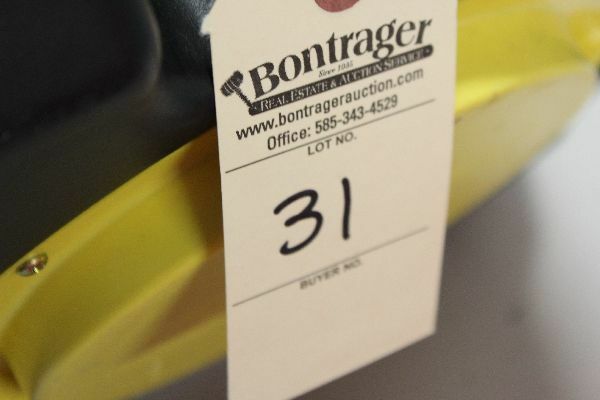 13% buyer’s premium and NYS sales tax added to all items purchased. 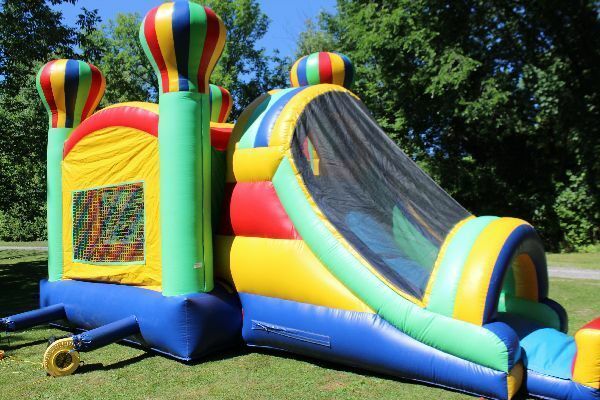 Late payment will result in a $5 late fee. 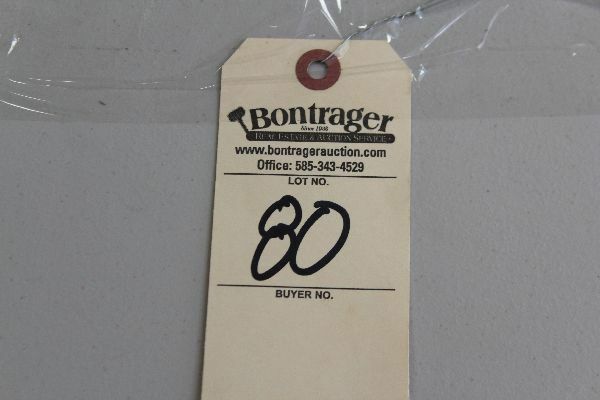 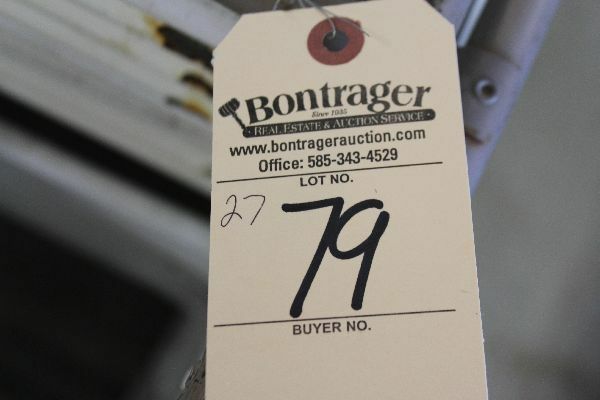 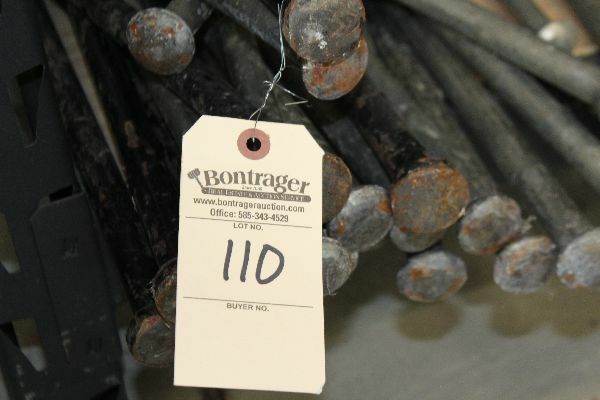 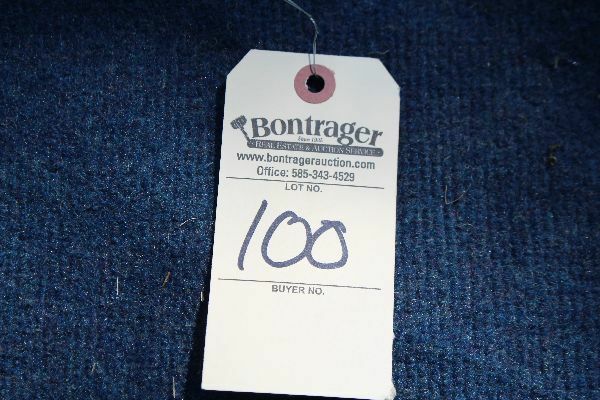 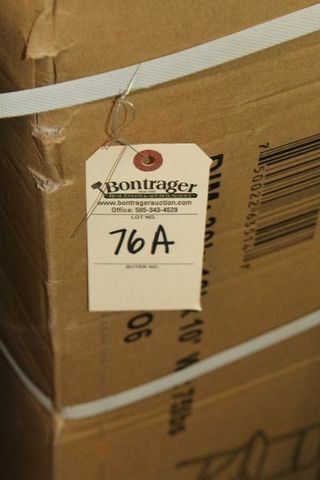 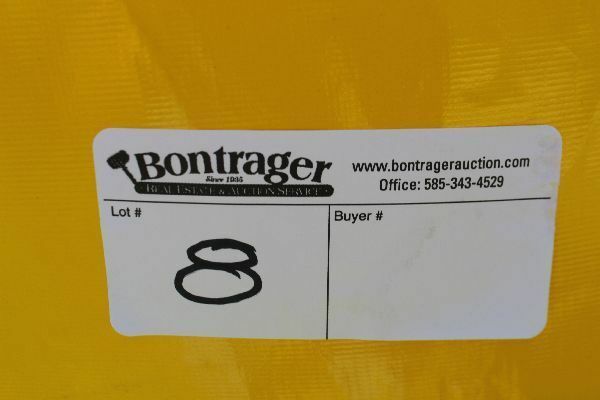 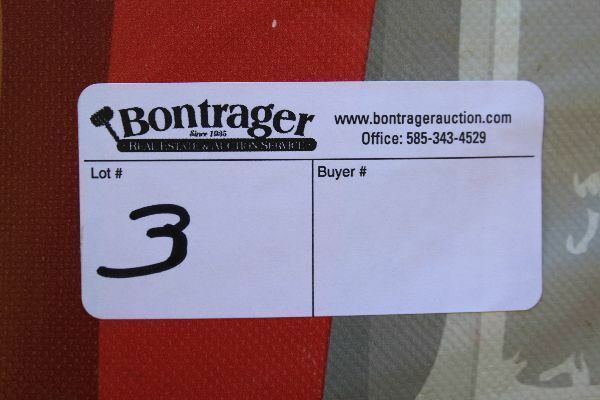 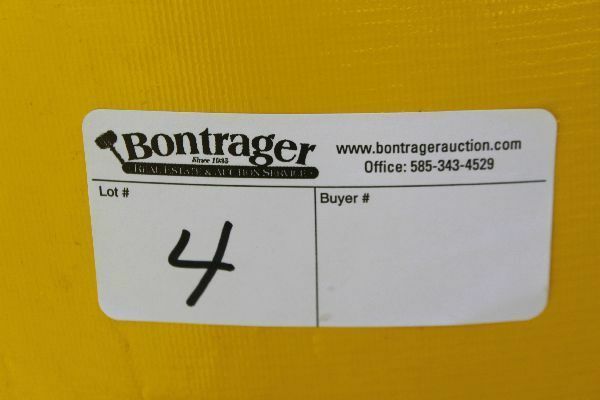 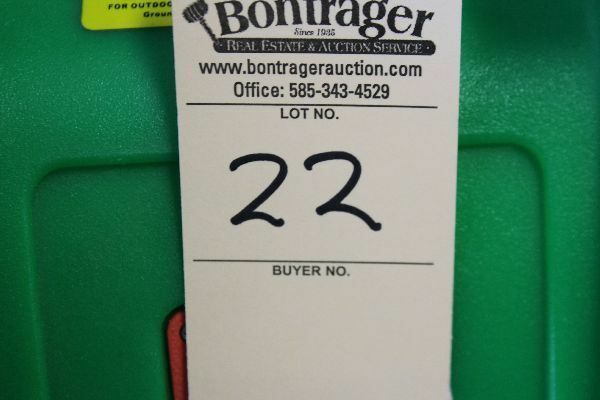 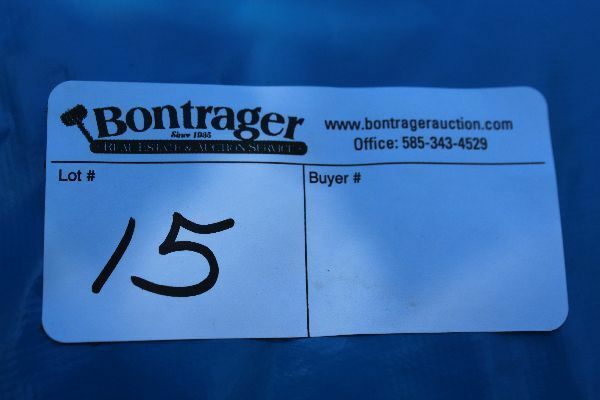 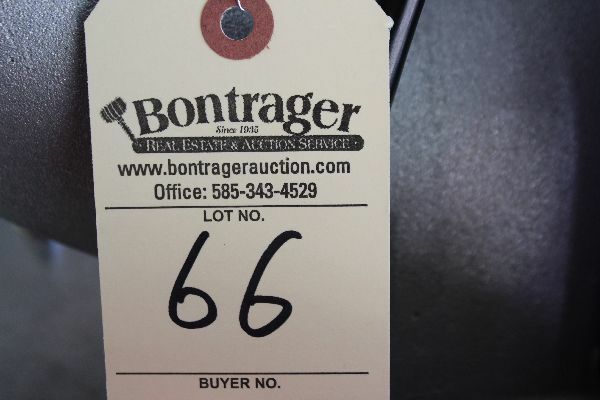 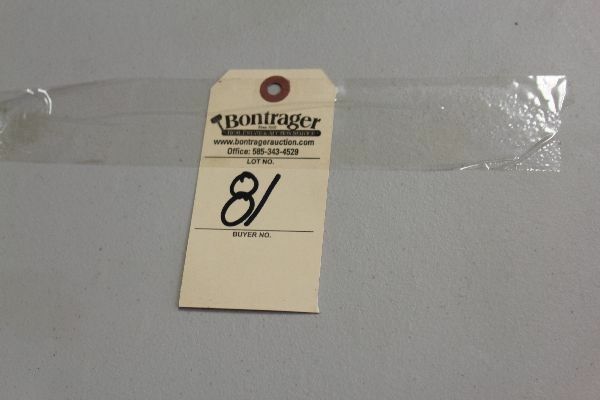 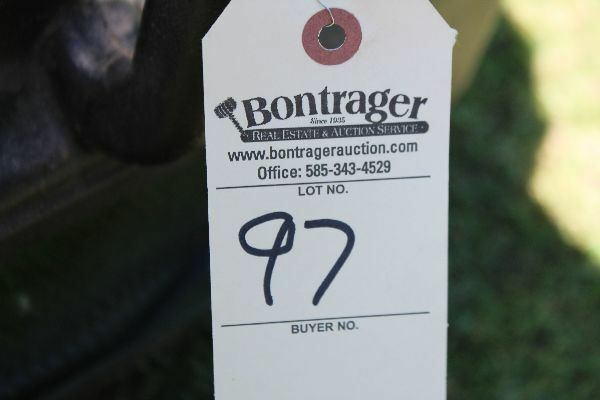 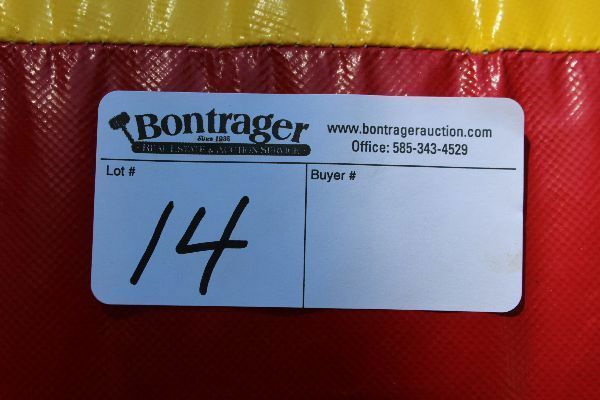 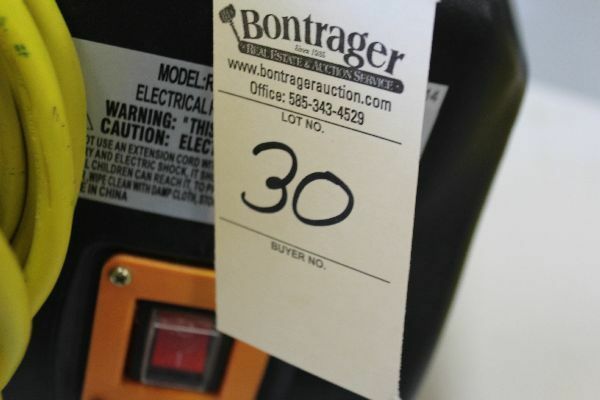 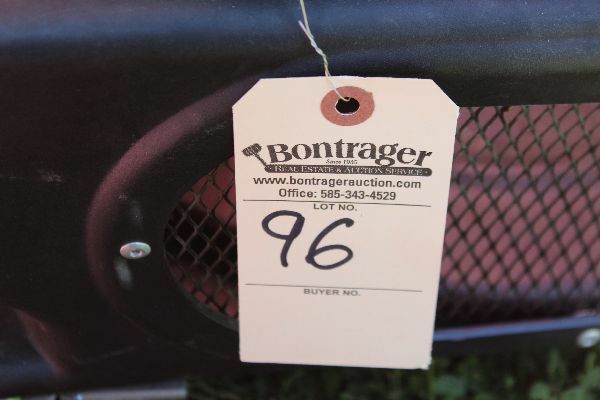 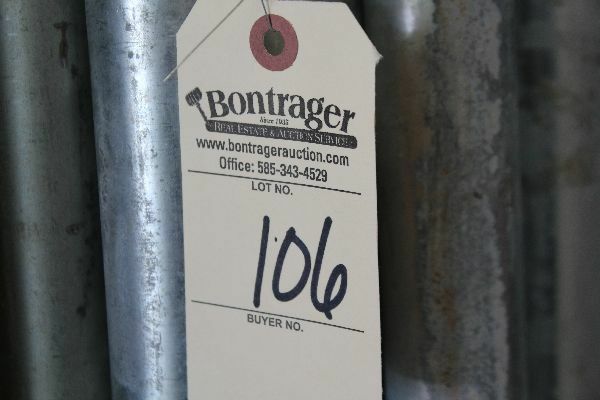 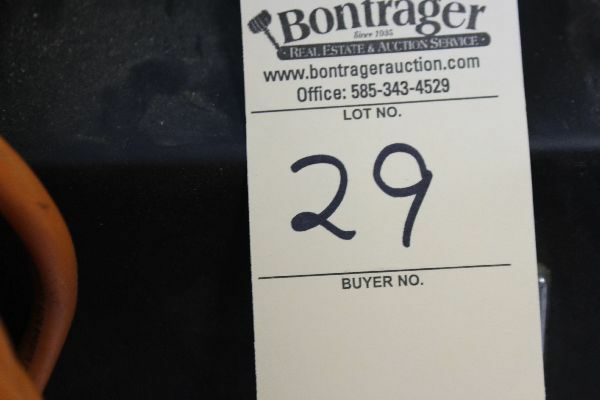 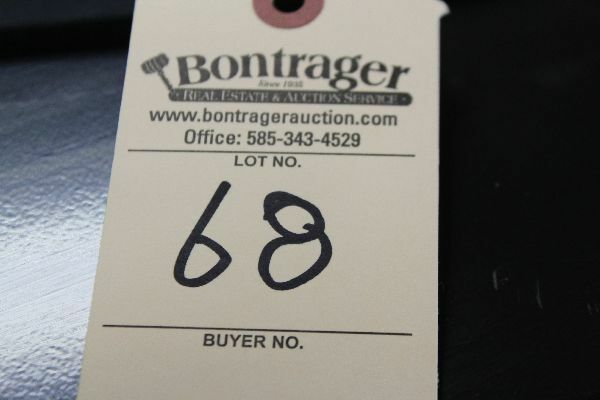 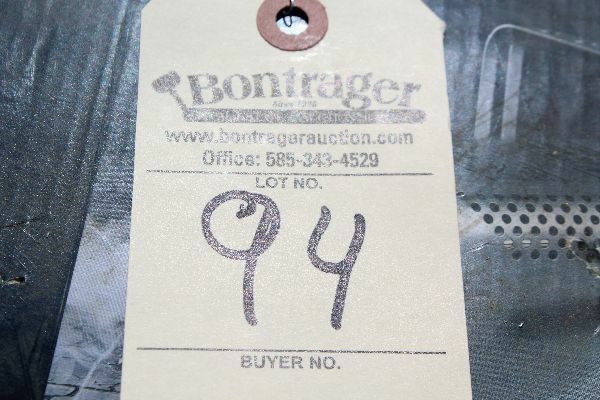 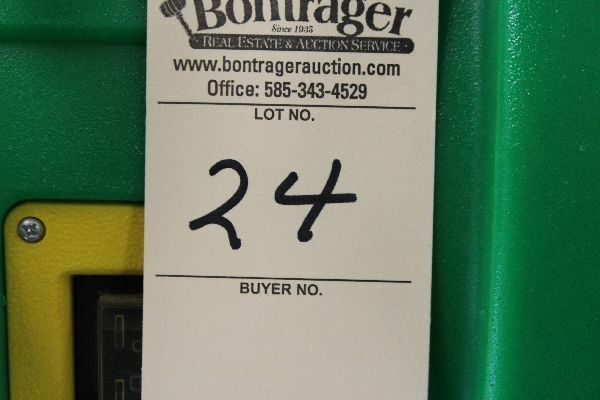 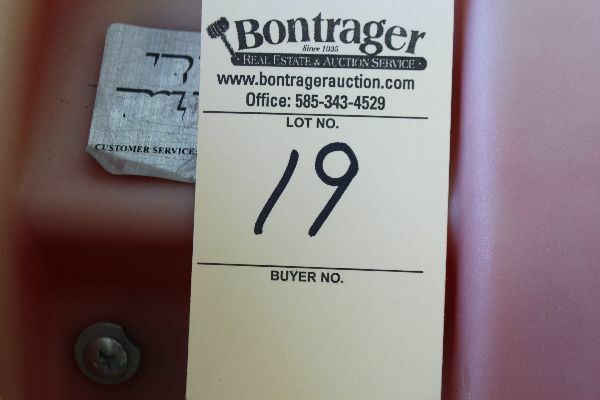 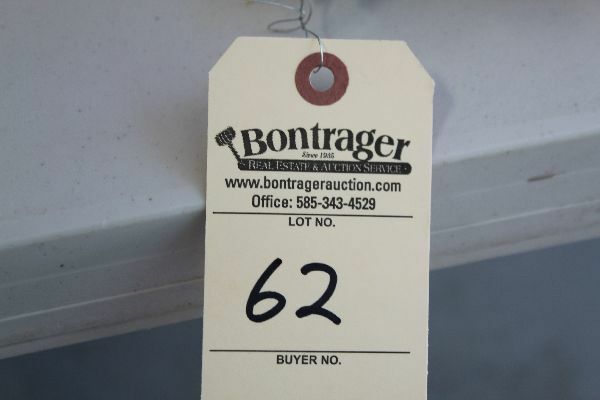 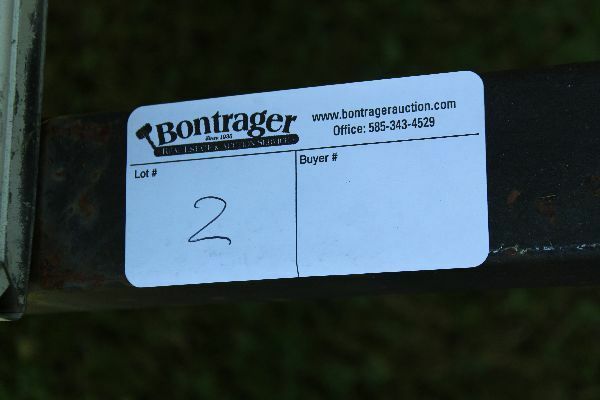 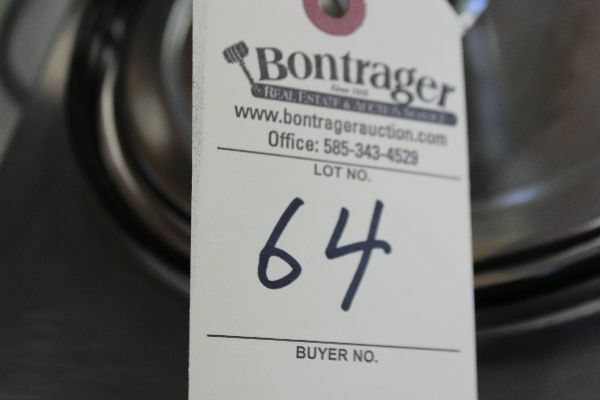 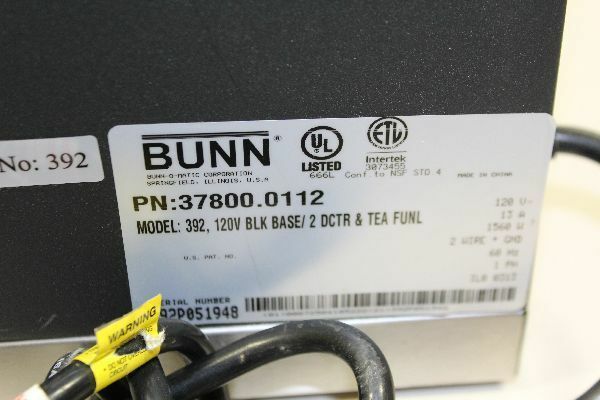 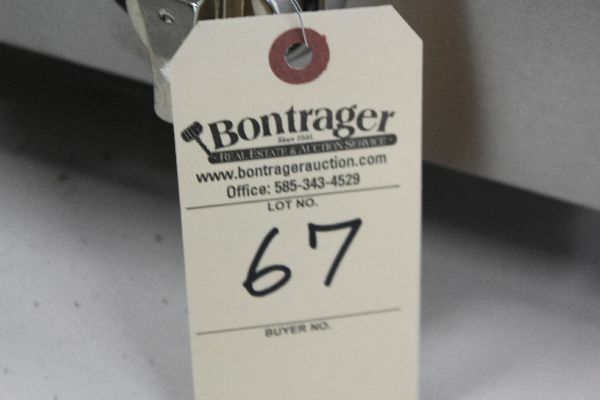 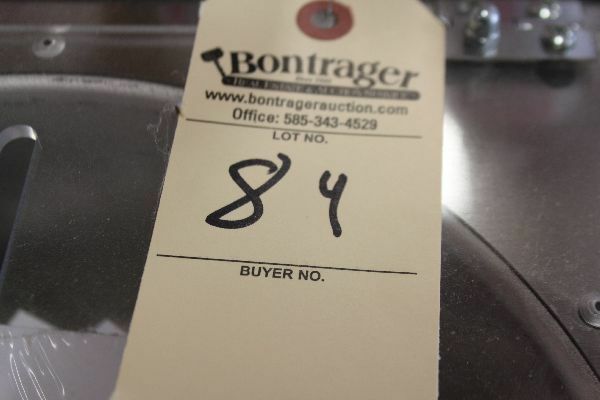 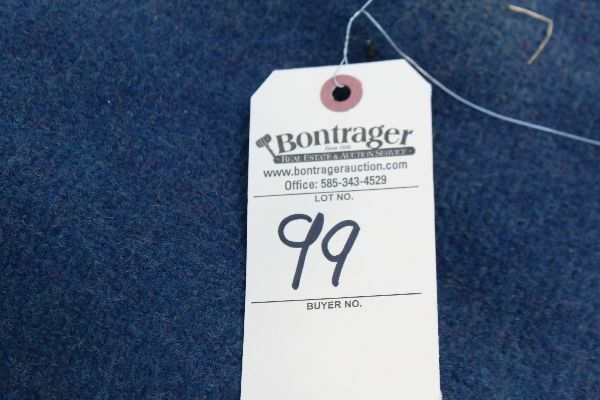 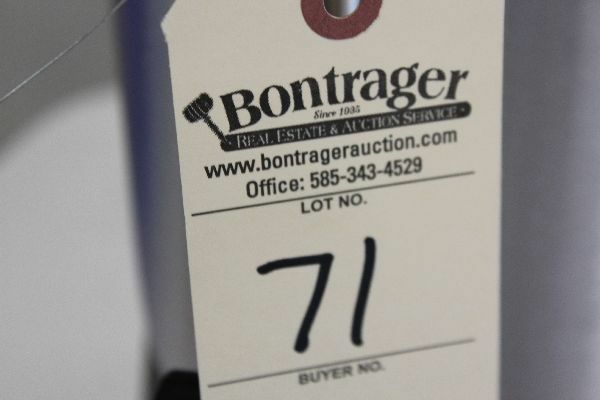 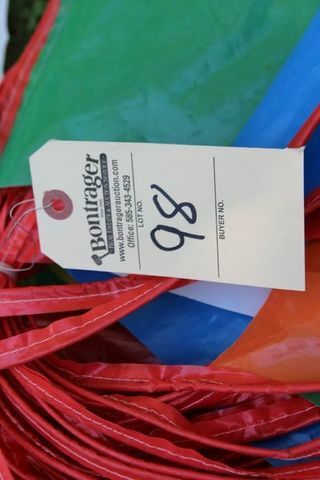 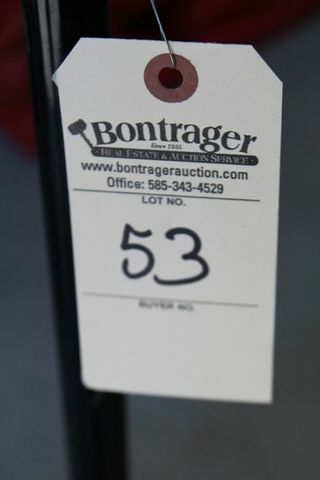 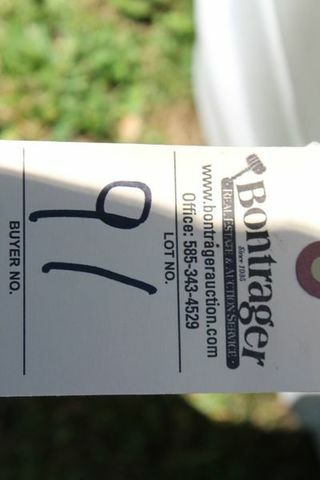 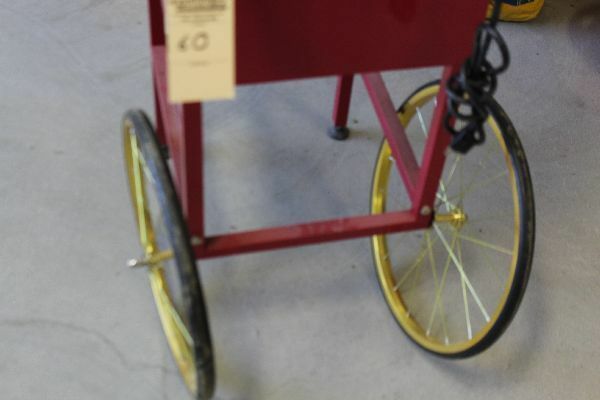 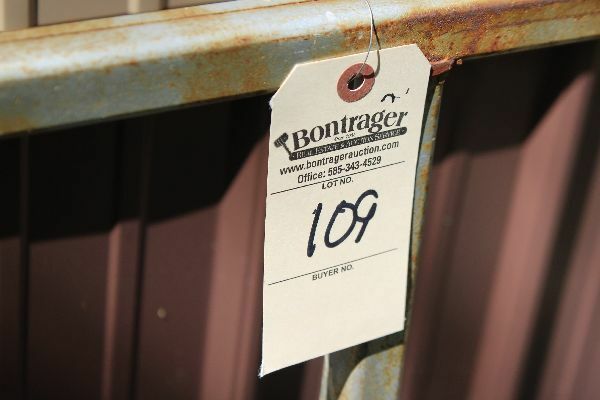 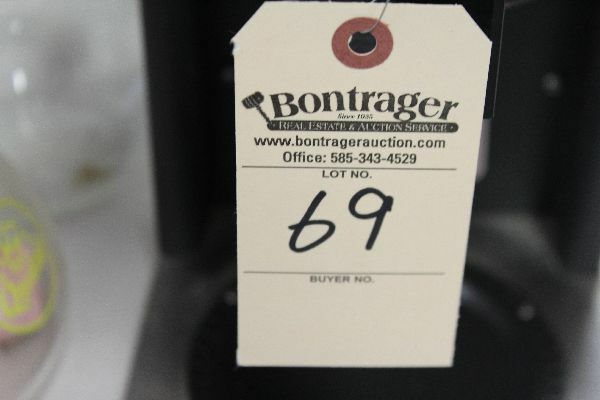 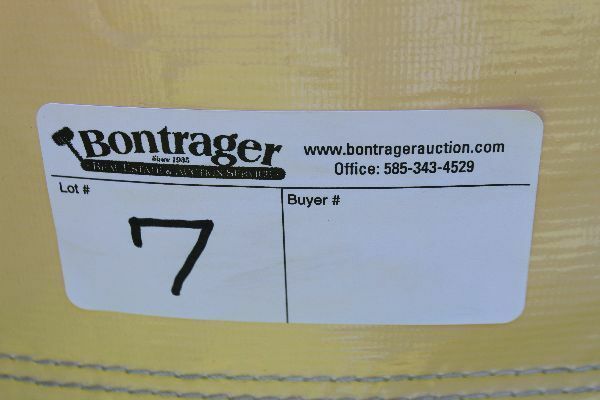 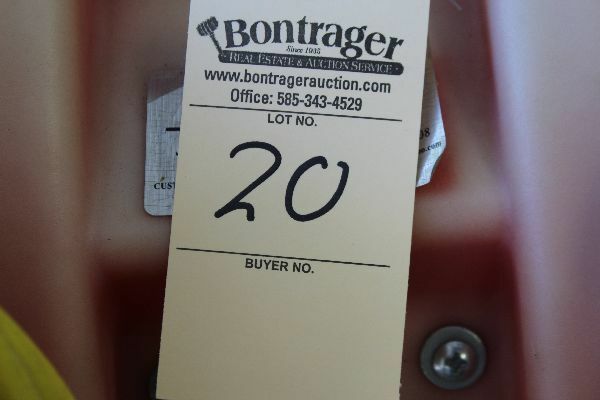 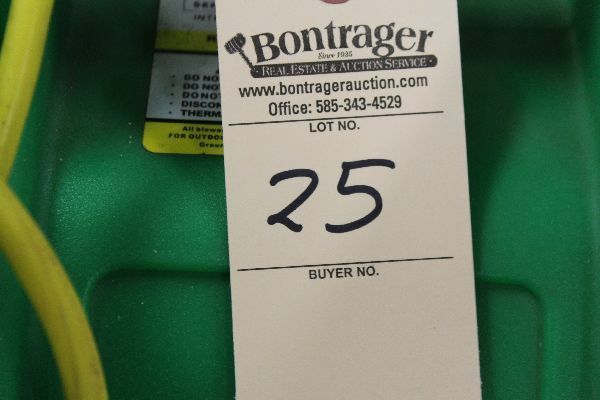 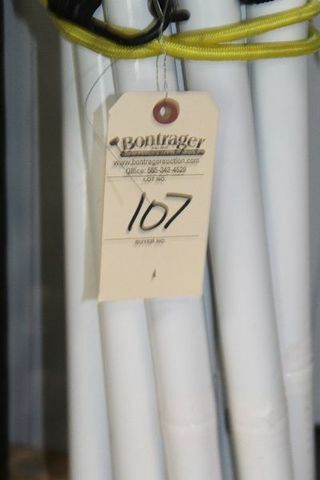 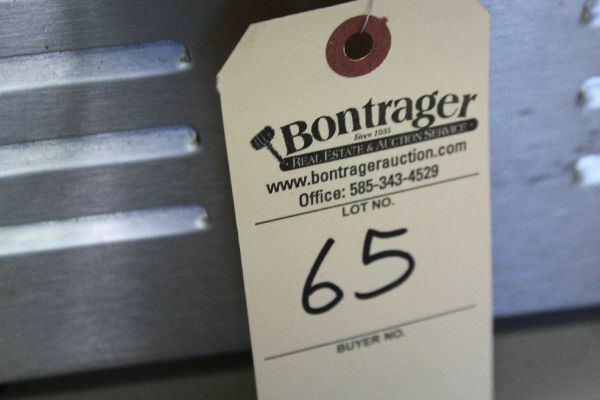 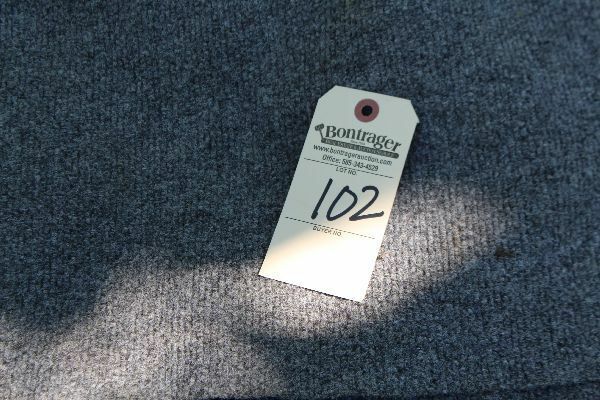 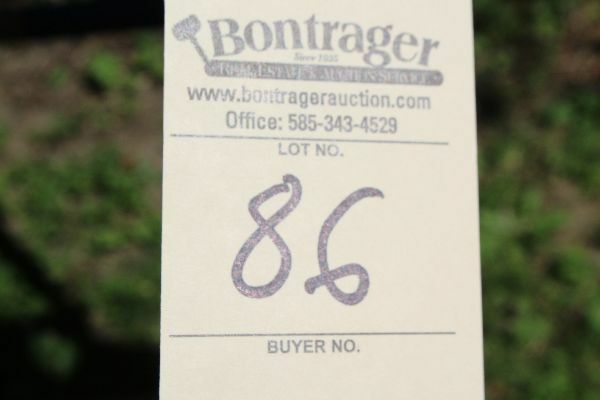 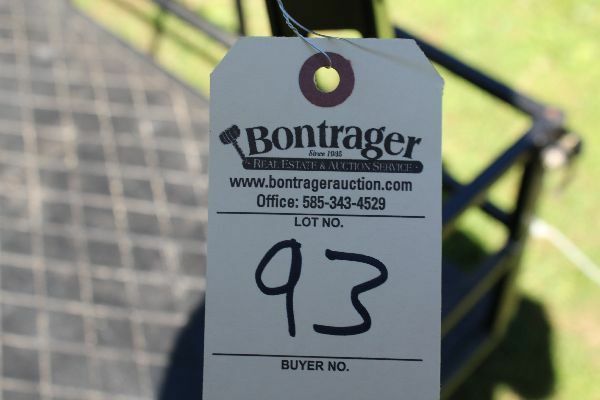 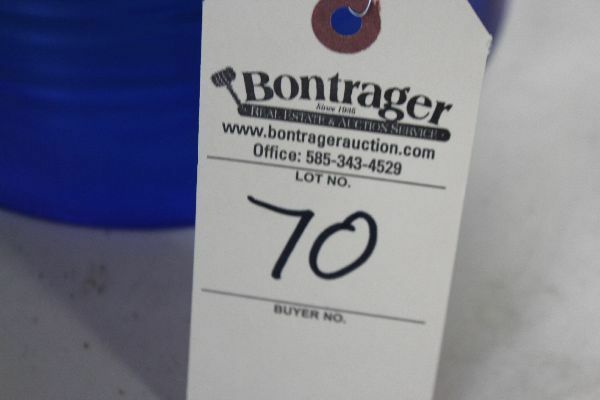 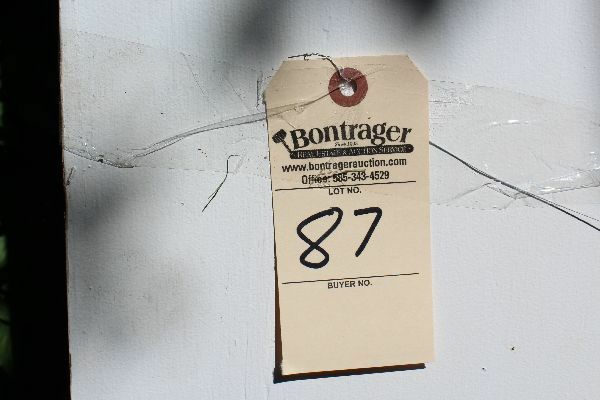 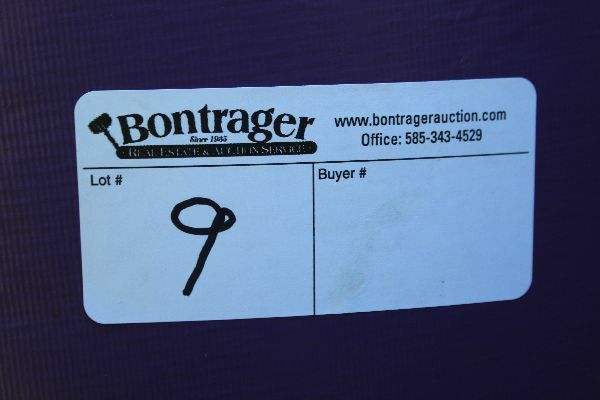 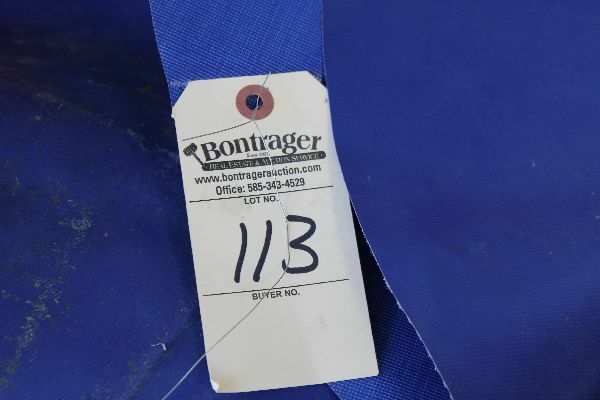 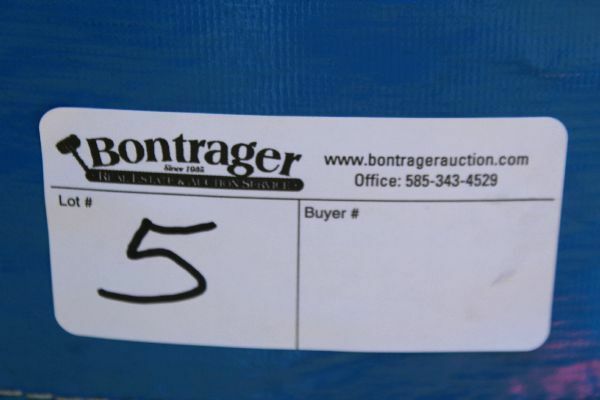 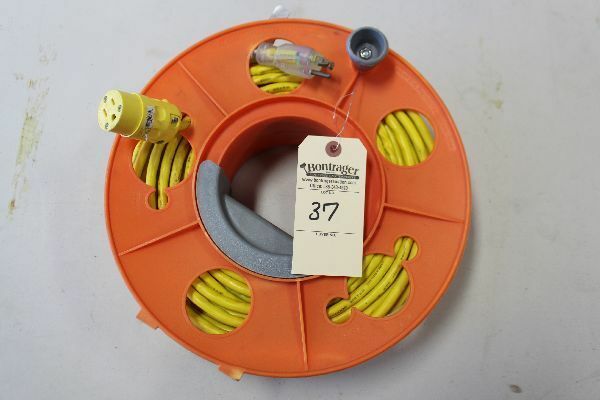 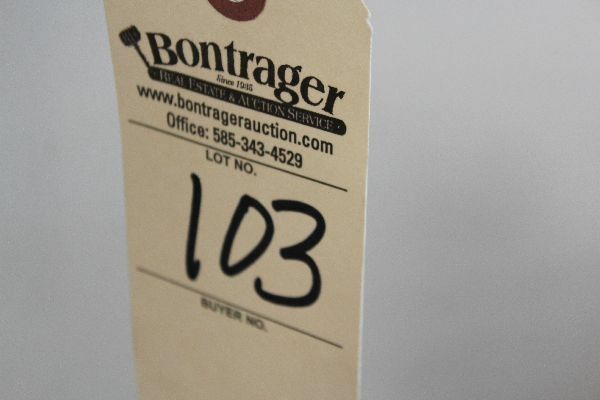 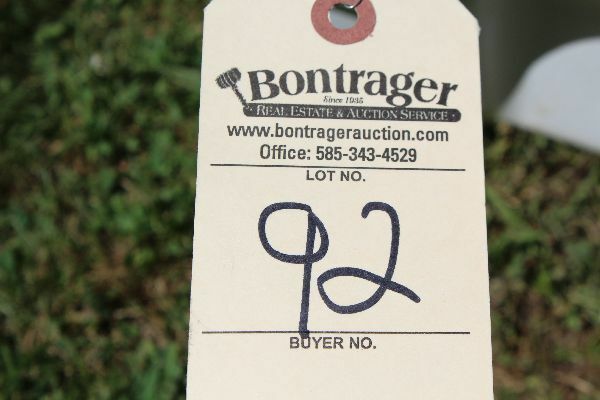 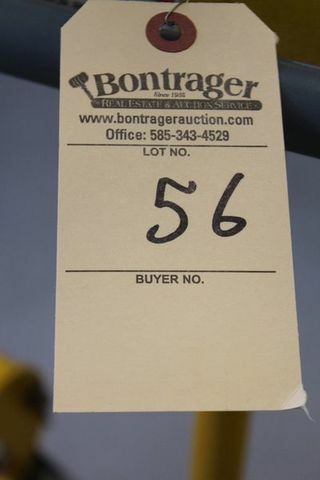 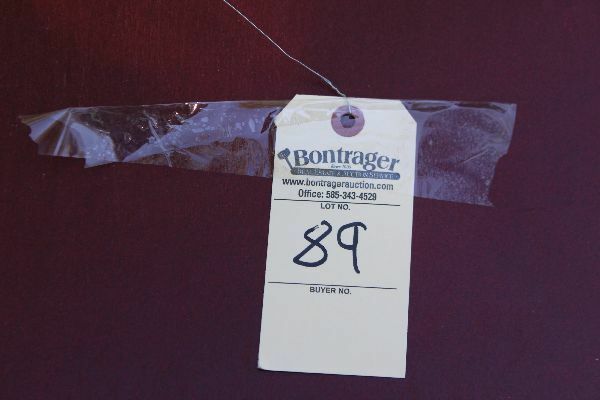 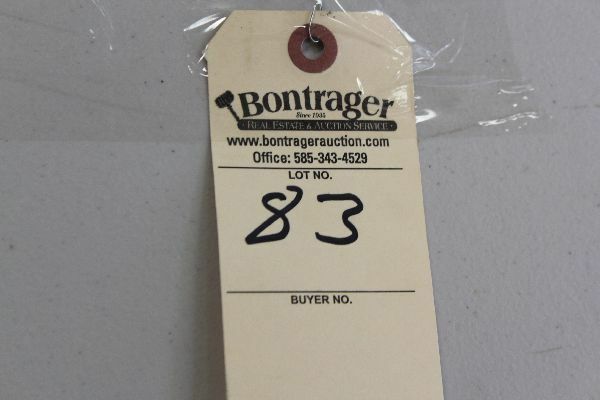 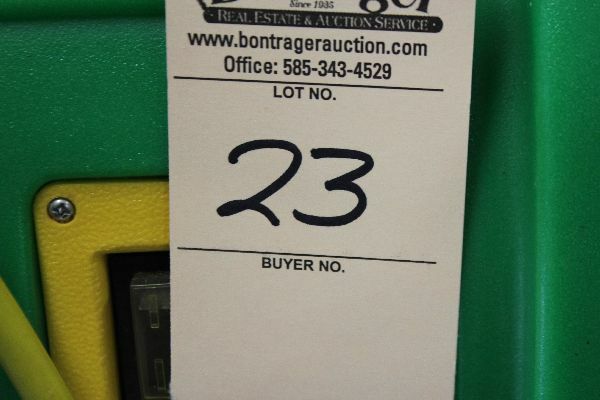 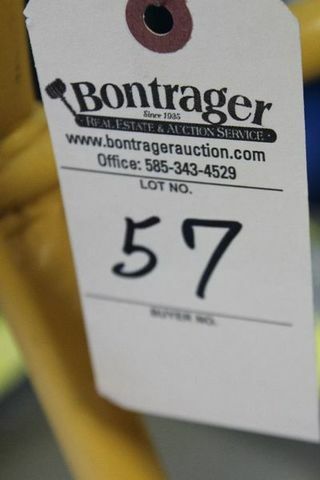 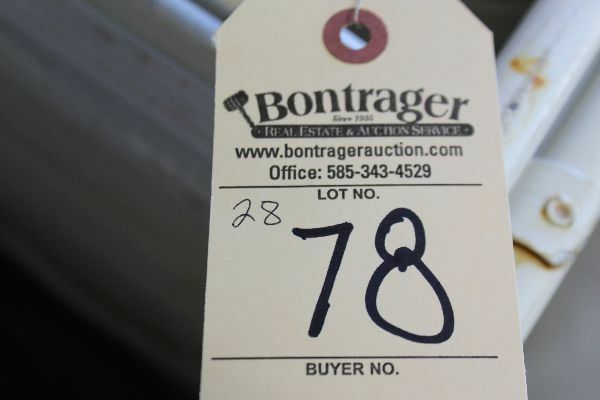 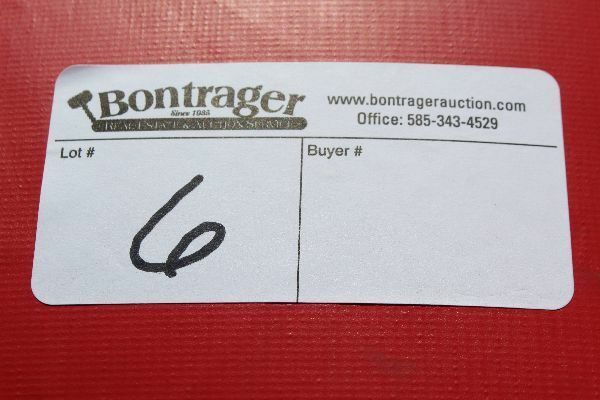 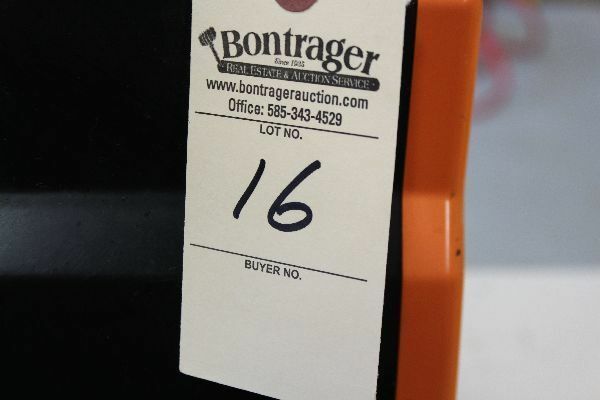 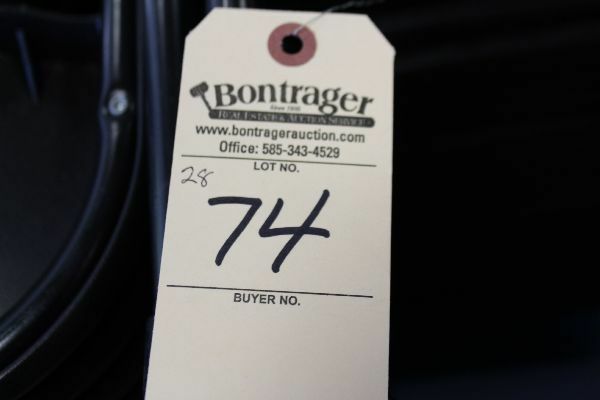 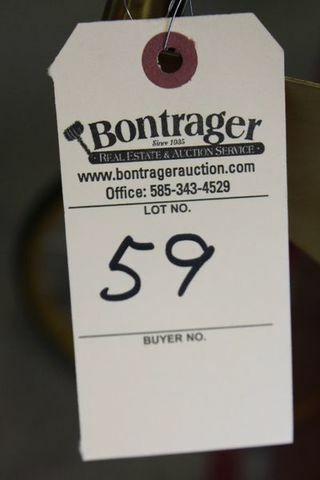 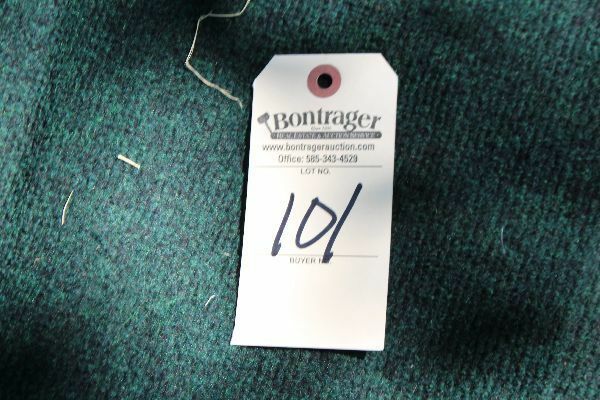 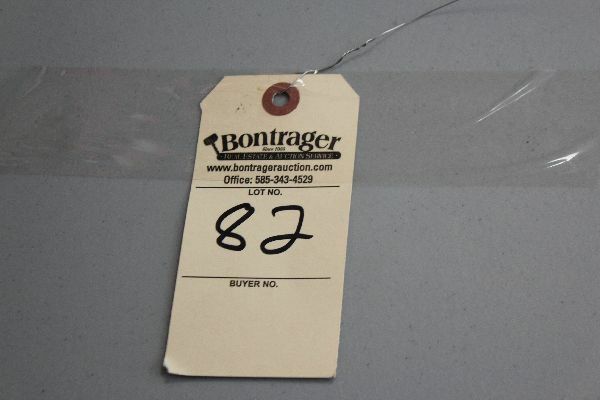 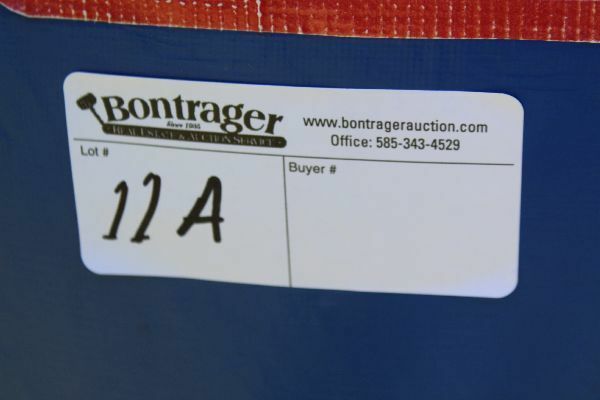 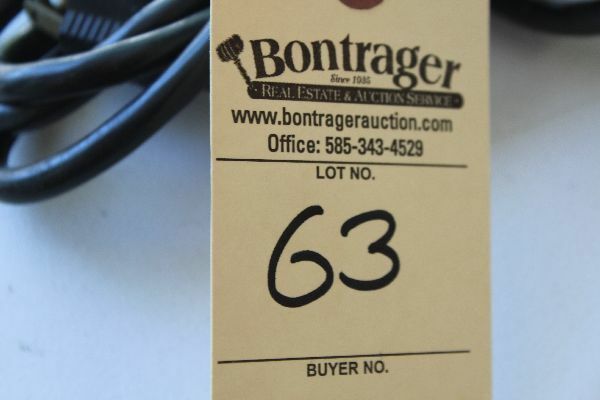 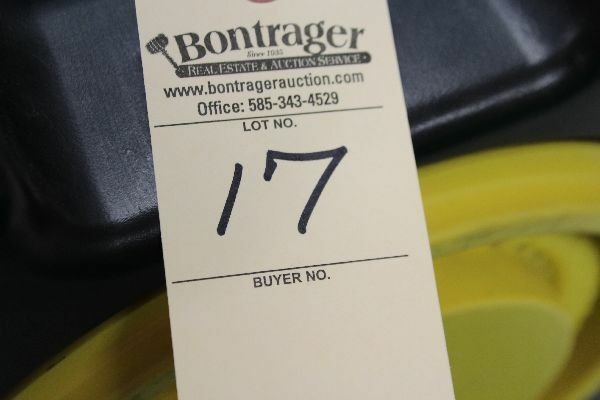 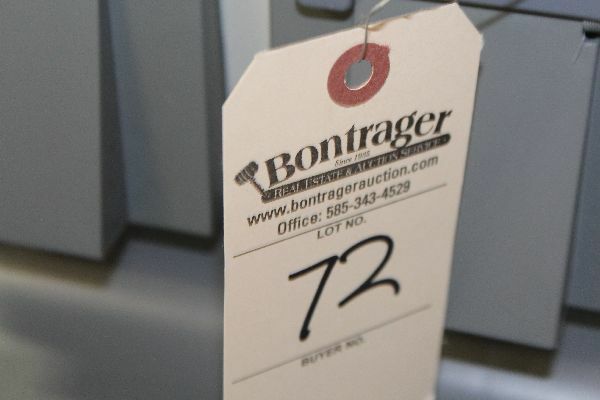 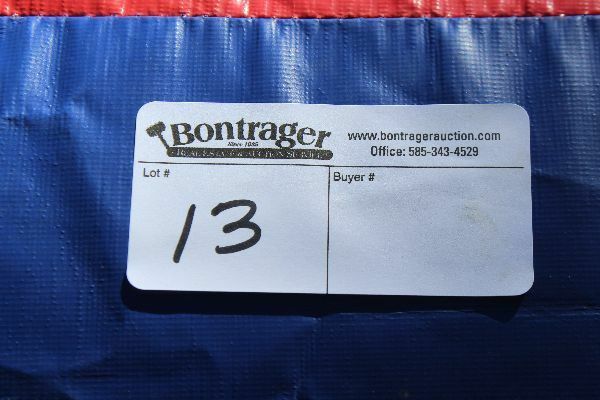 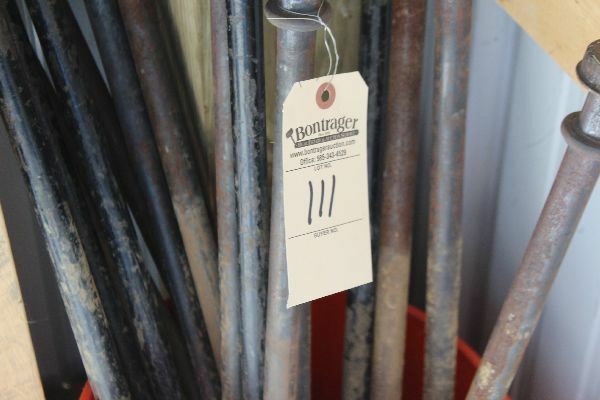 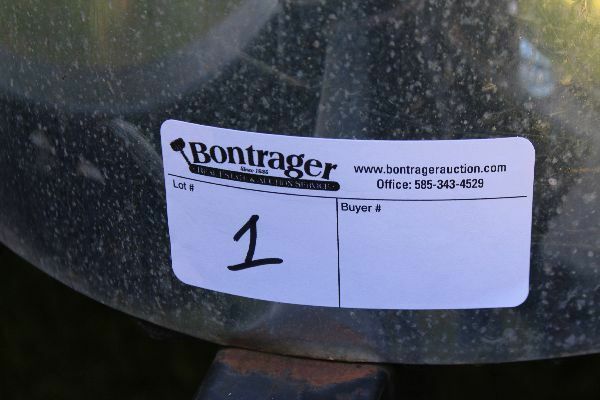 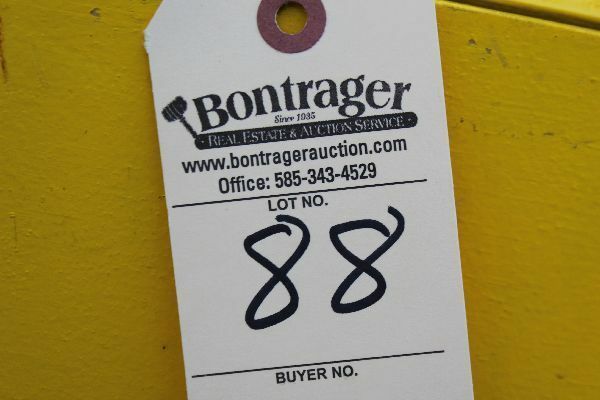 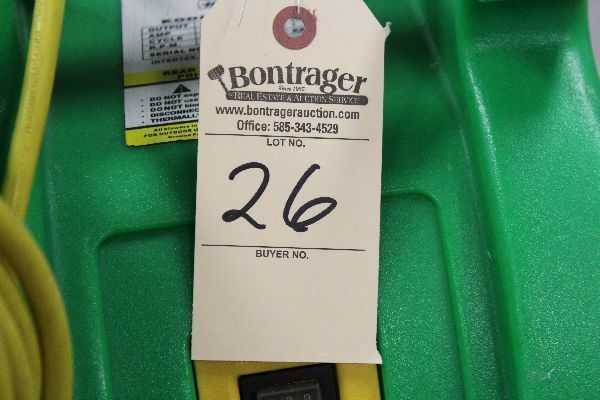 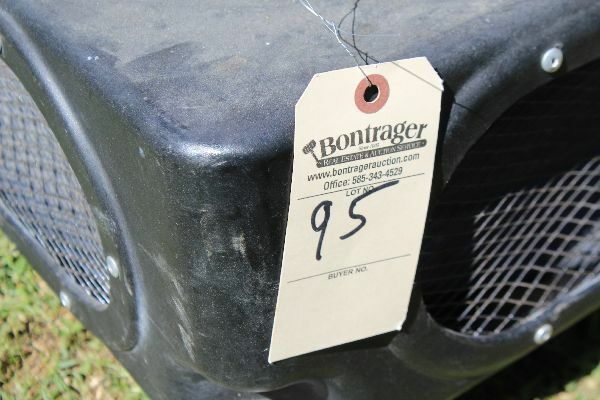 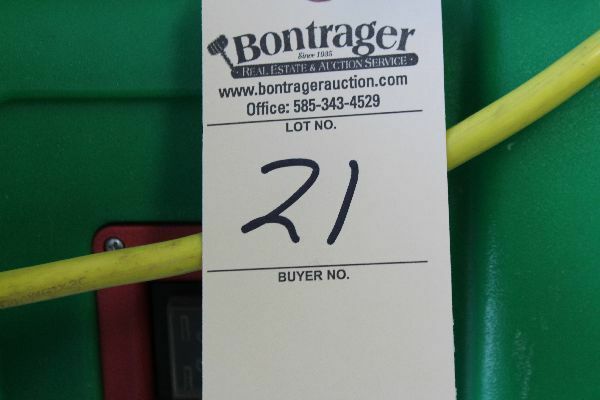 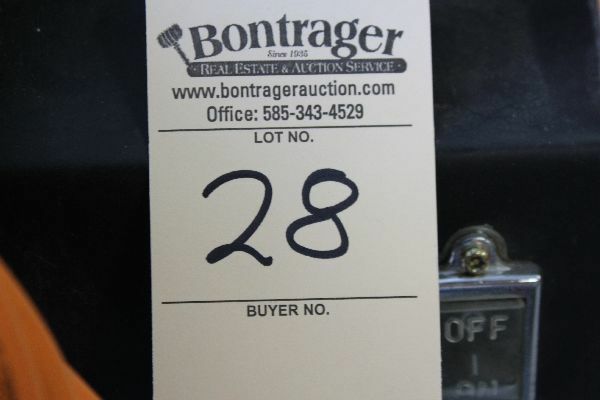 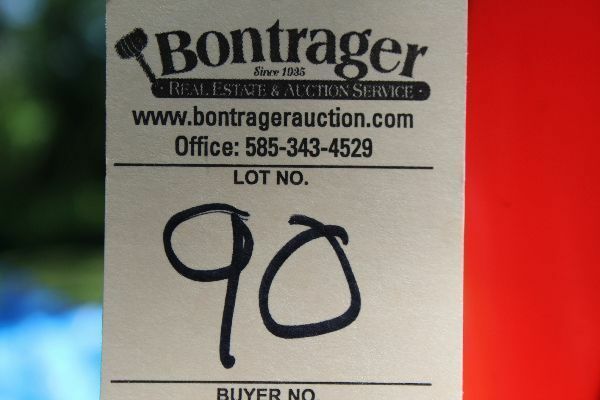 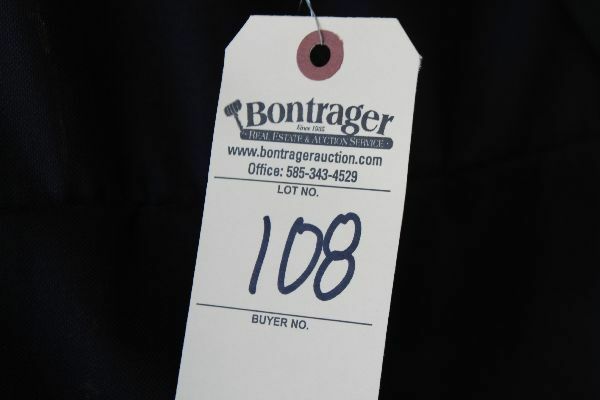 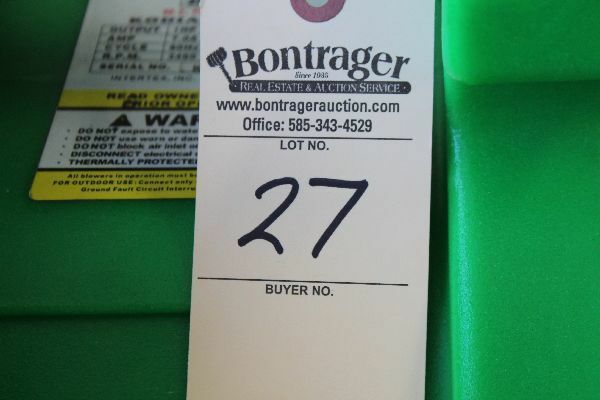 Checkout/Payment Location: Bontrager’s Auction Center, 8975 Wortendyke Road, Batavia, NY 14020. 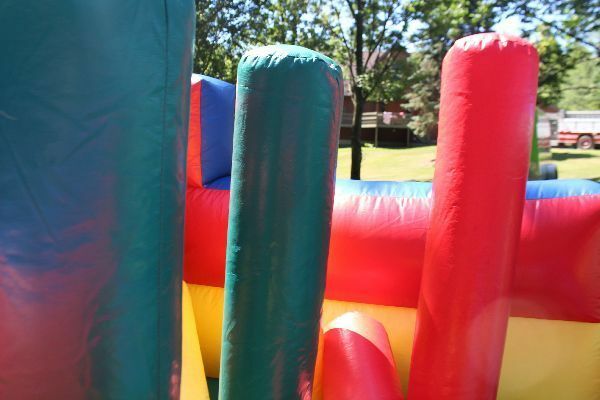 Checkout will take place Tuesday August 7th from 8 a.m. to 5 p.m. 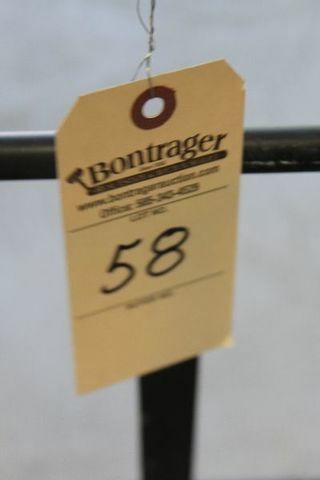 This is the only checkout day. 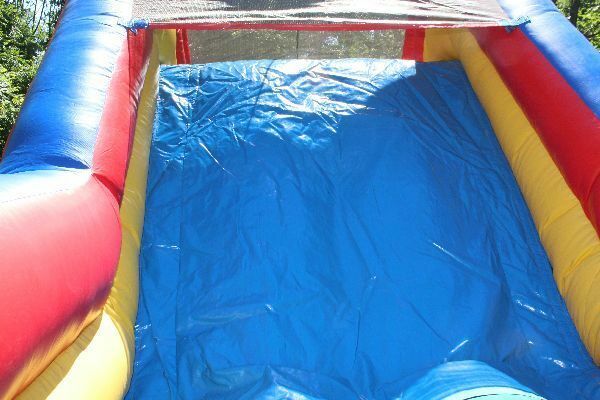 Late fees will apply for purchases not completed on the designated day. 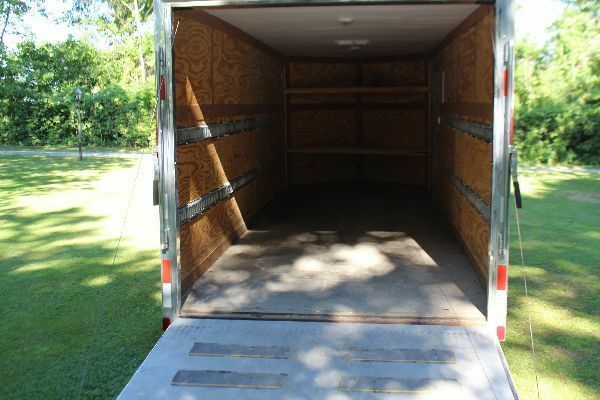 Merchandise Pick up Location: Alexander, NY. 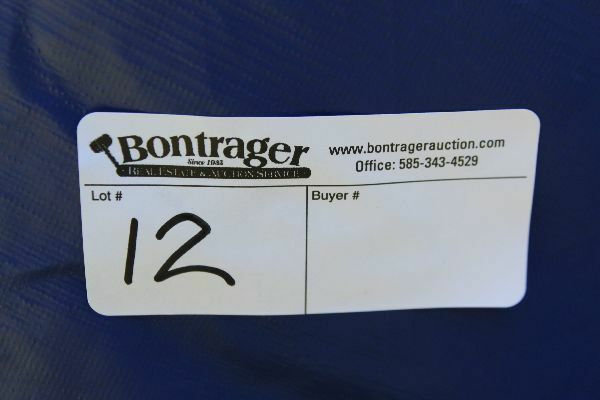 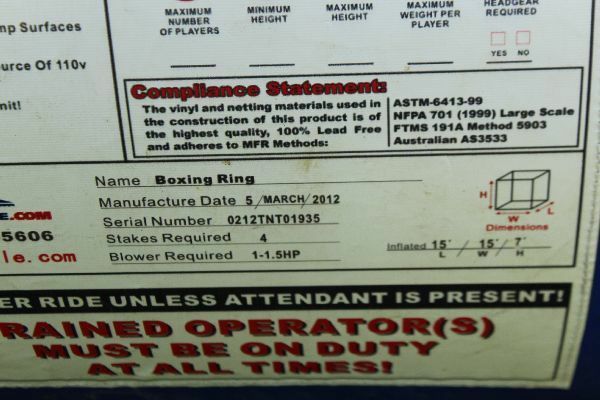 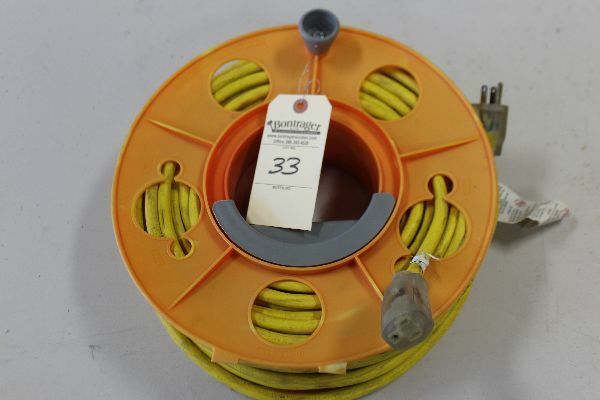 Specific information will be given to winning bidders at the time of checkout. 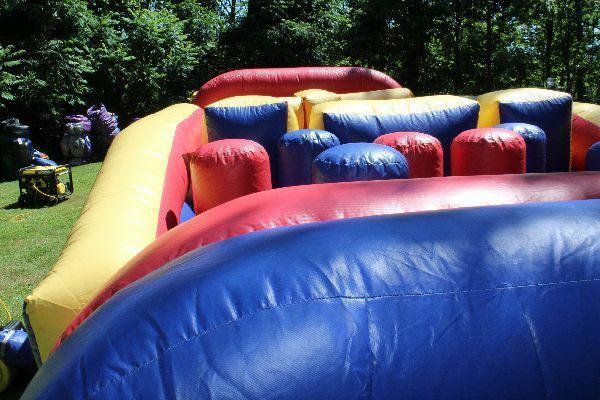 Pick up times are Tuesday August 7th from 8 a.m. to 5 p.m. 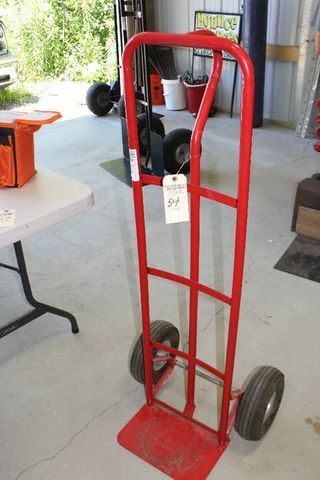 This is the only pick up day. 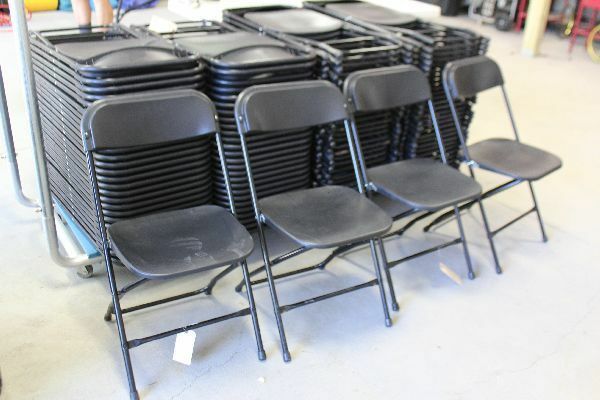 All merchandise must be removed from the current location on August 7th. 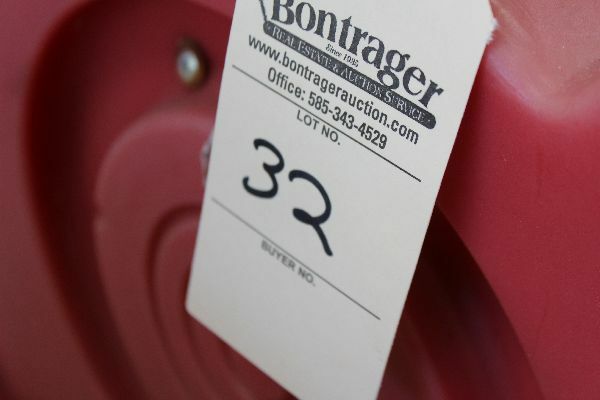 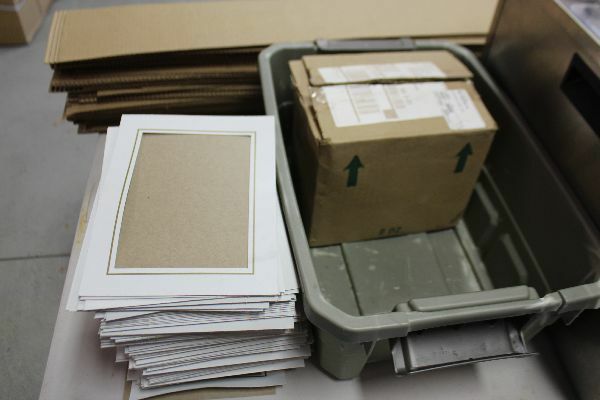 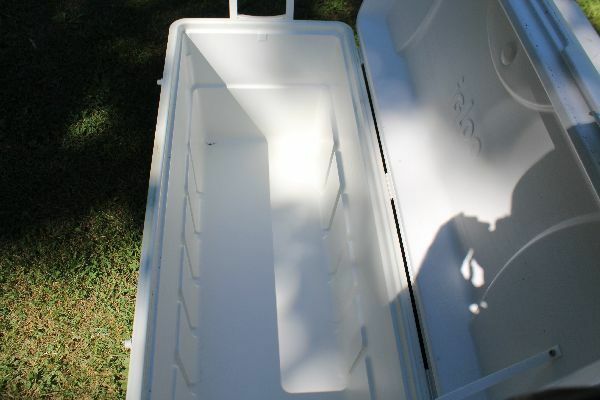 Storage and moving fees will be applied if merchandise is not removed on the designated day. 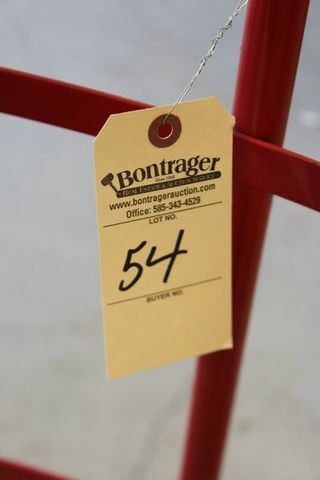 Checkout/Payment Location: Bontrager’s Auction Center, 8975 Wortendyke Road, Batavia, NY 14020. 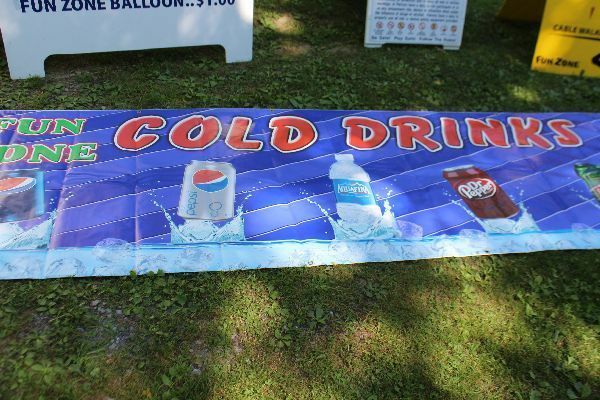 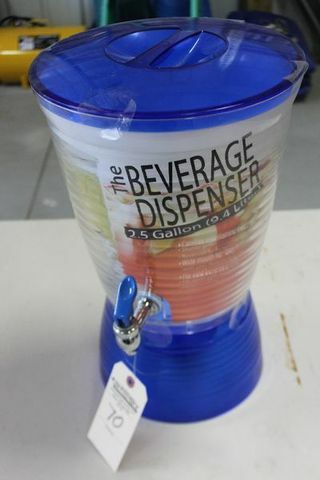 Checkout will take place Tuesday August 7th from 8 a.m. to 5 p.m. All merchandise must be paid for on August 7th. 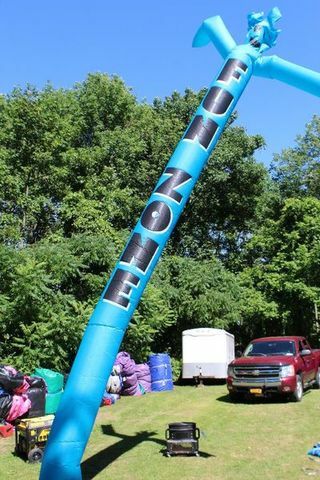 Merchandise Pick up Location: Alexander, NY. 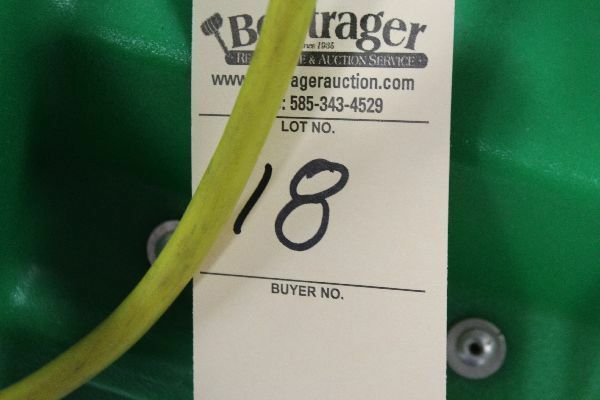 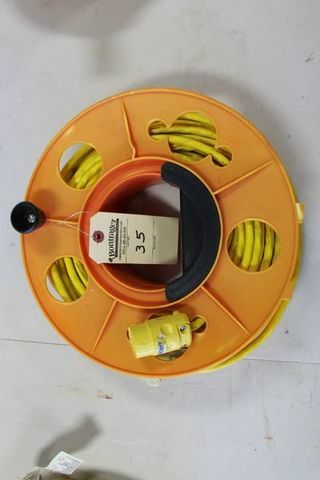 Specific information will be given to winning bidders at the time of checkout. 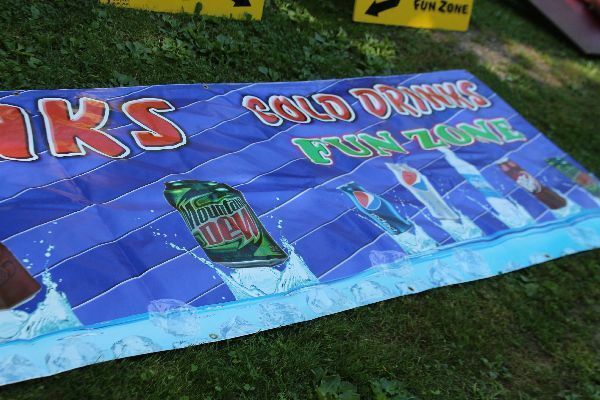 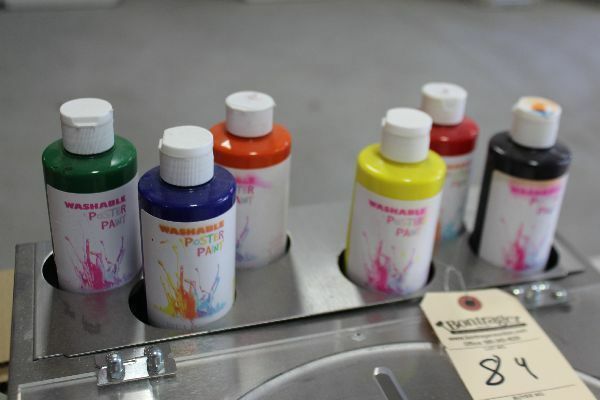 Pick up times are Tuesday August 7th from 8 a.m. to 5 p.m. All merchandise must be removed on August 7th.